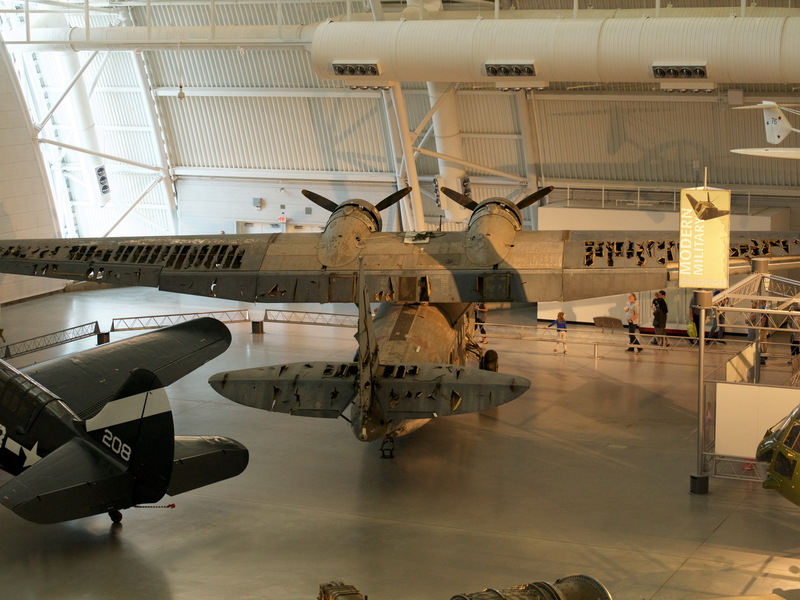 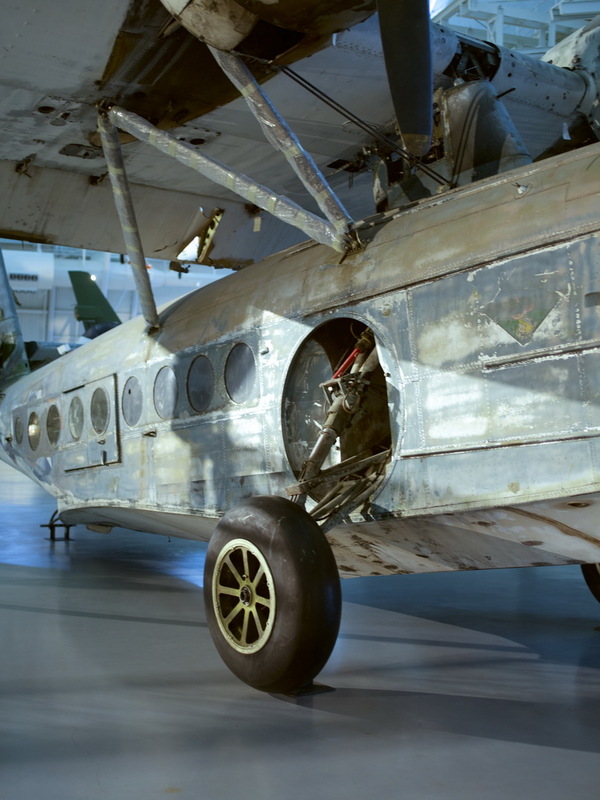 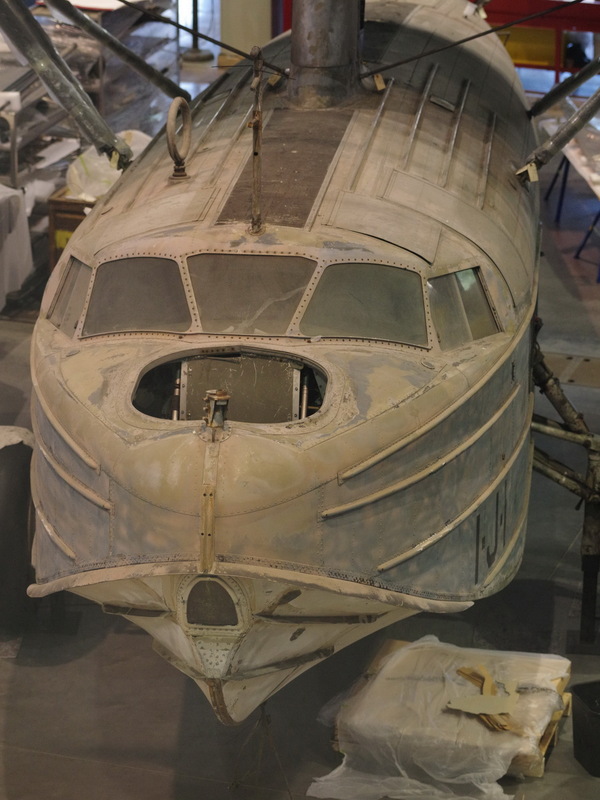 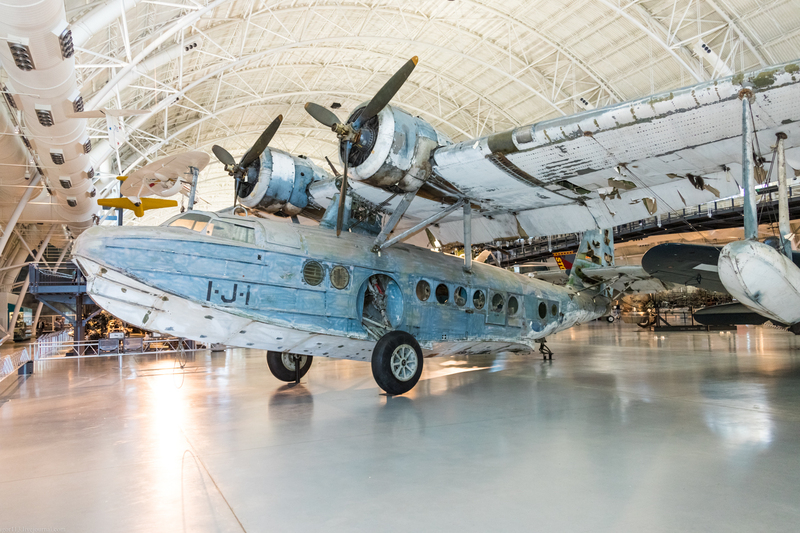 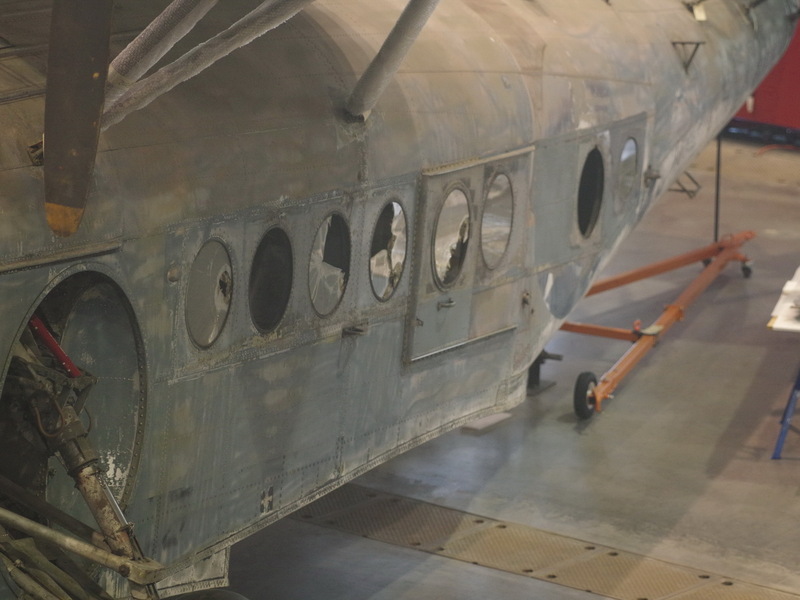 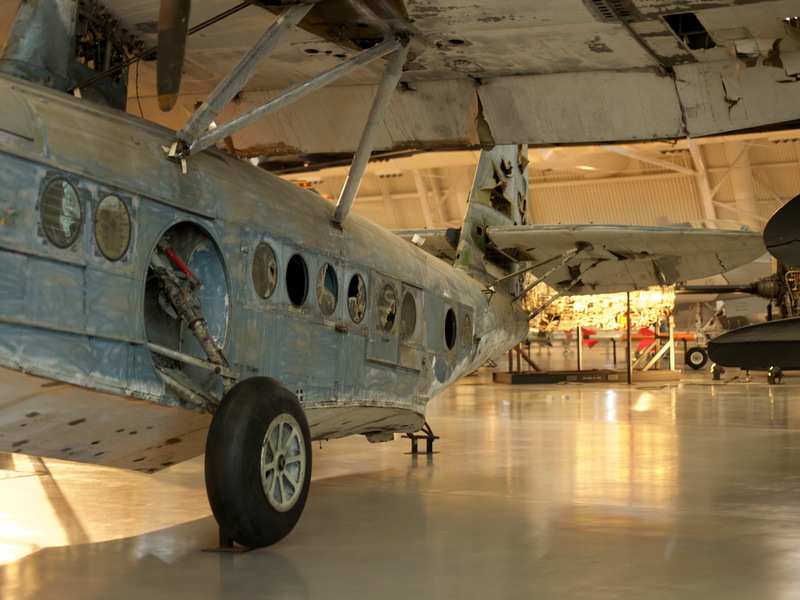 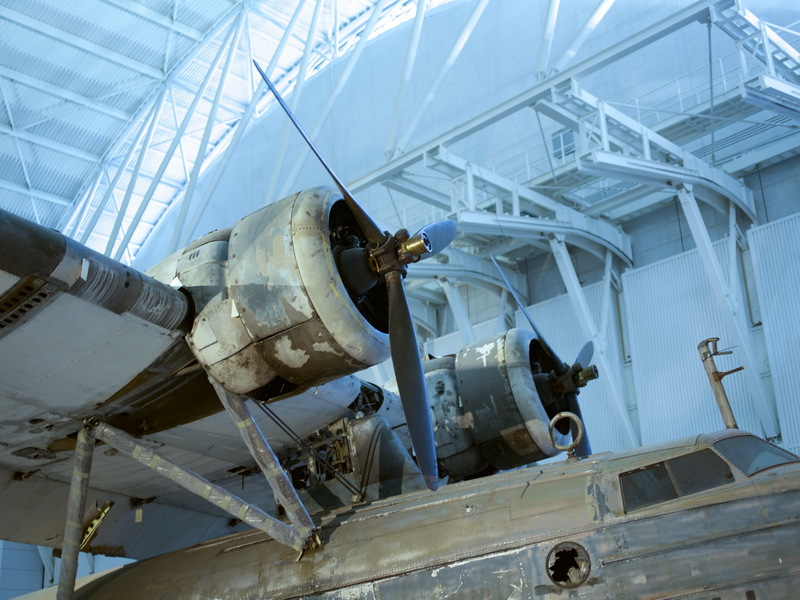 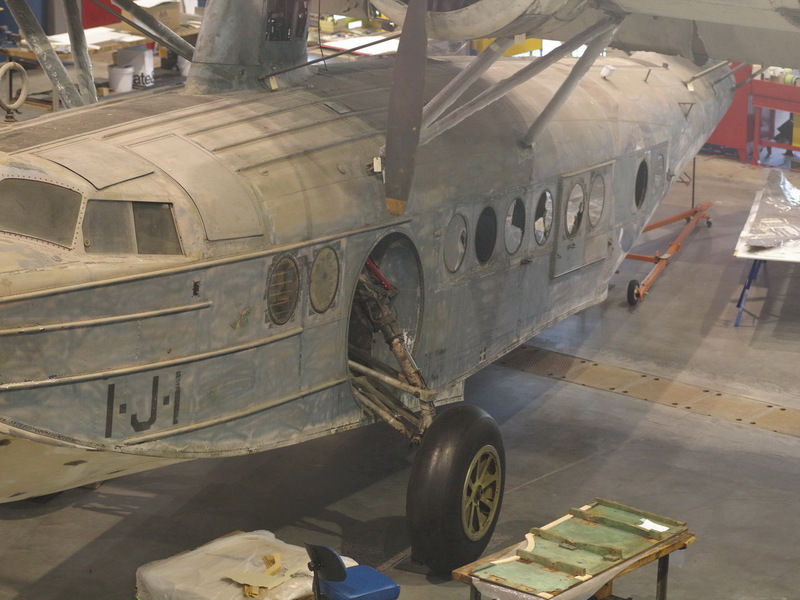 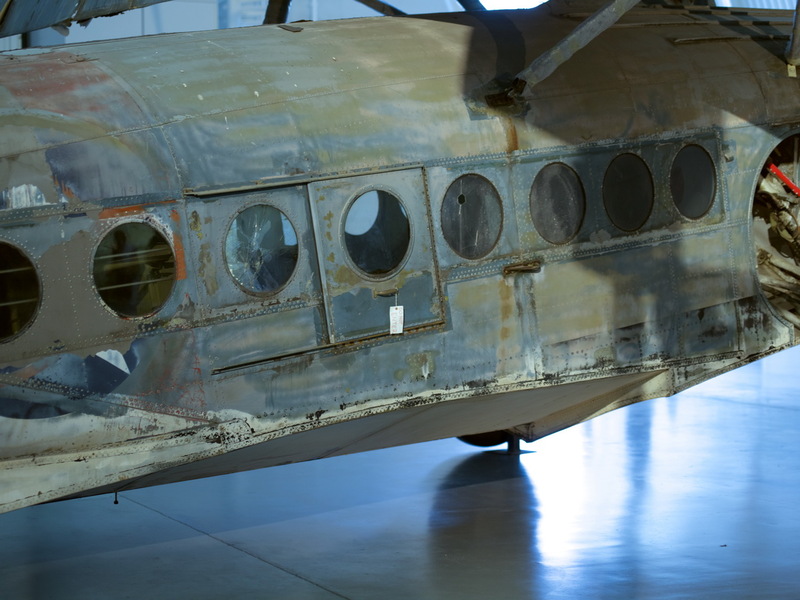 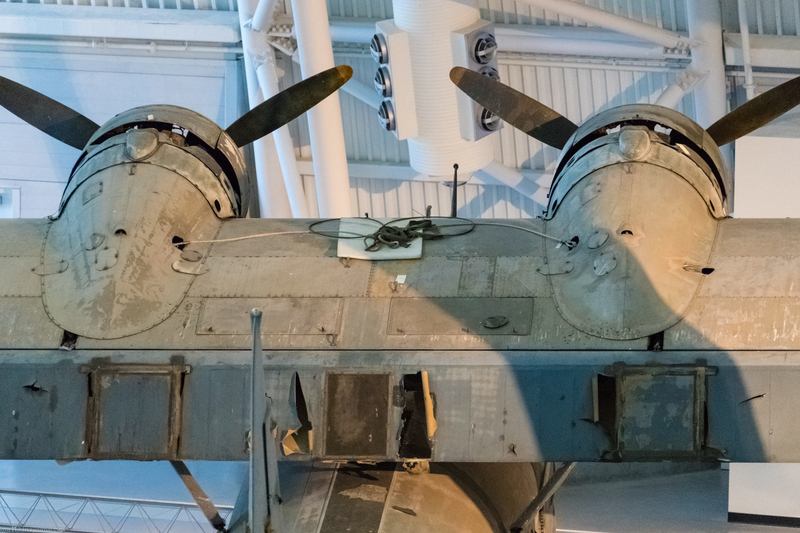 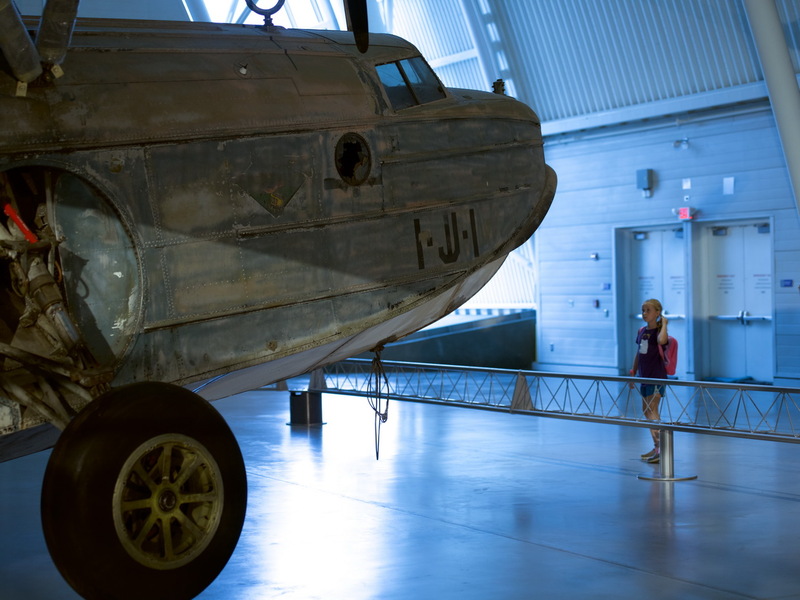 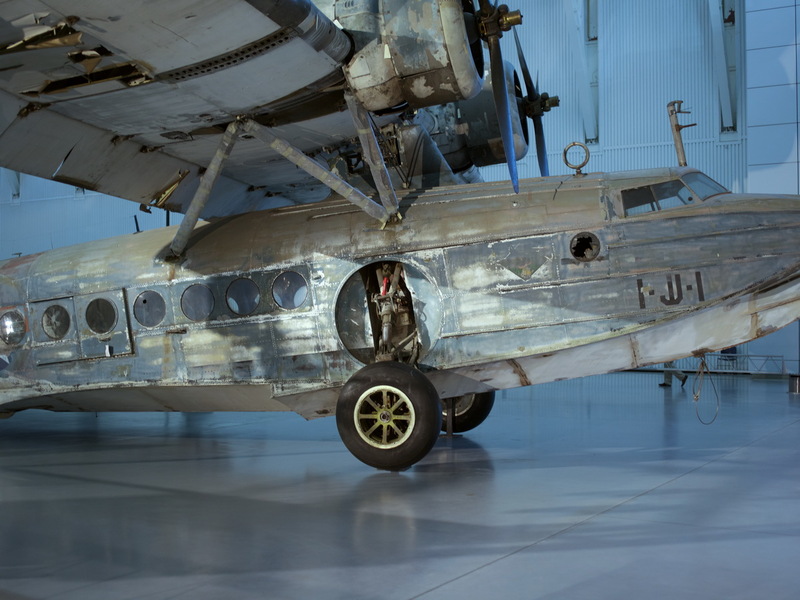 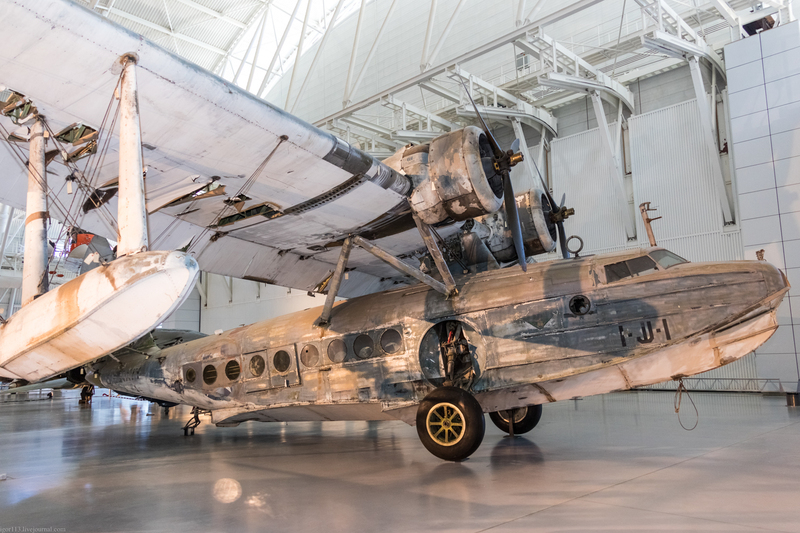 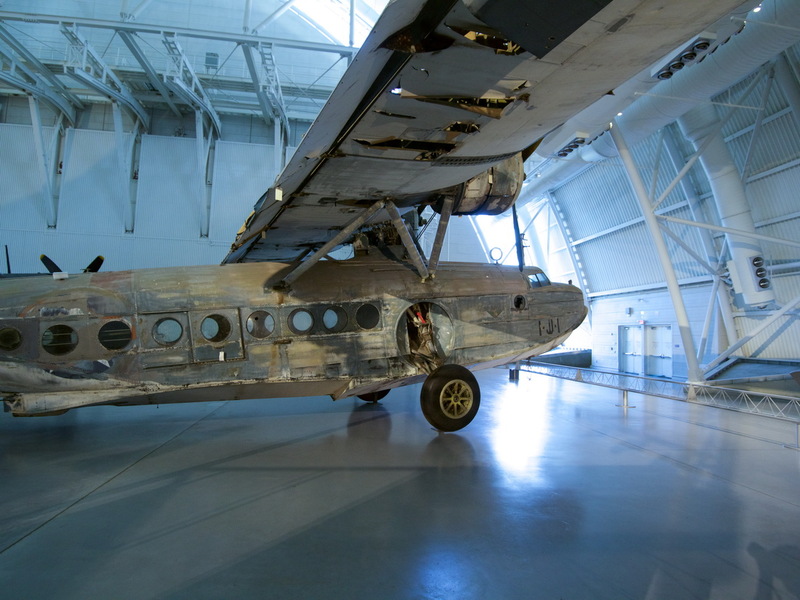 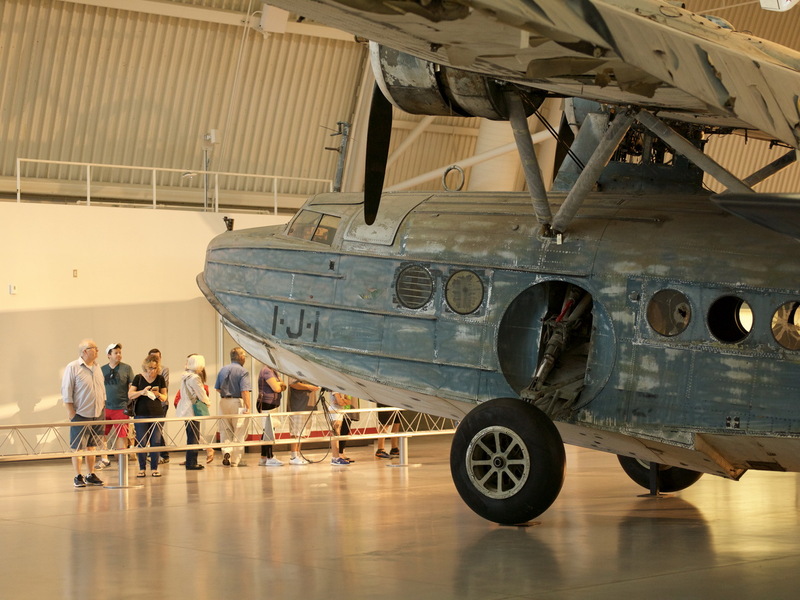 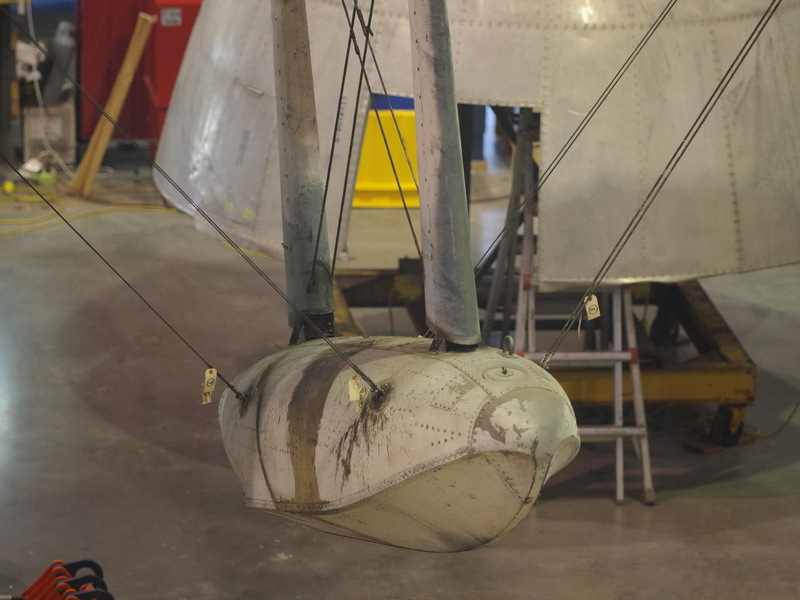 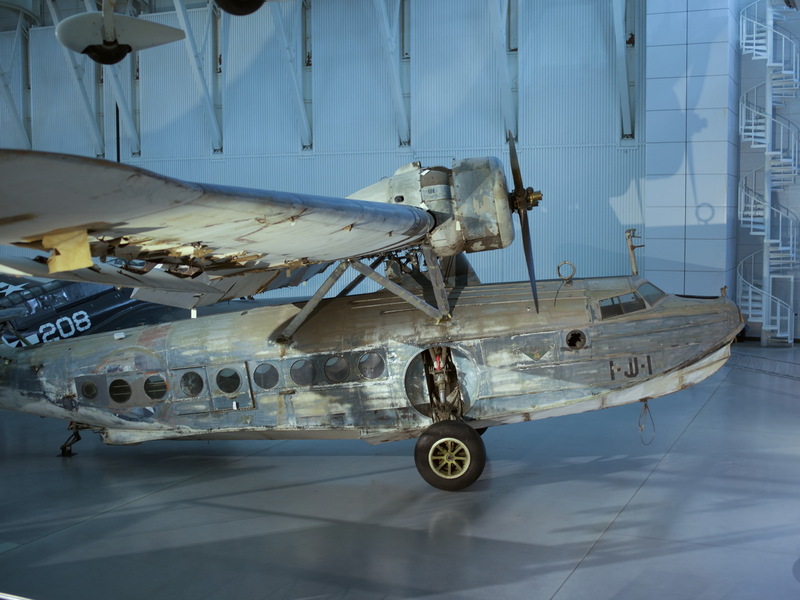 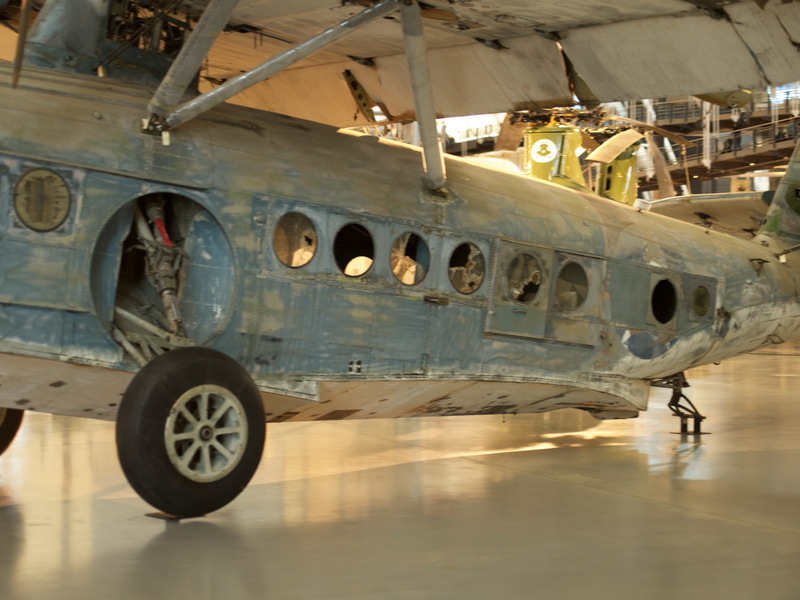 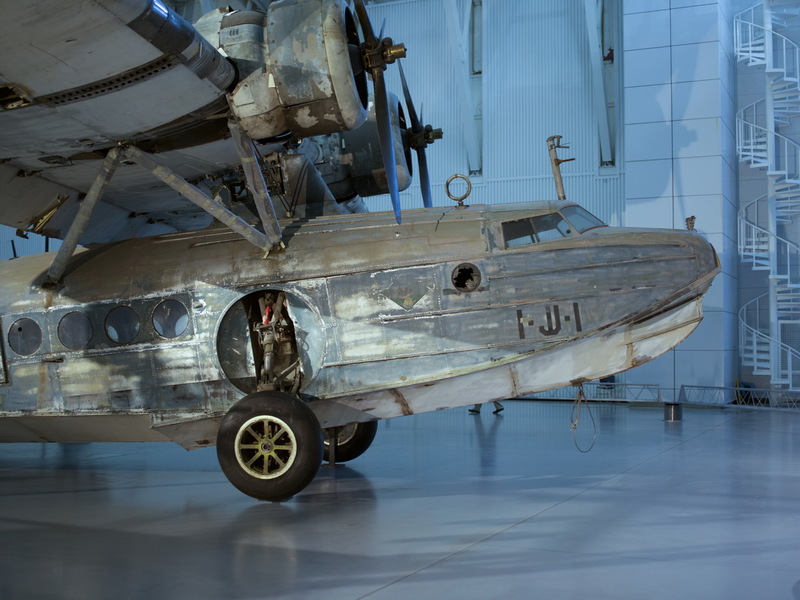 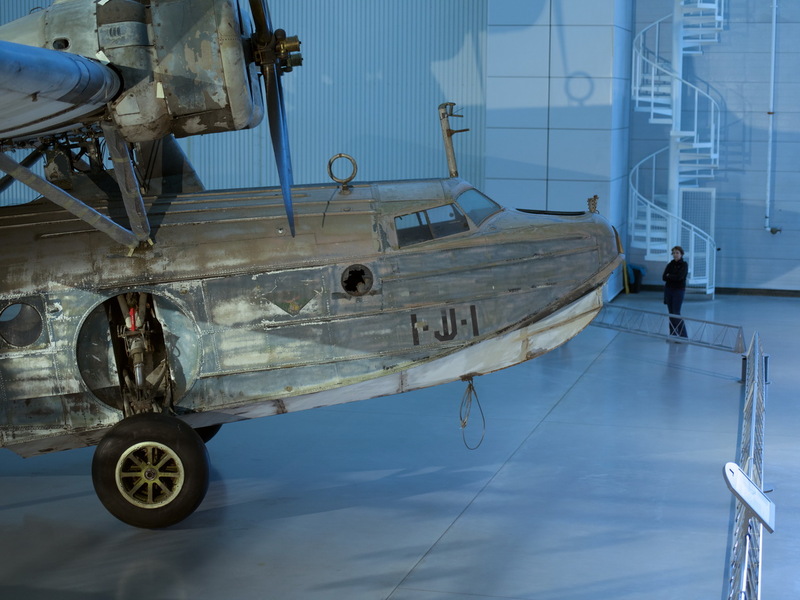 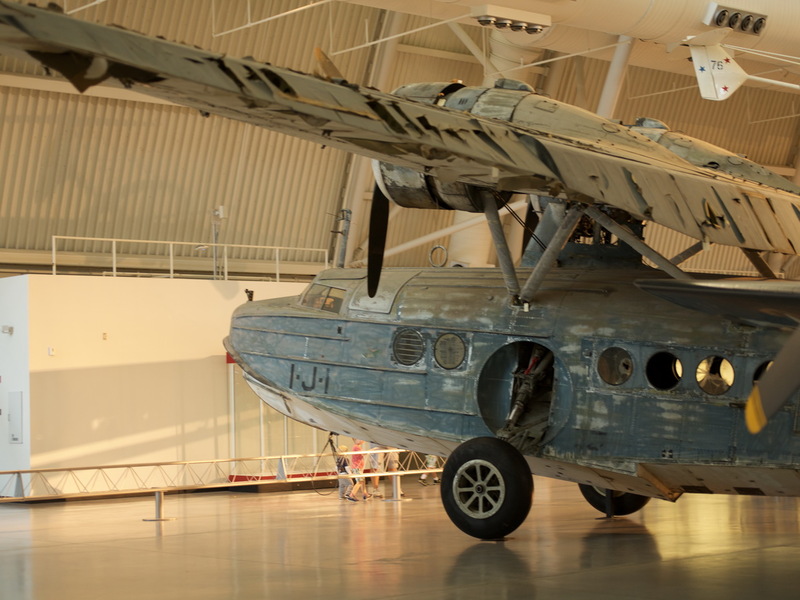 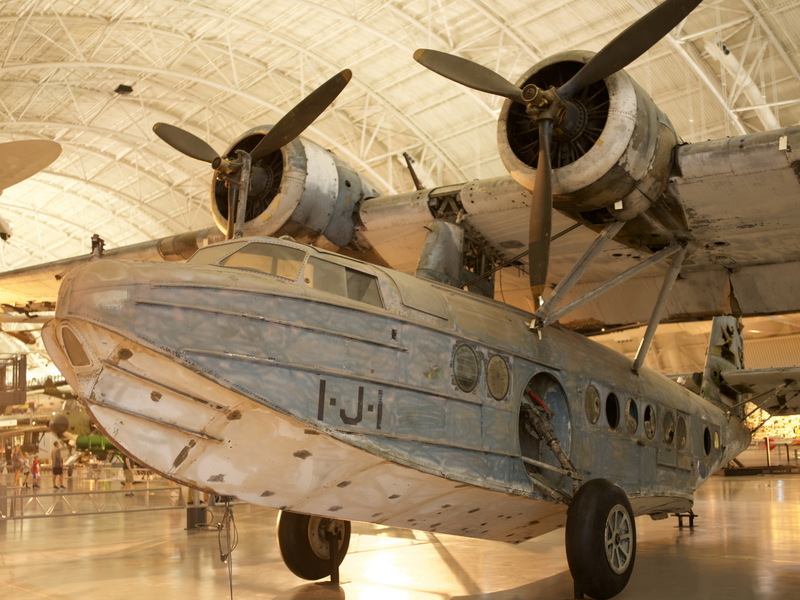 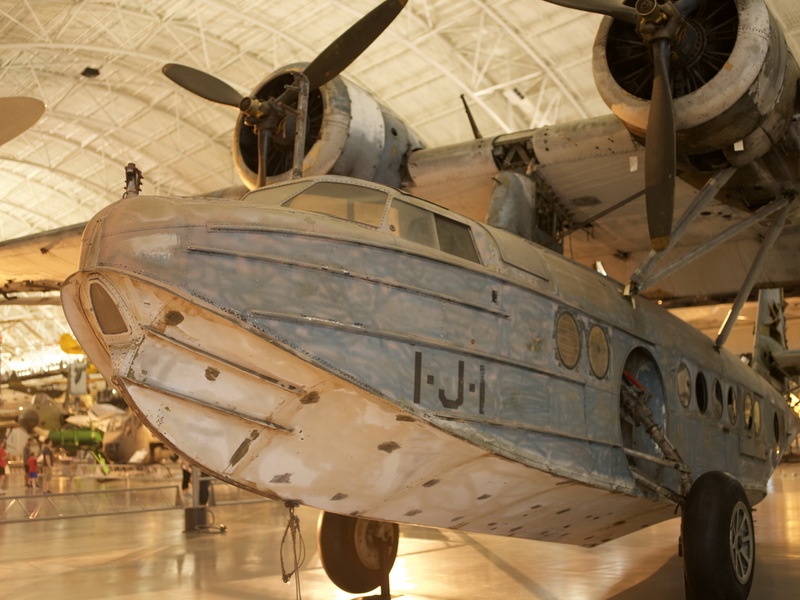 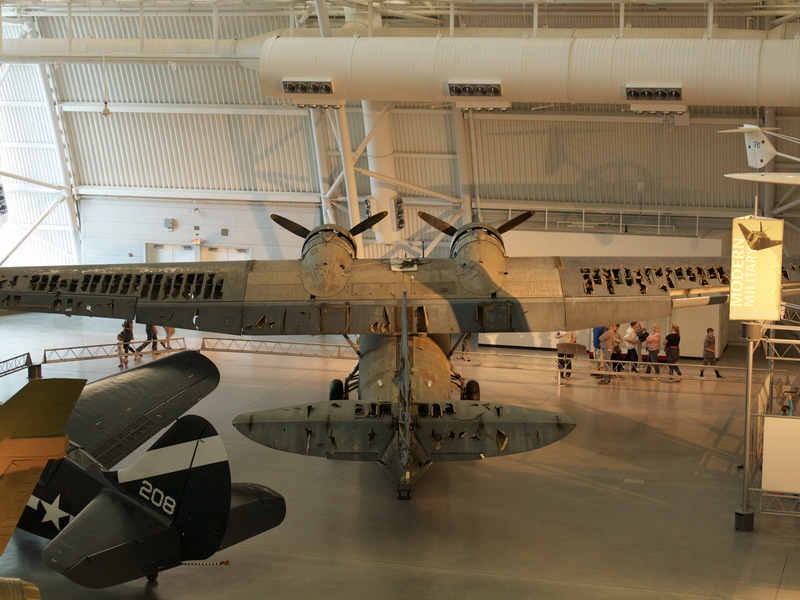 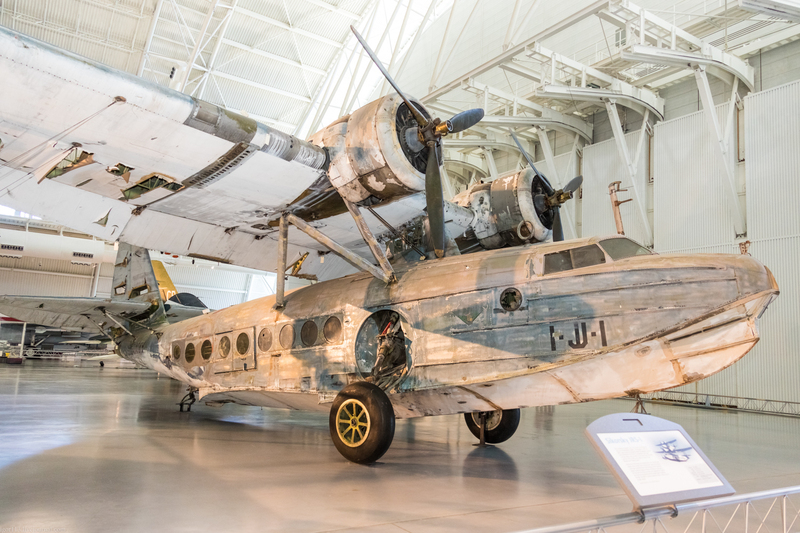 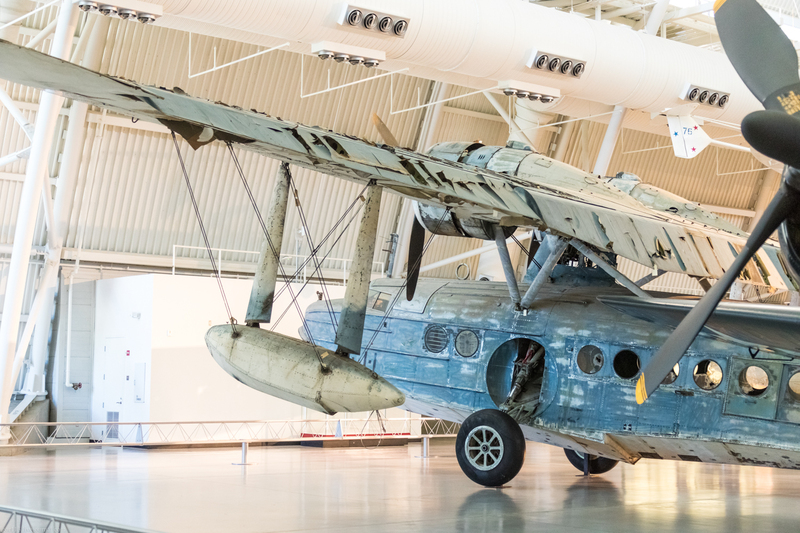 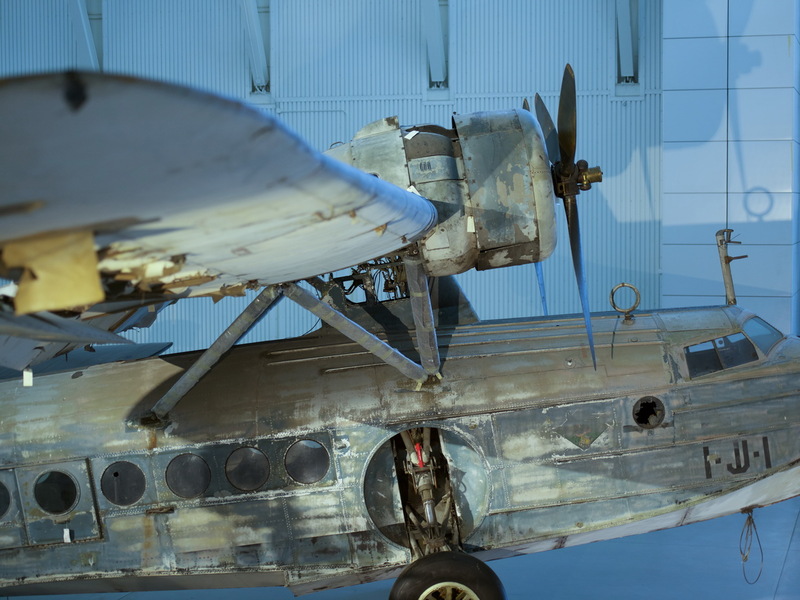 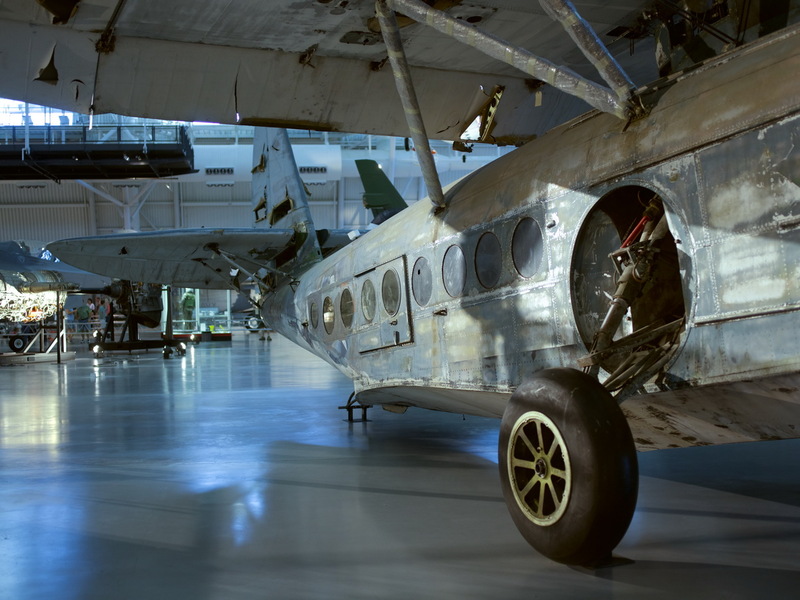 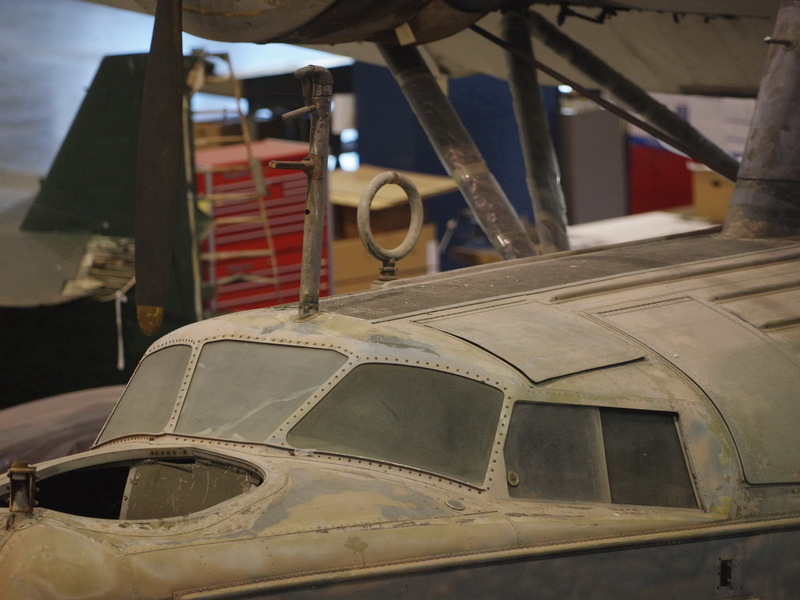 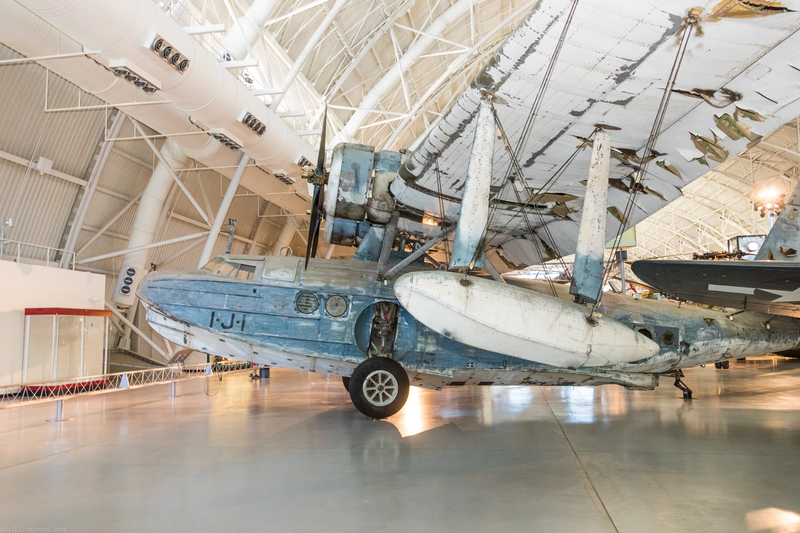 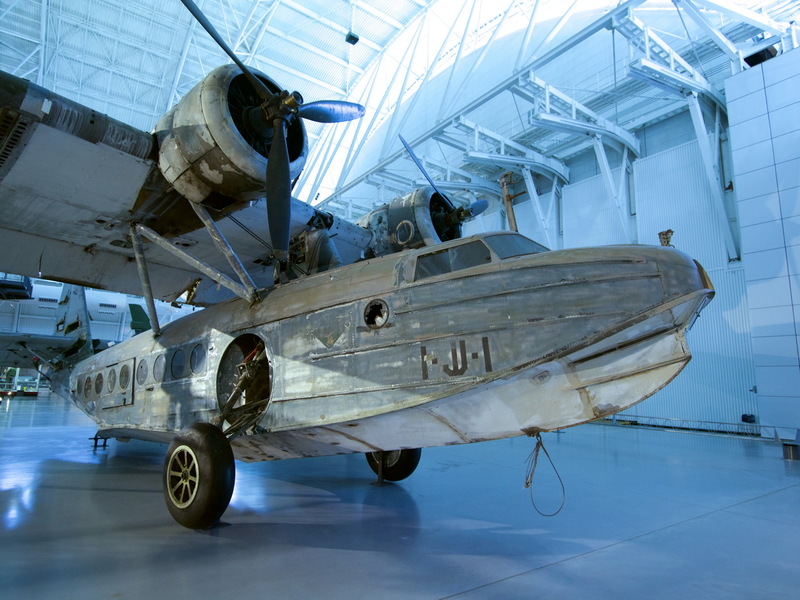 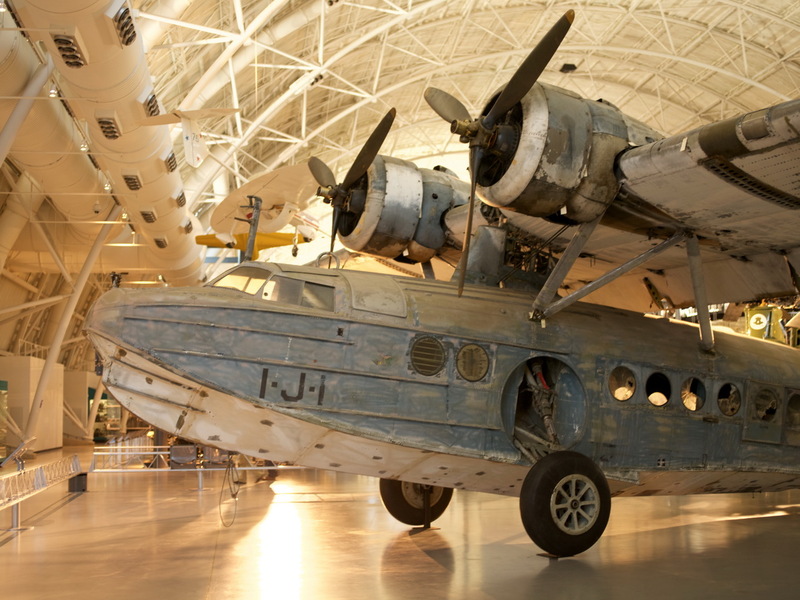 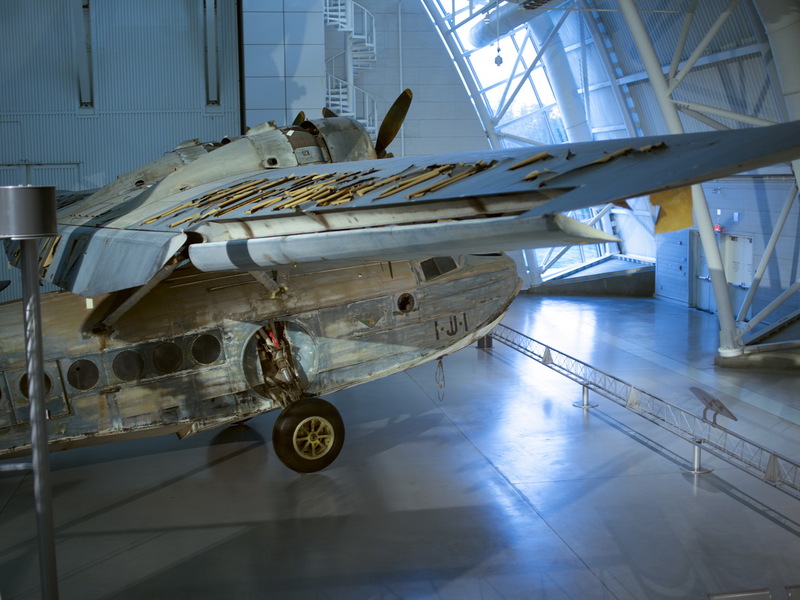 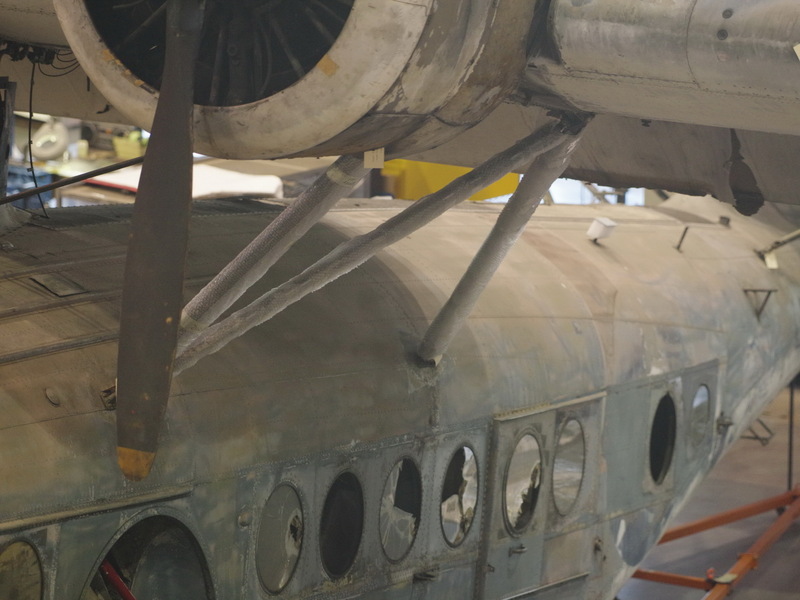 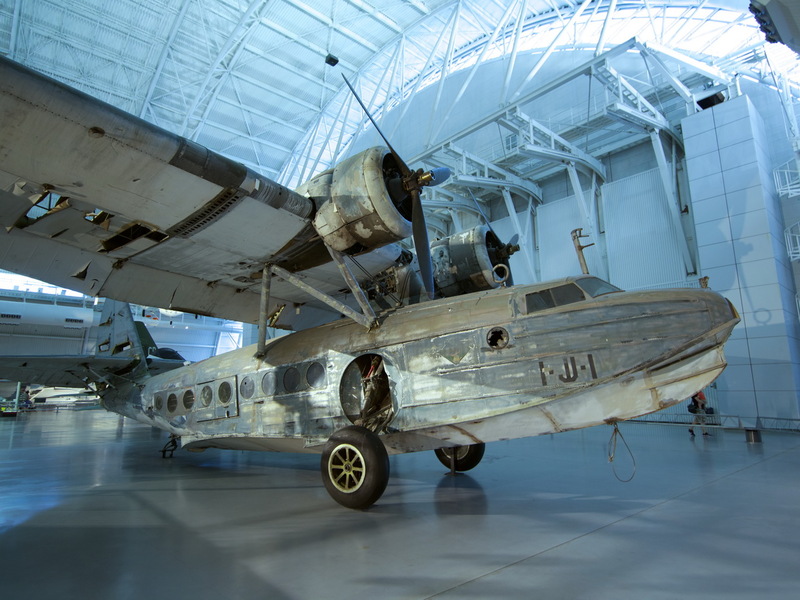 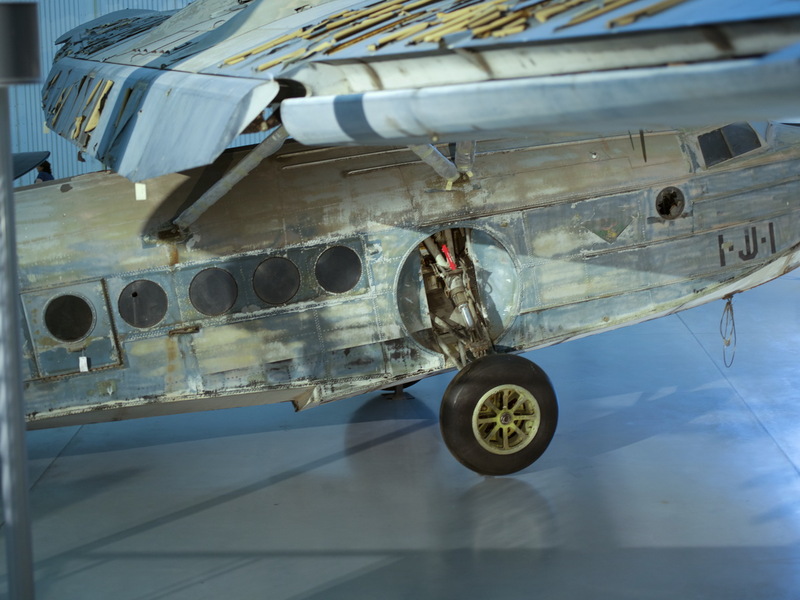 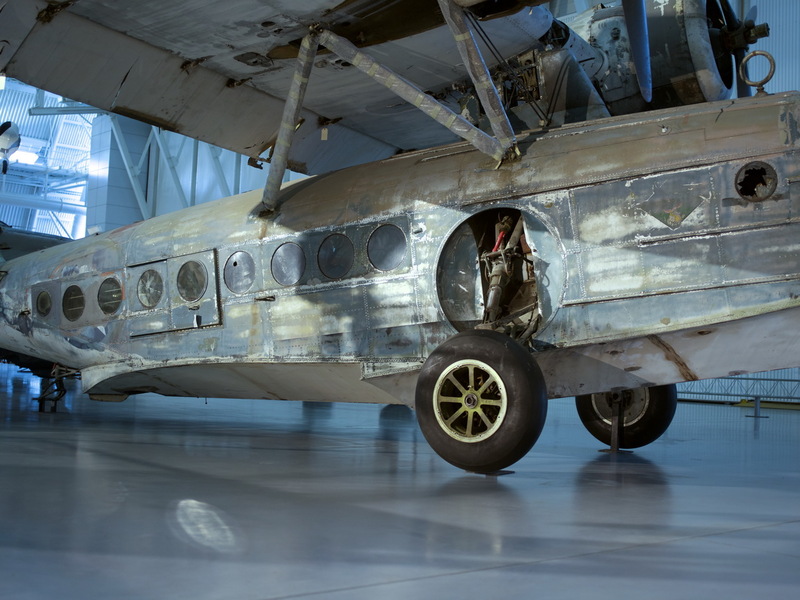 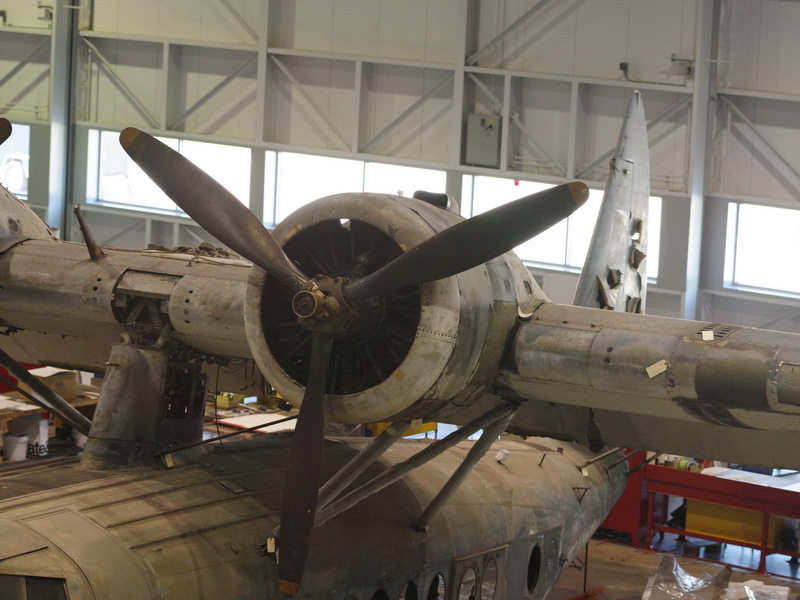 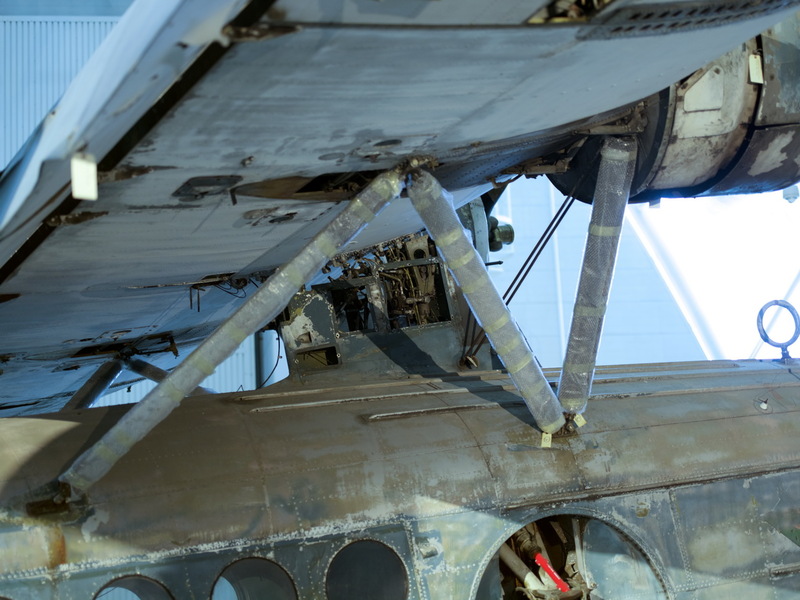 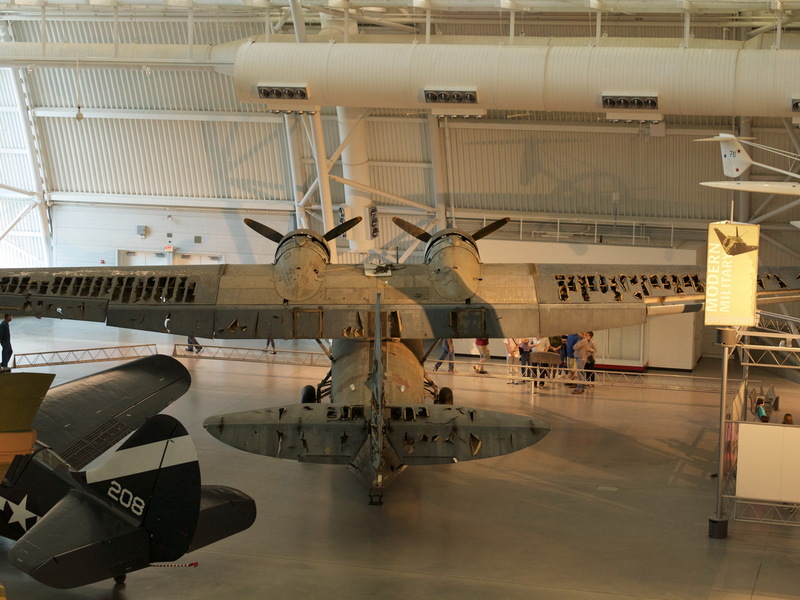 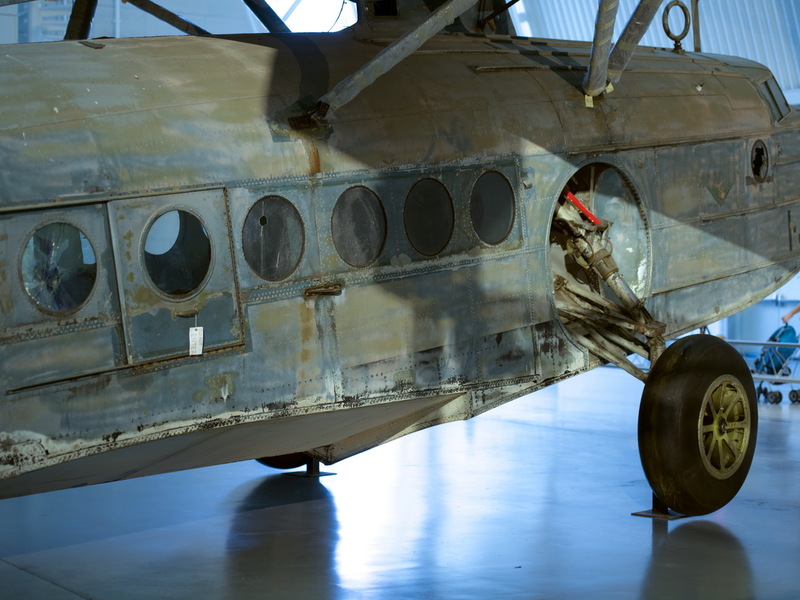 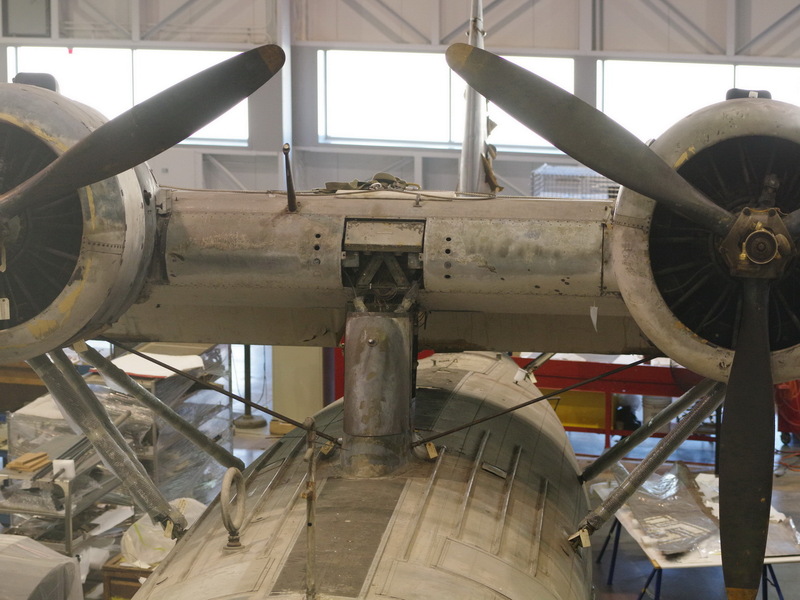 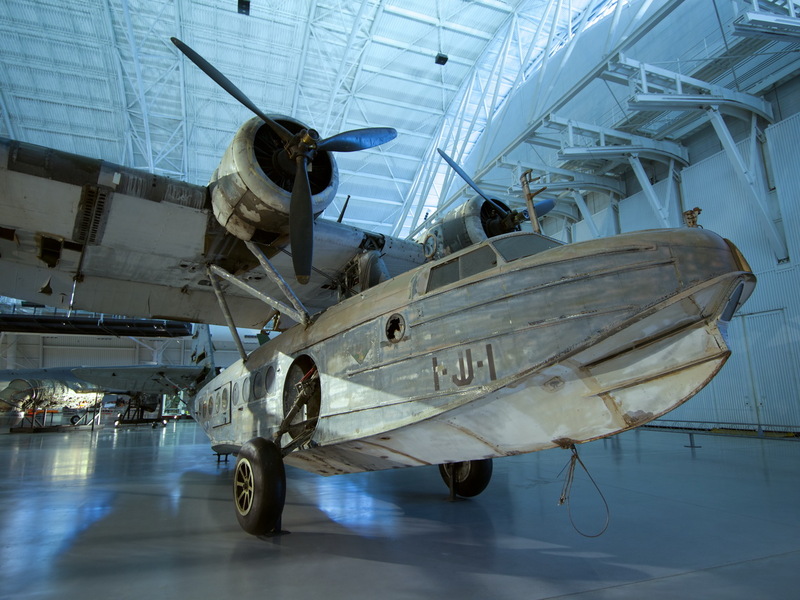 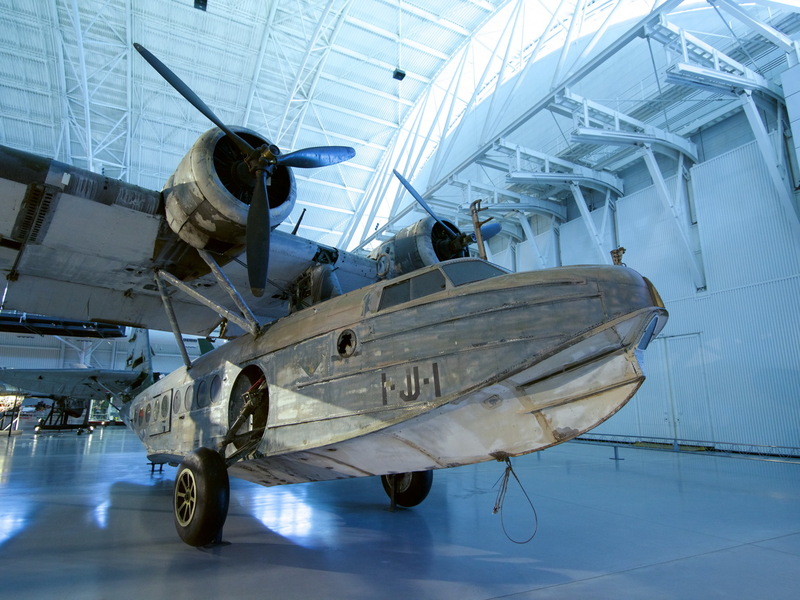 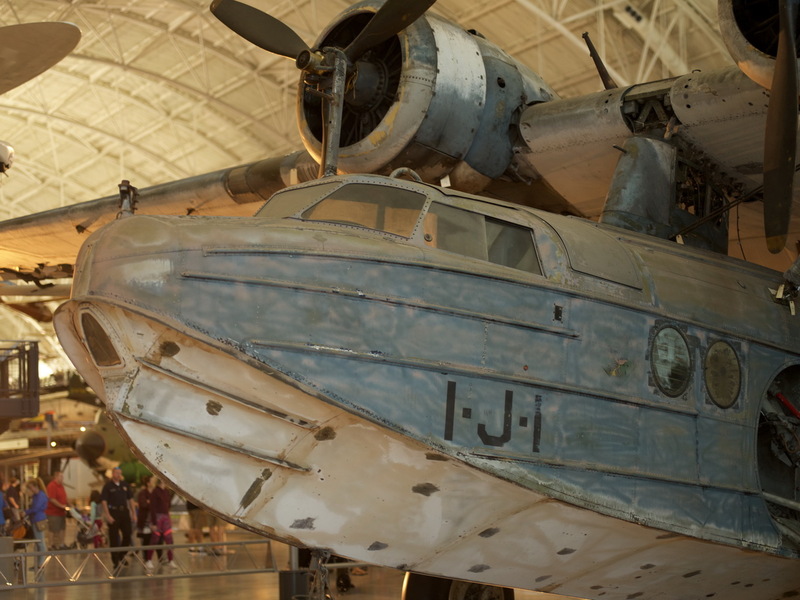 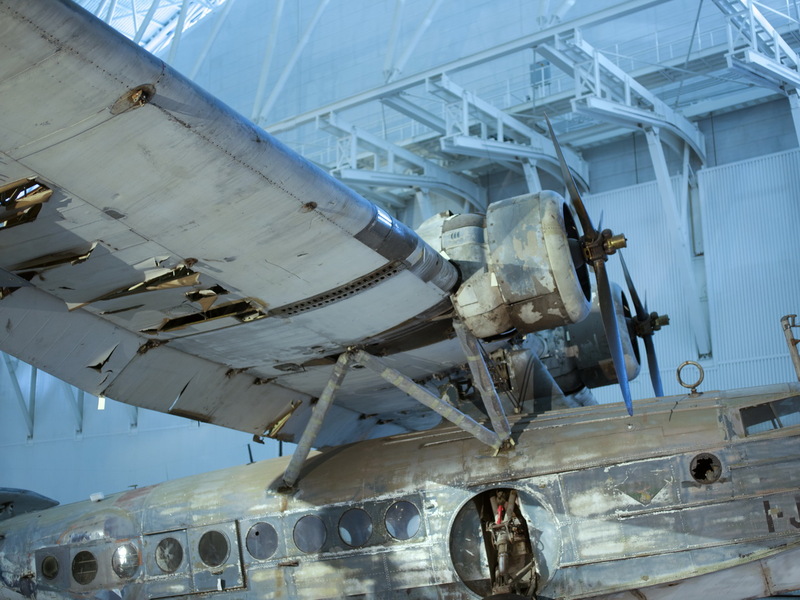 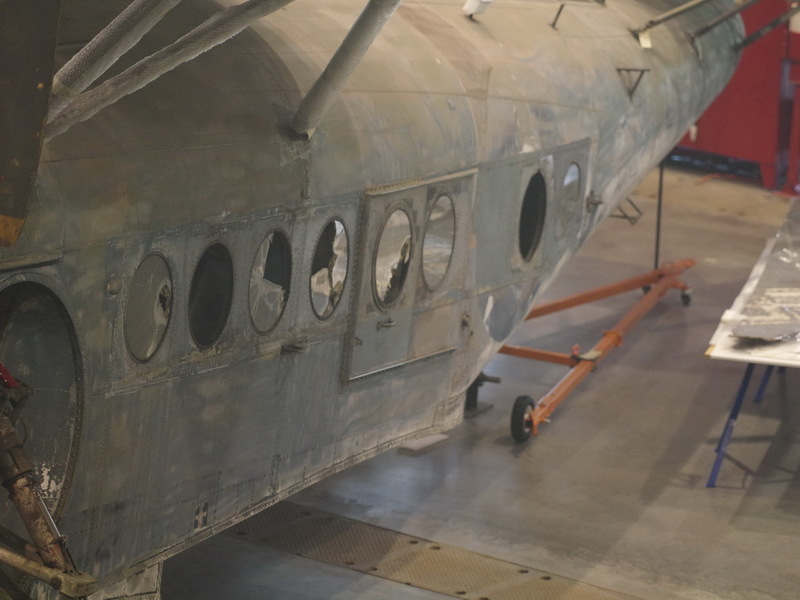 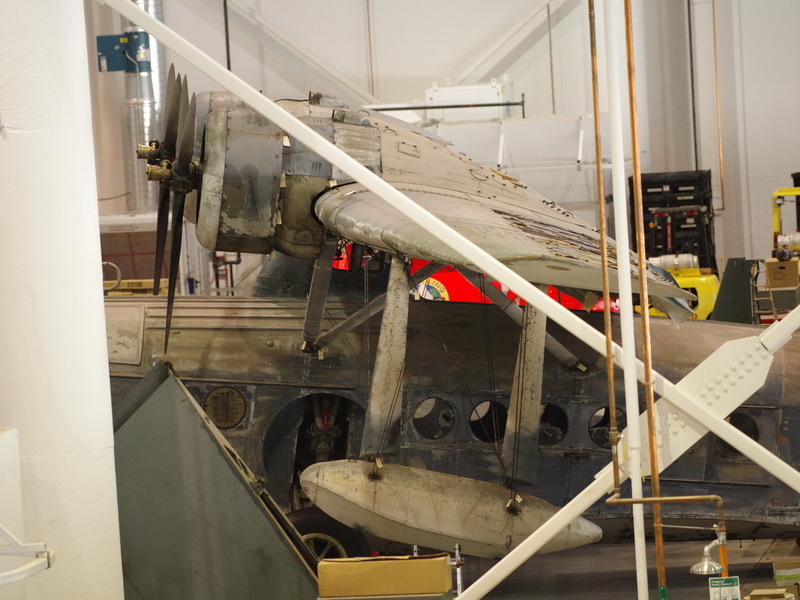 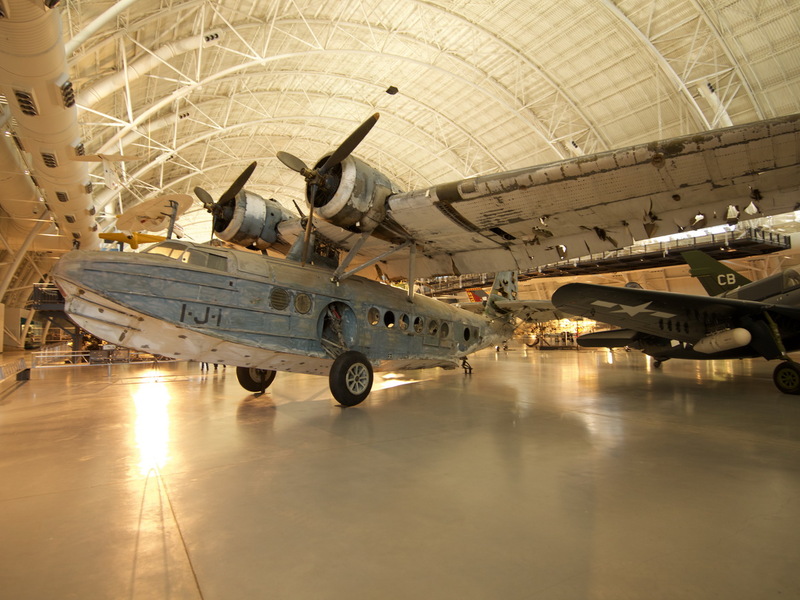 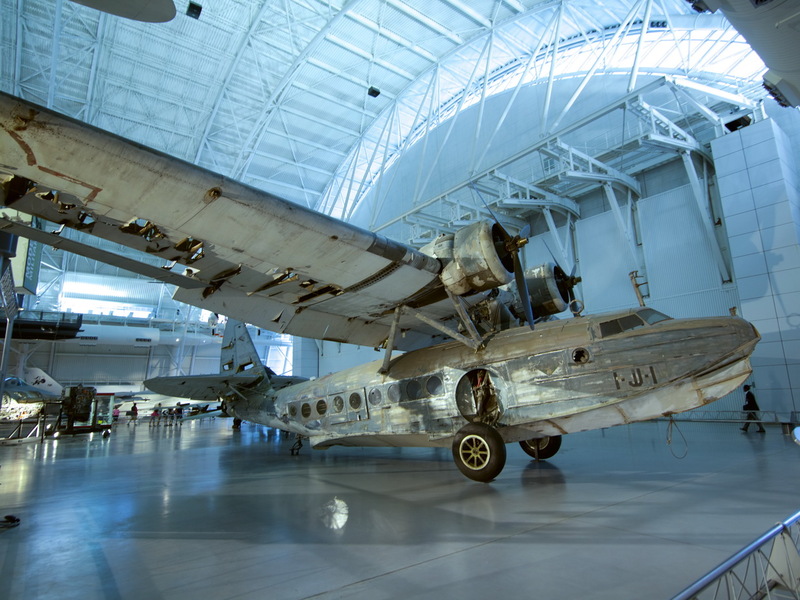 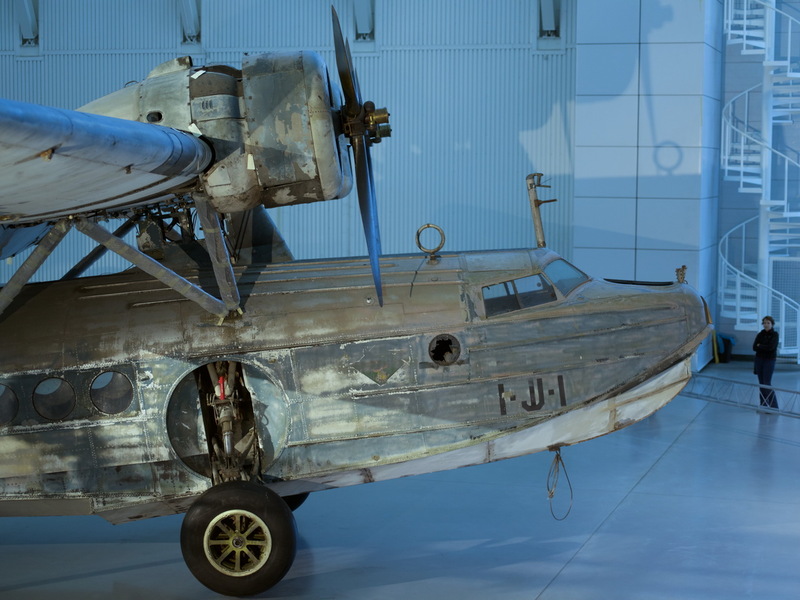 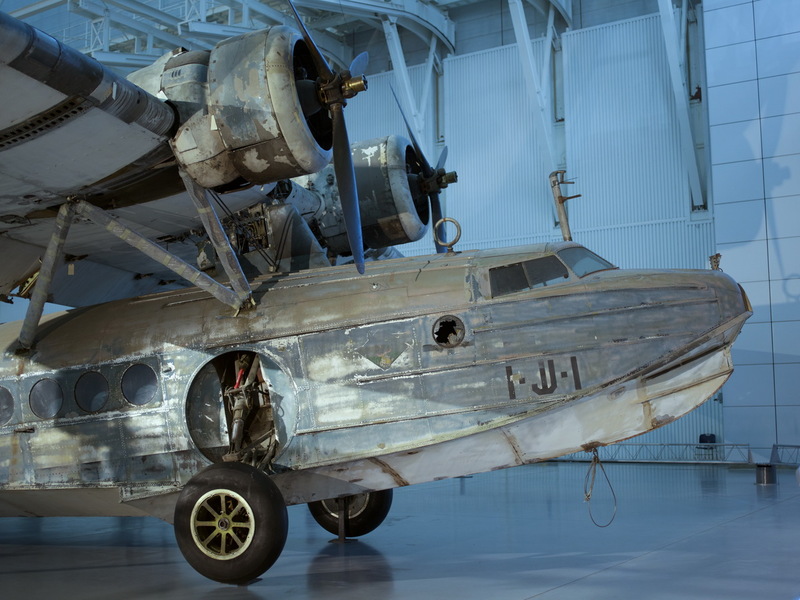 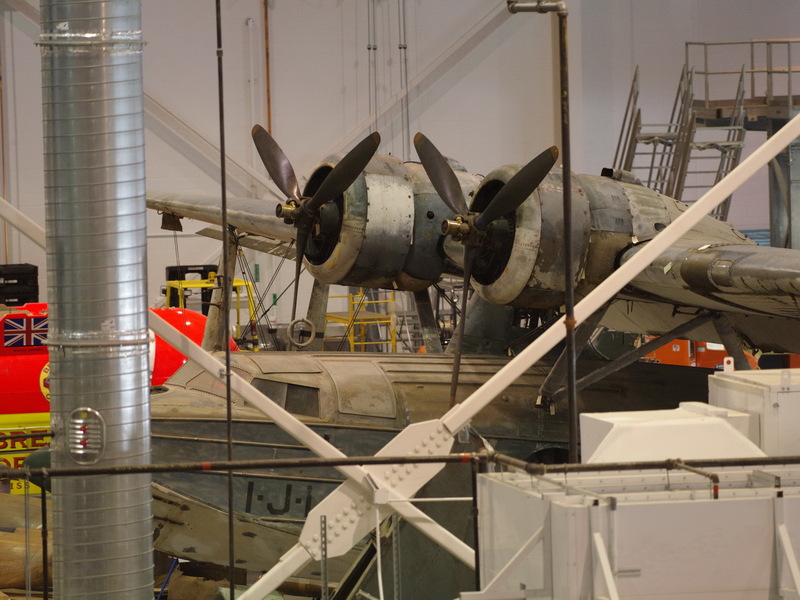 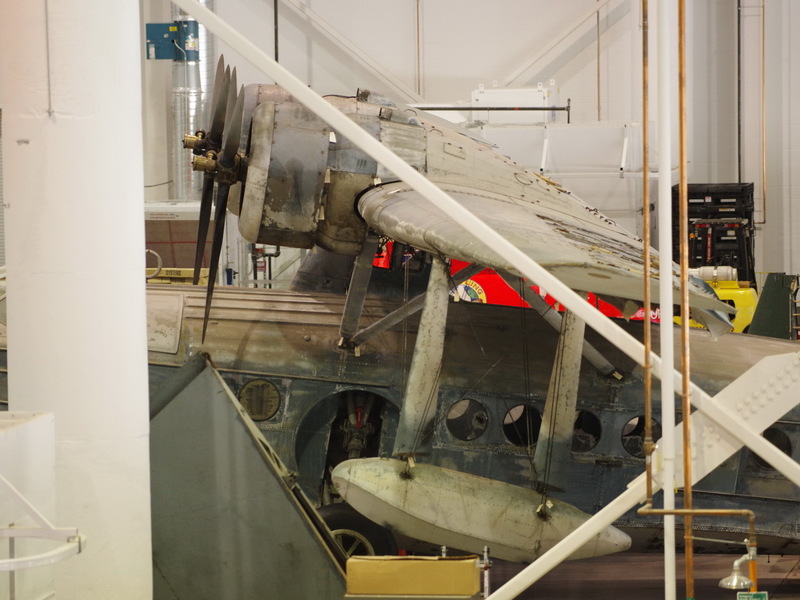 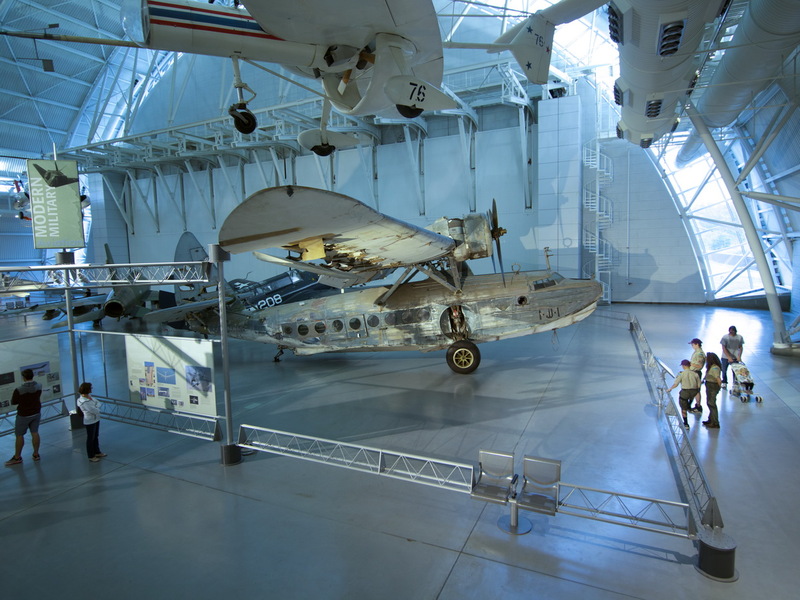 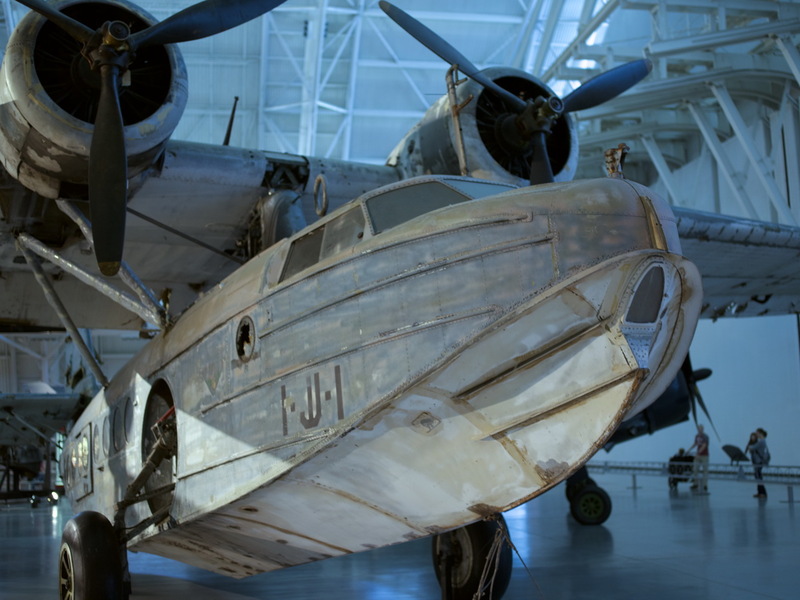 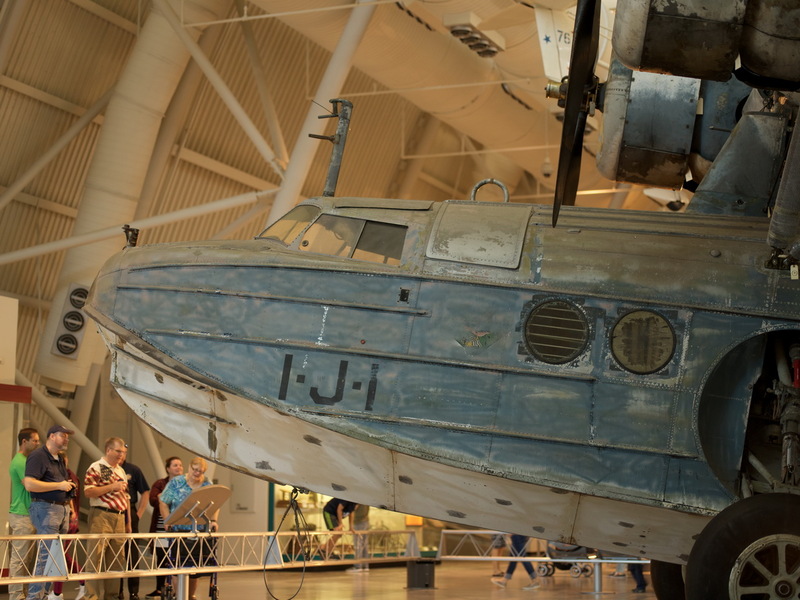 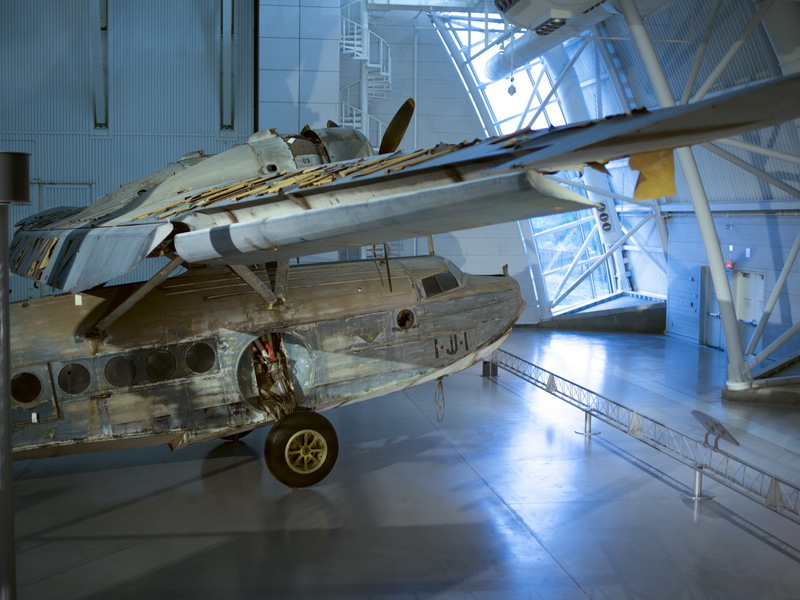 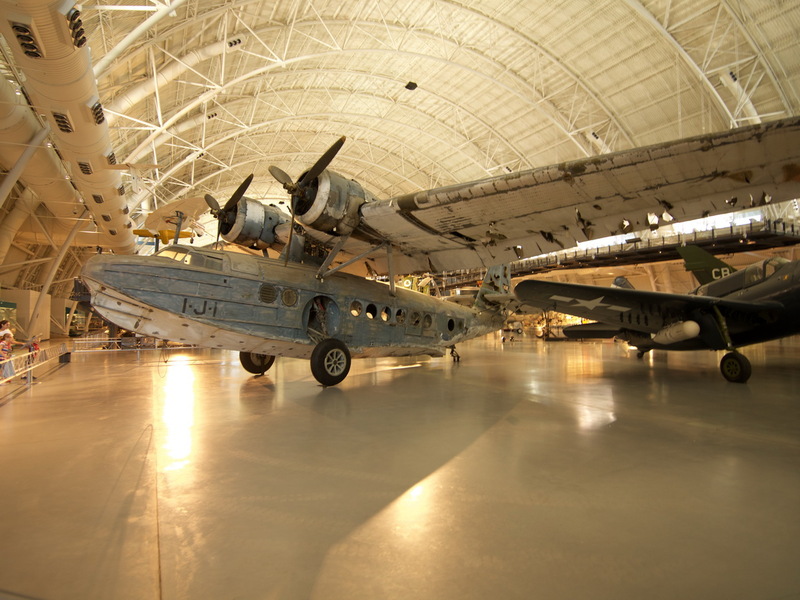 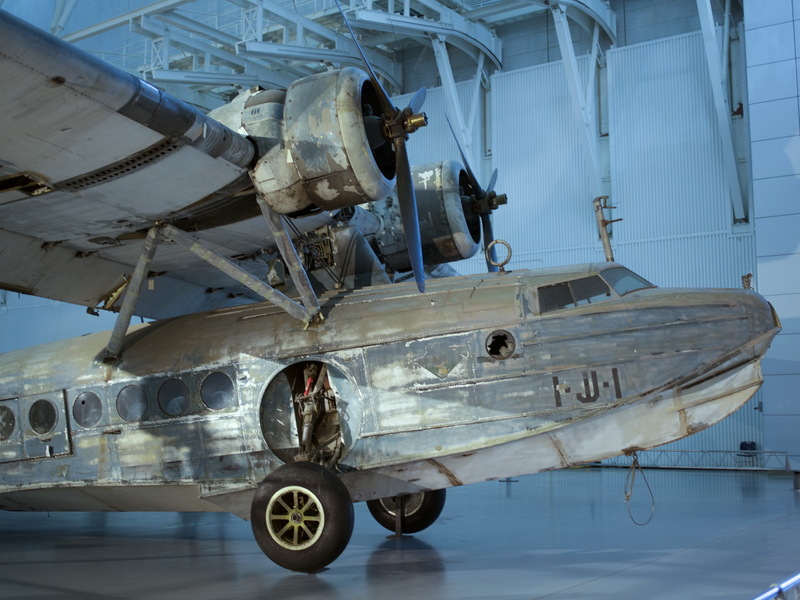 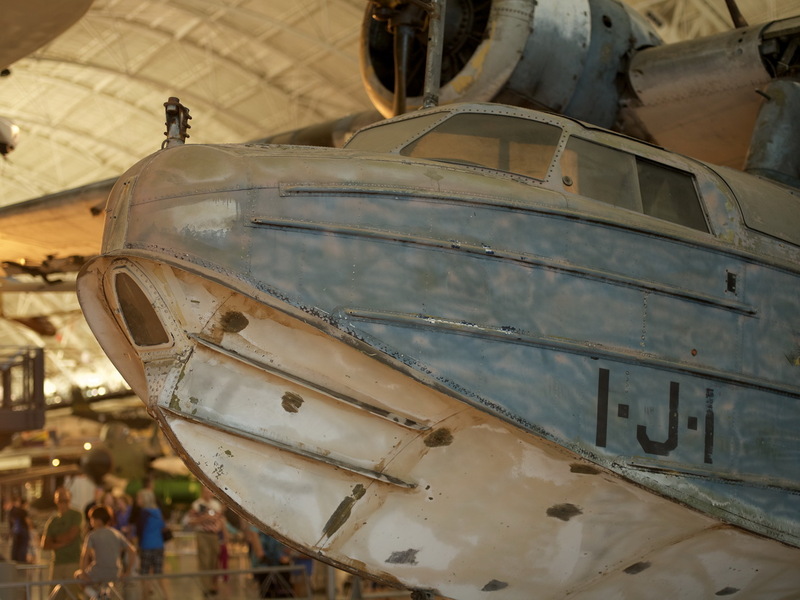 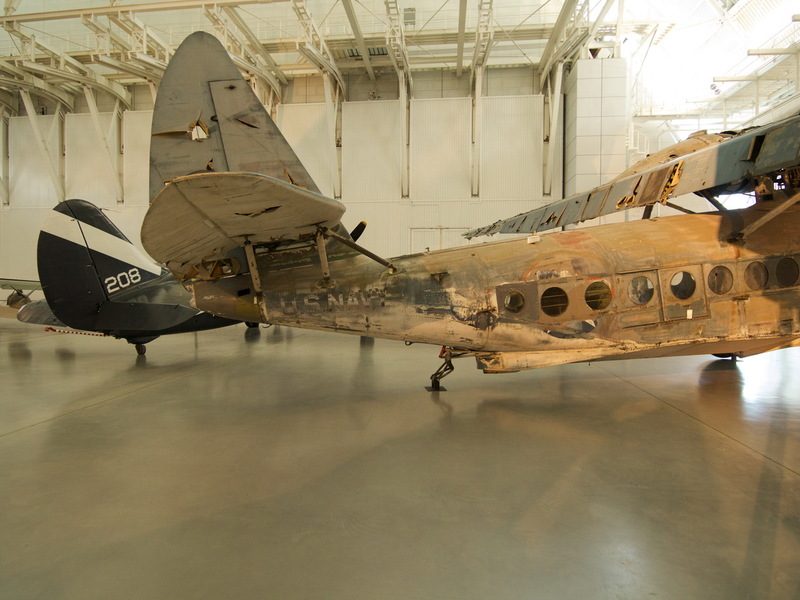 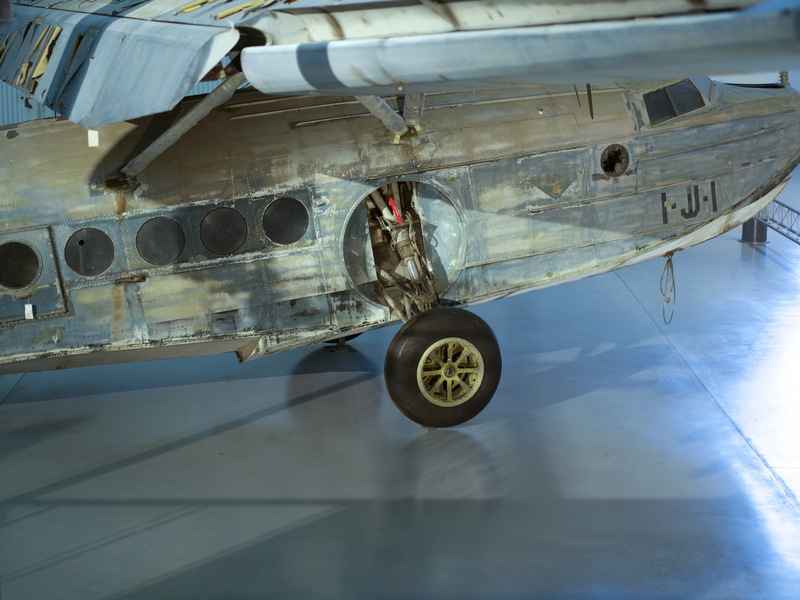 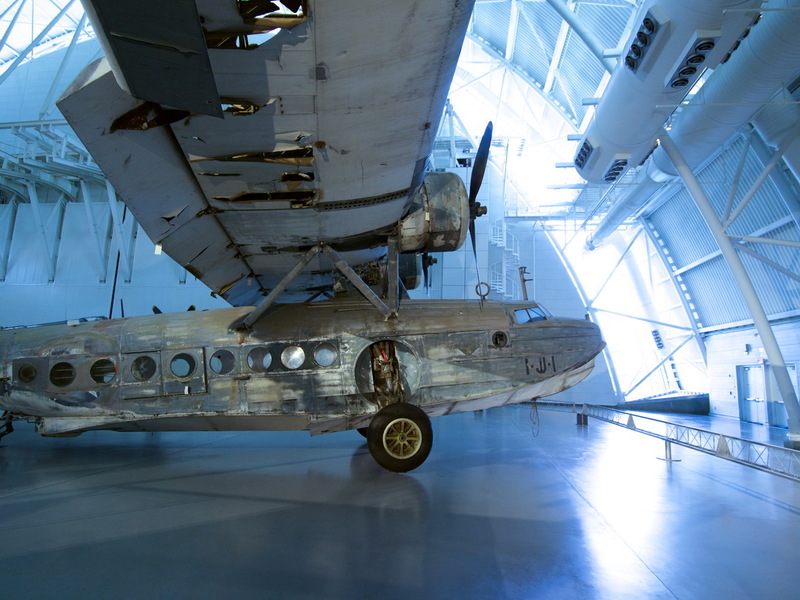 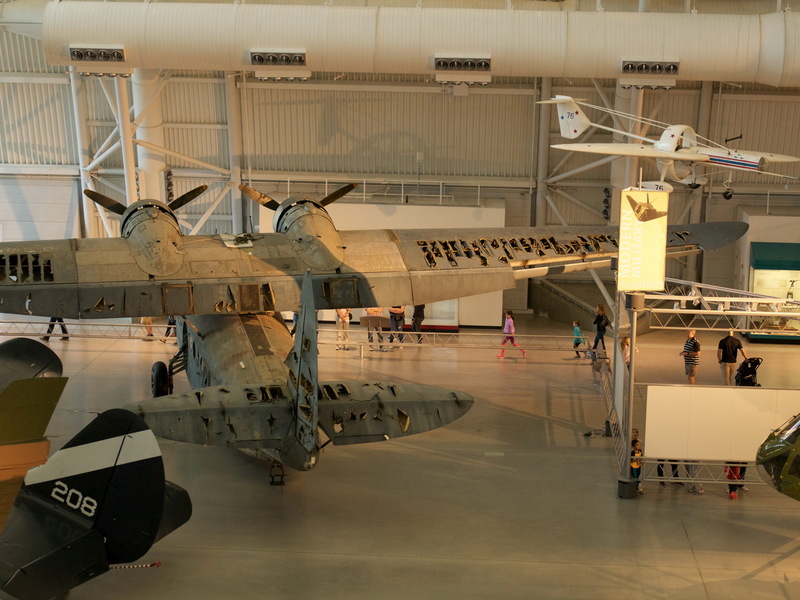 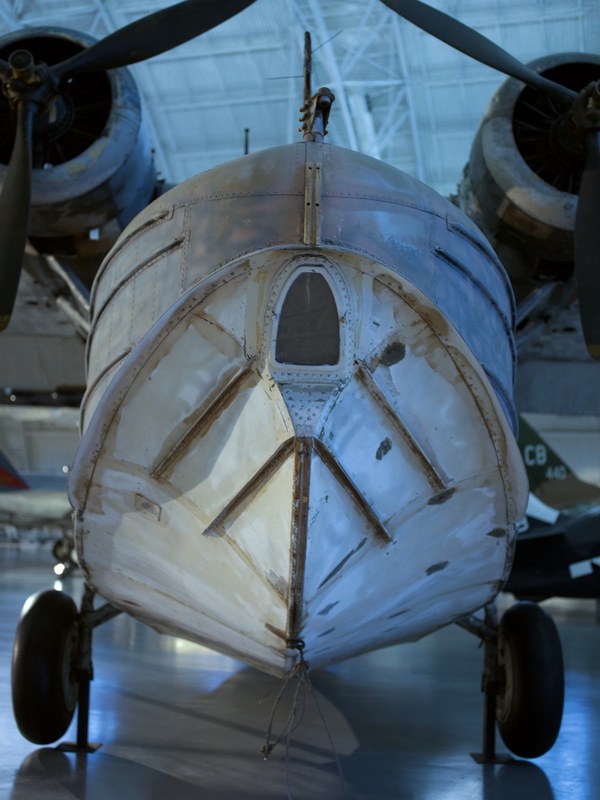 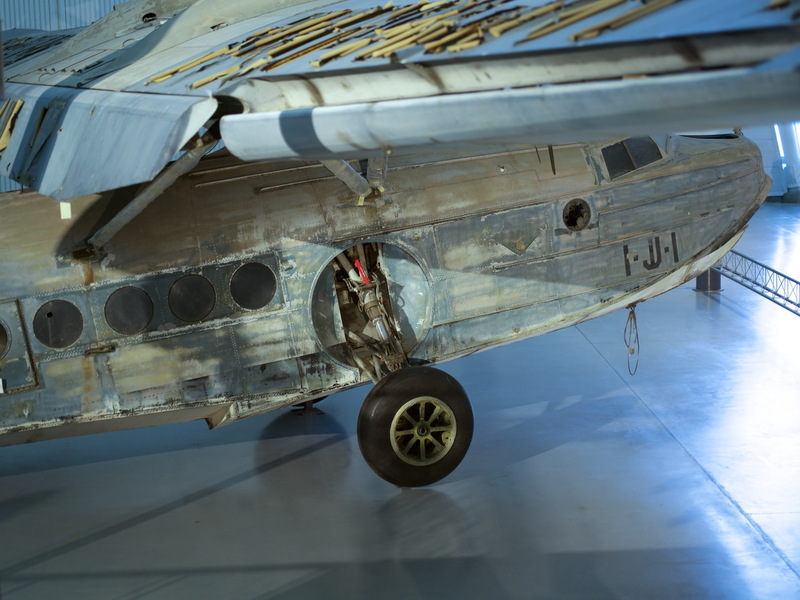 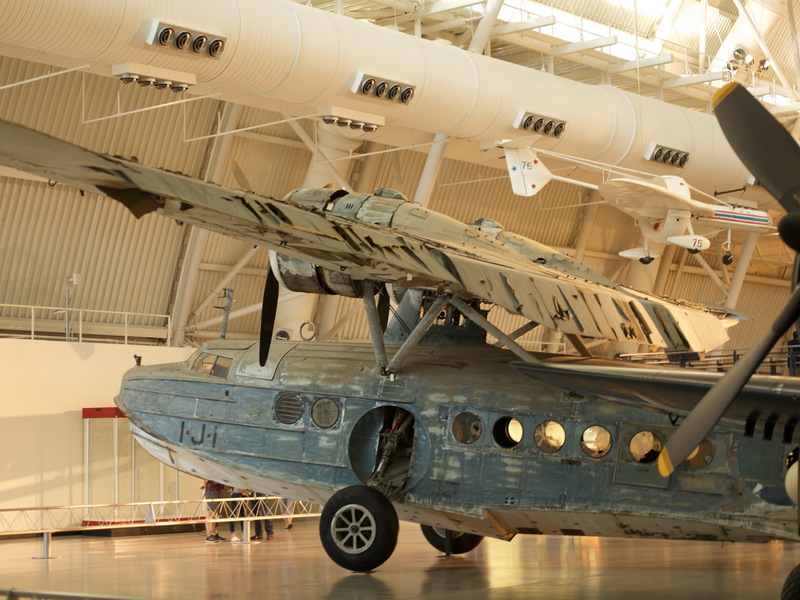 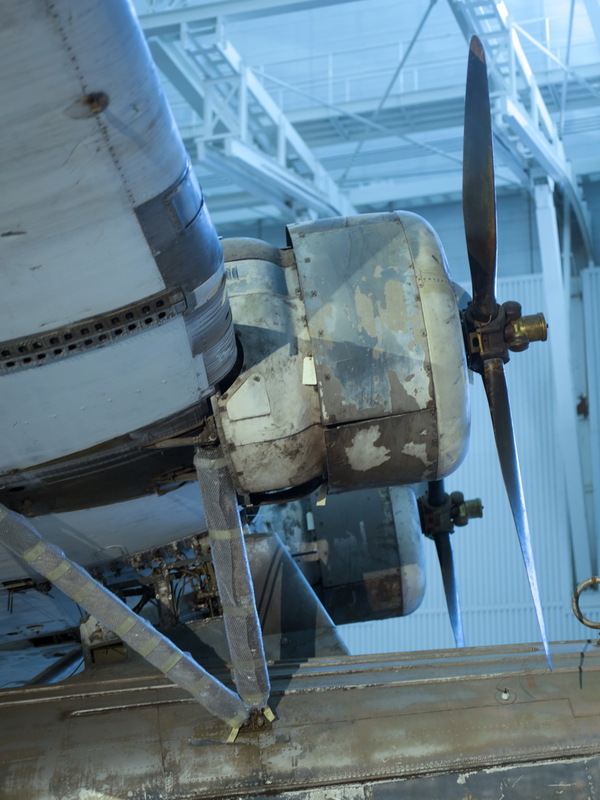 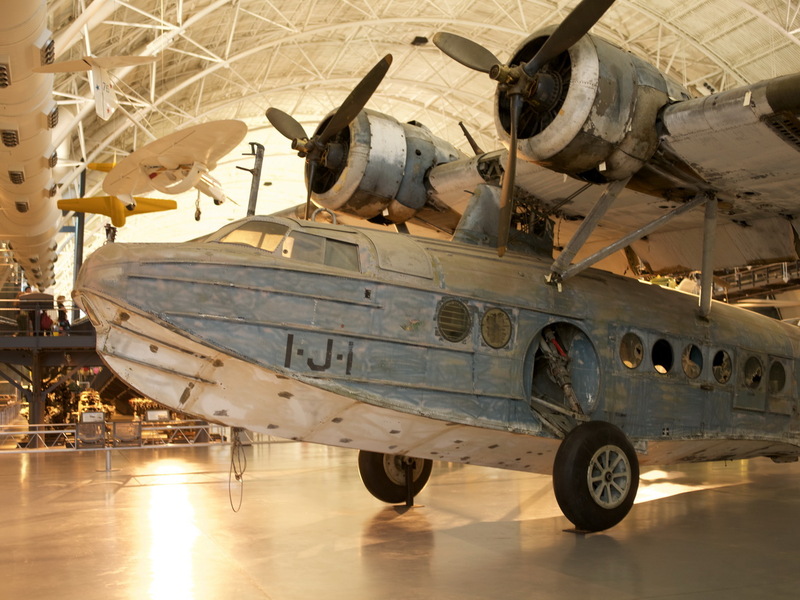 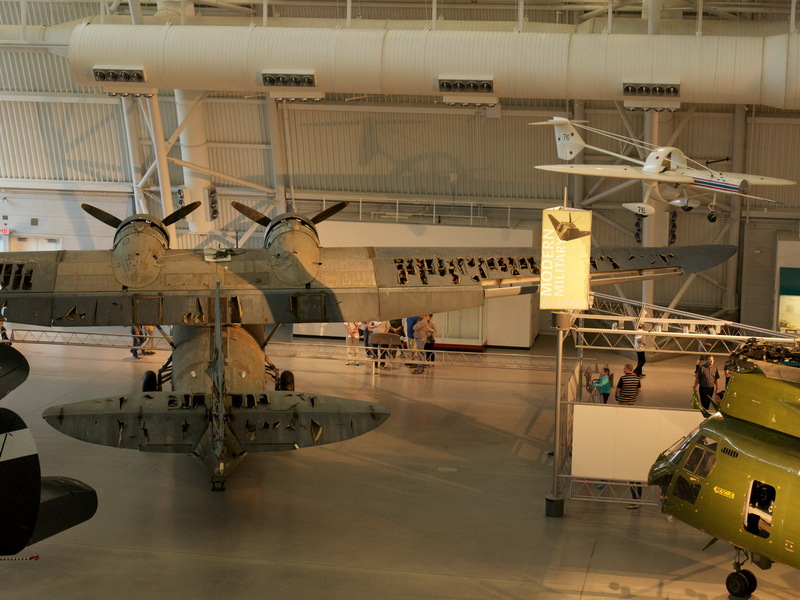 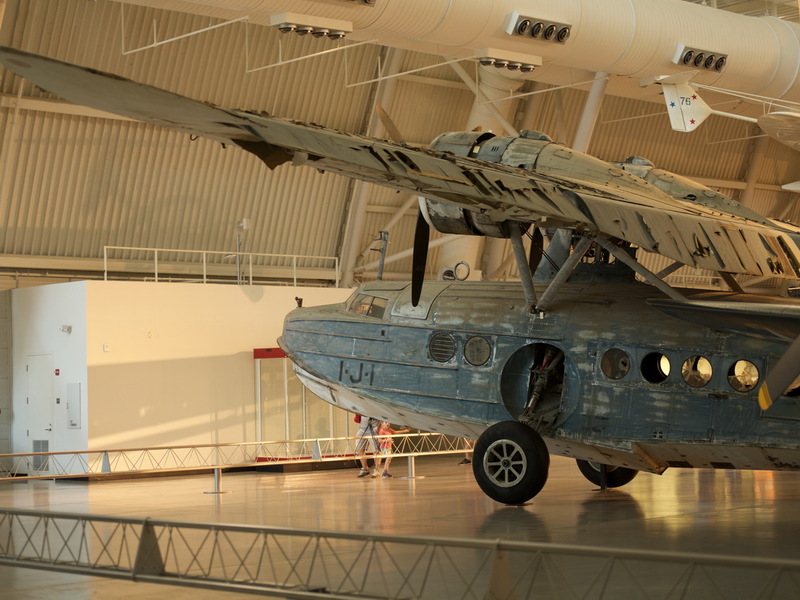 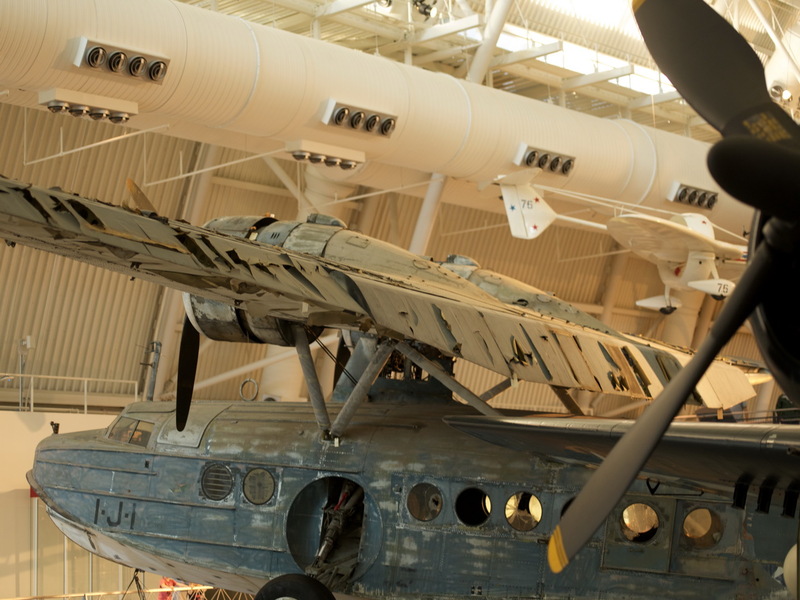 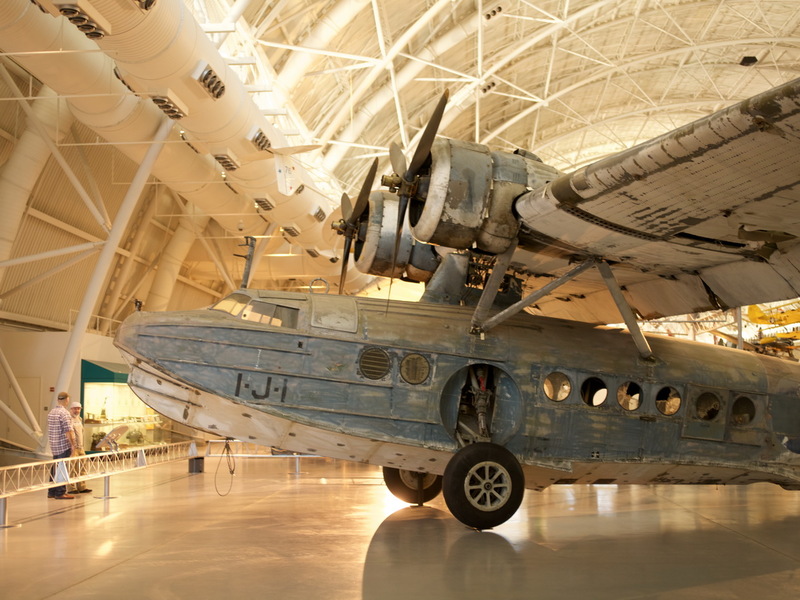 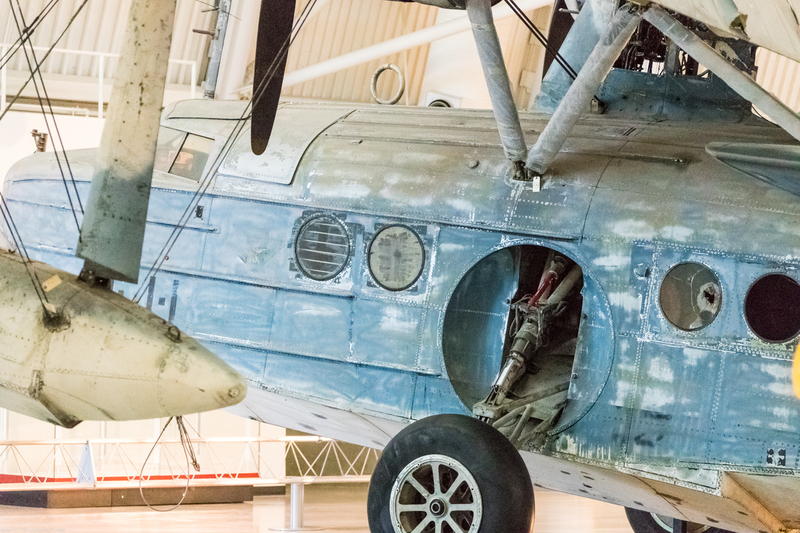 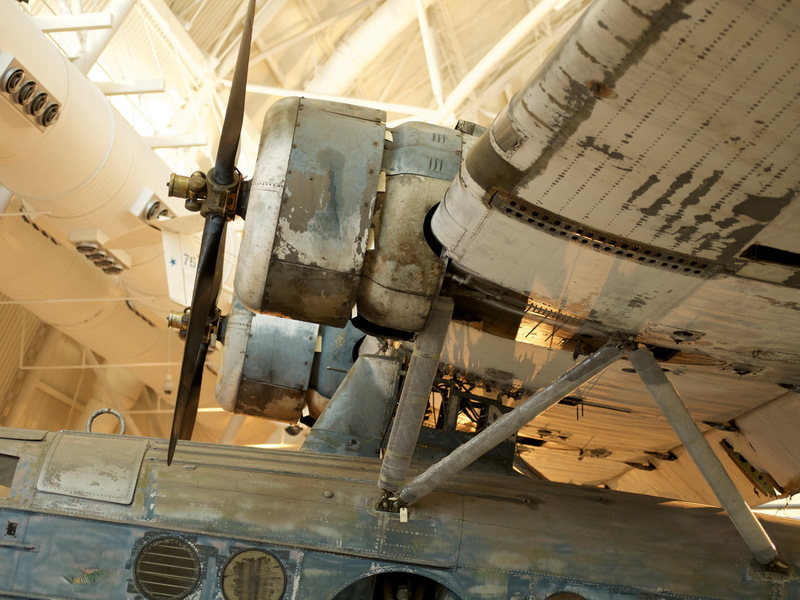 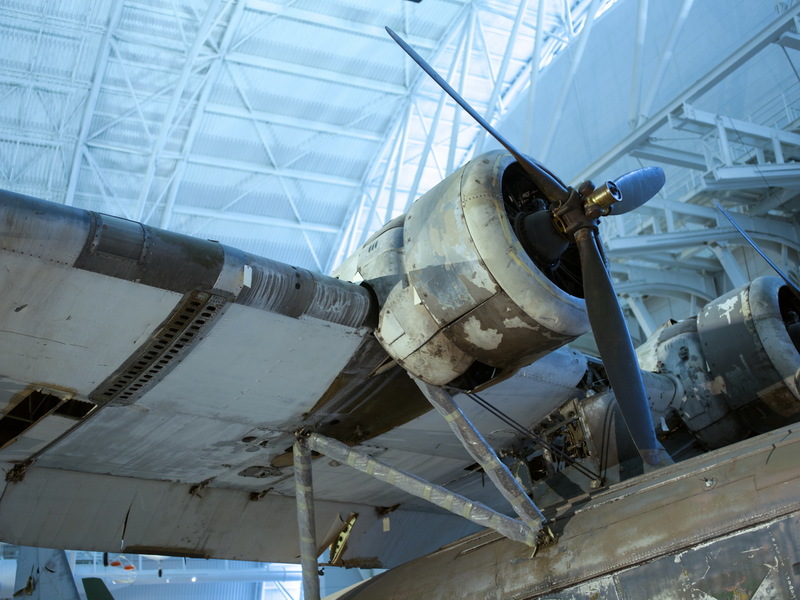 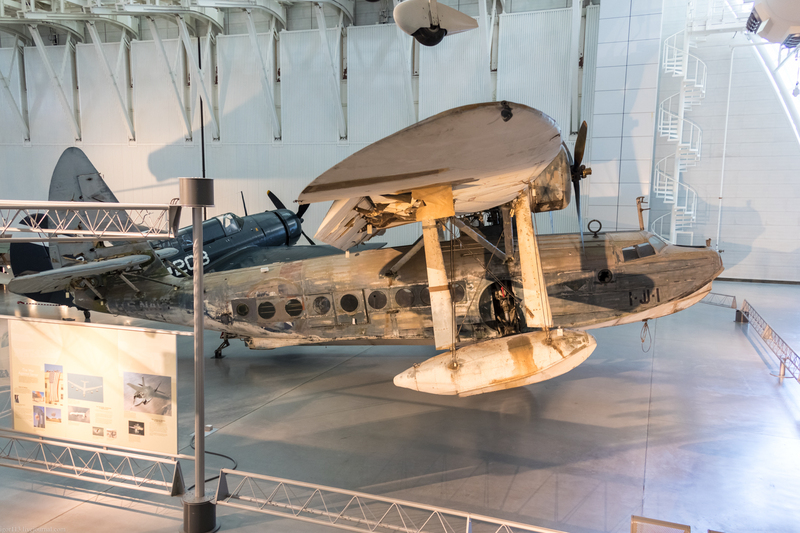 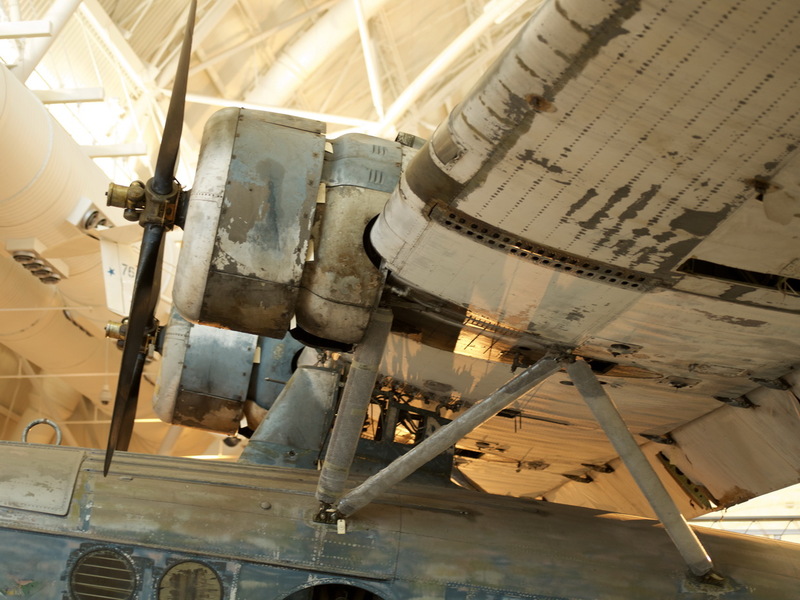 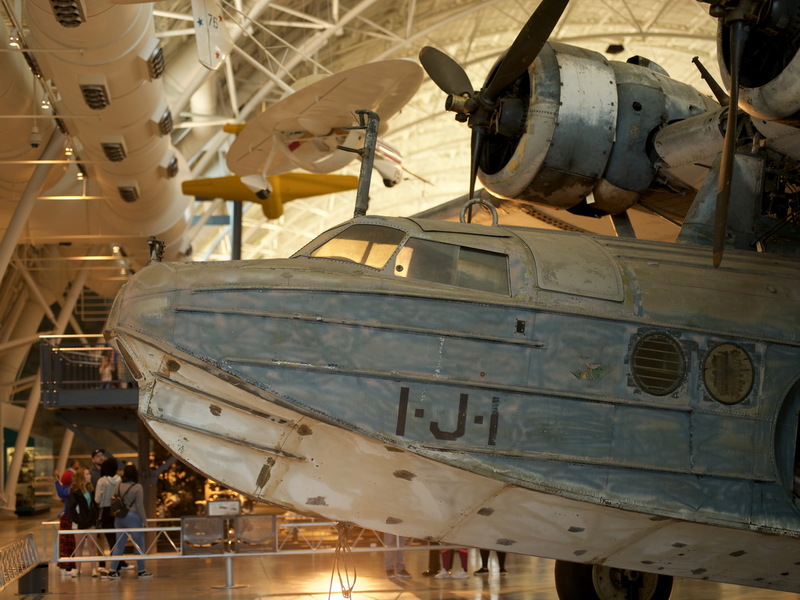 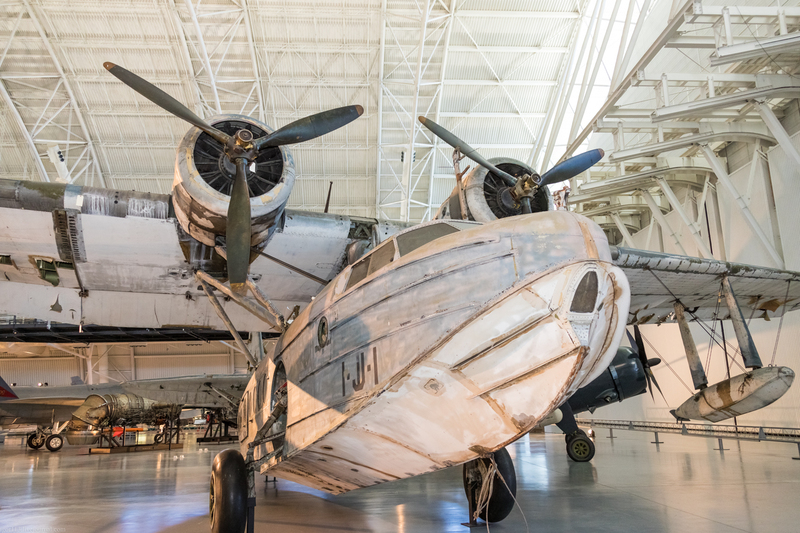 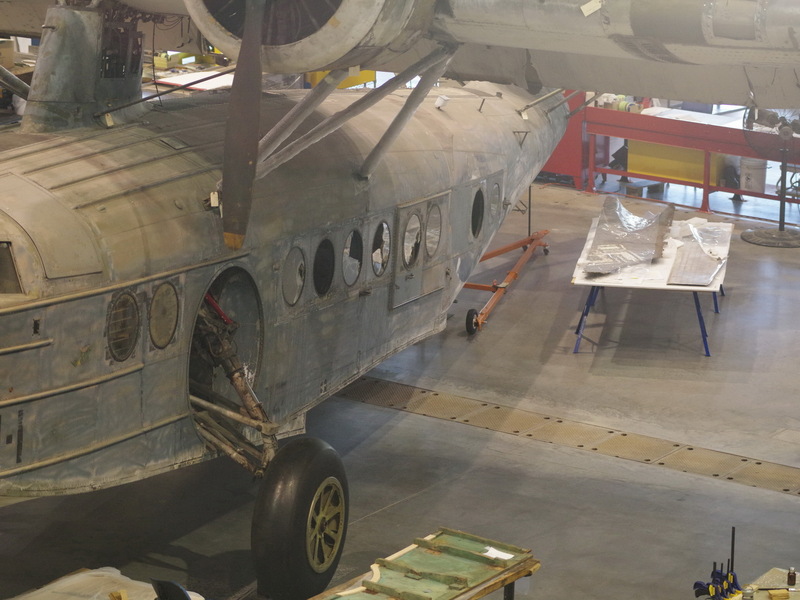 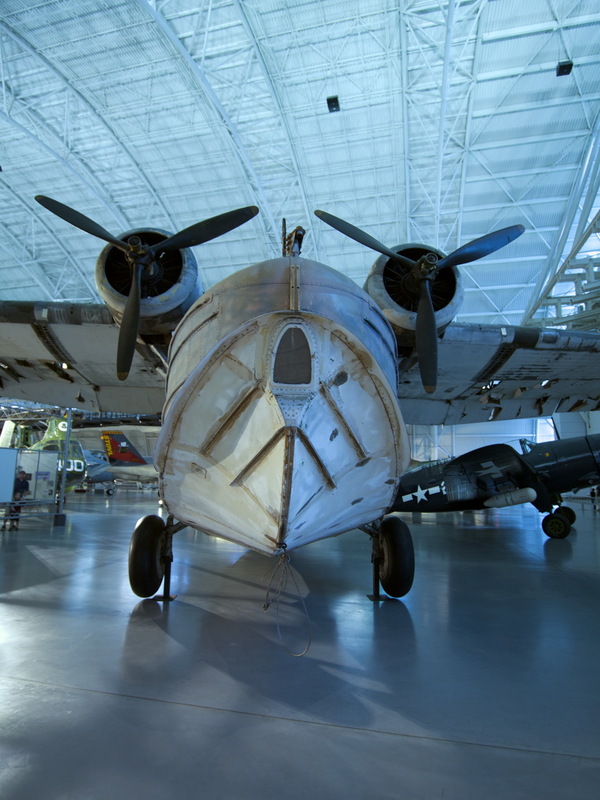 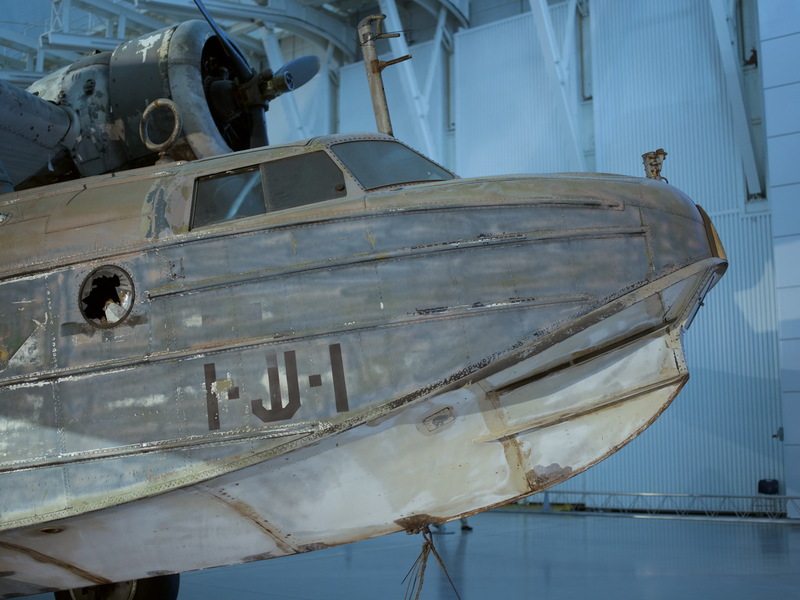 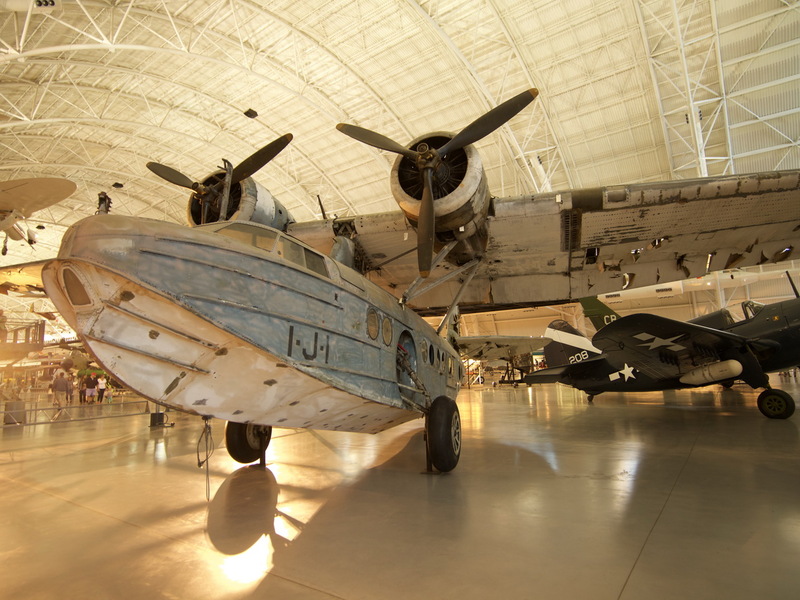 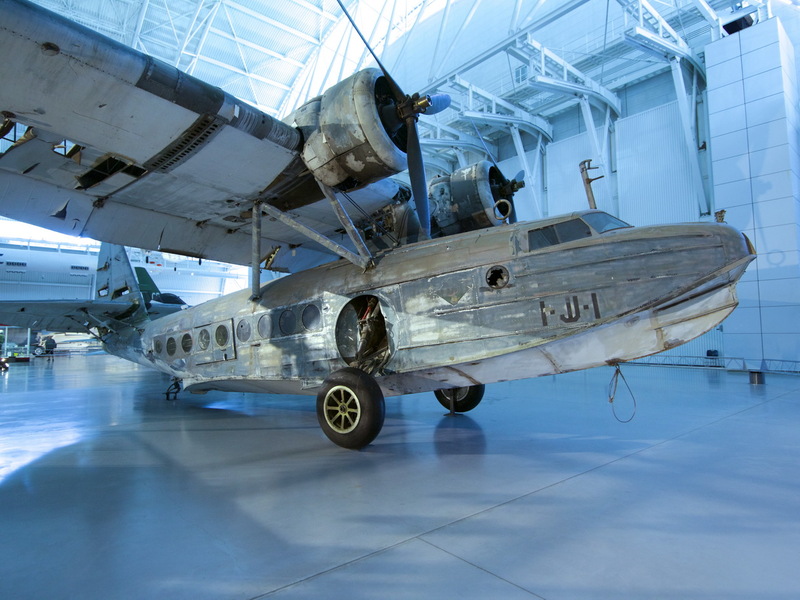 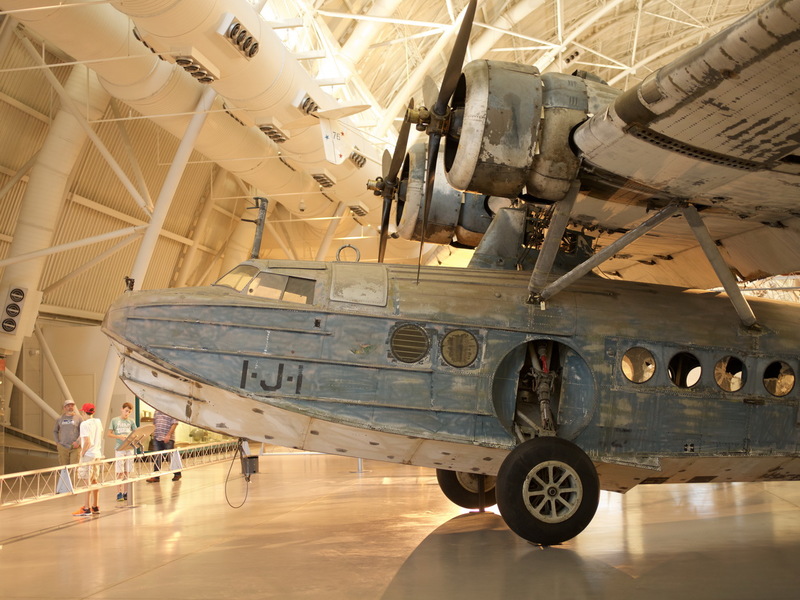 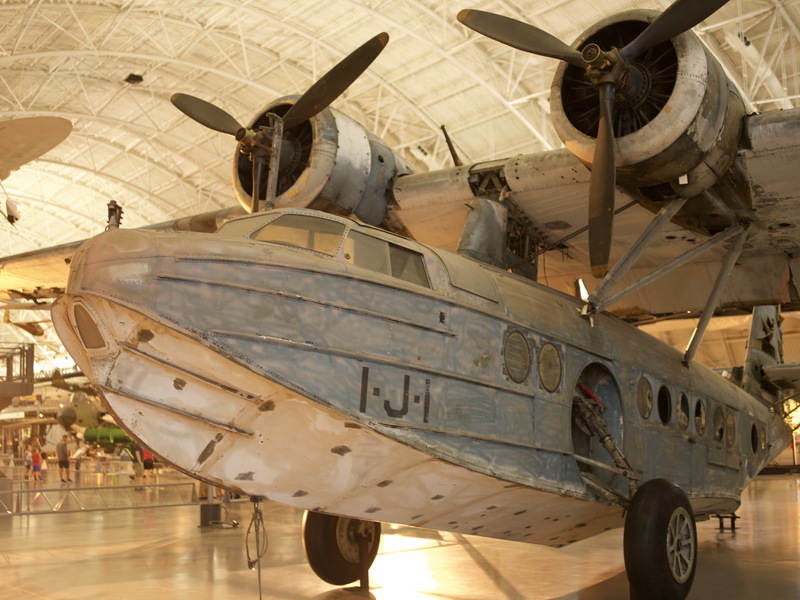 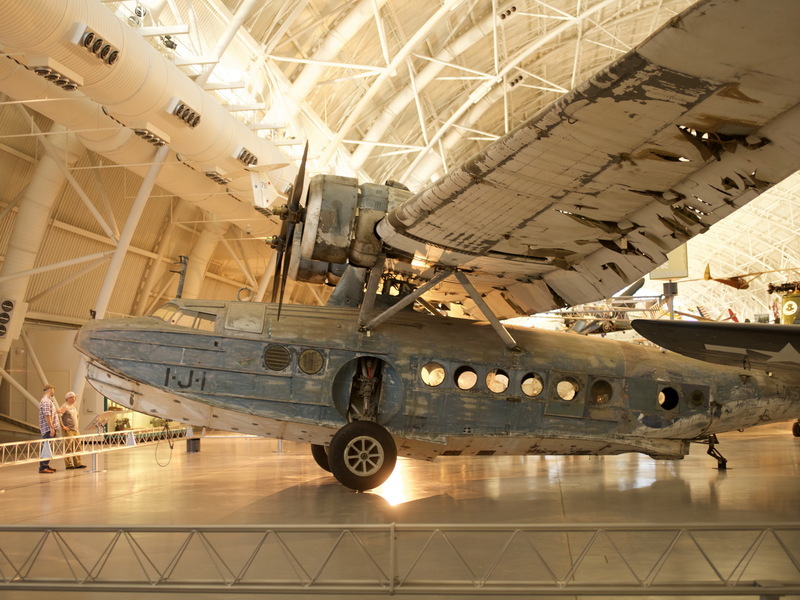 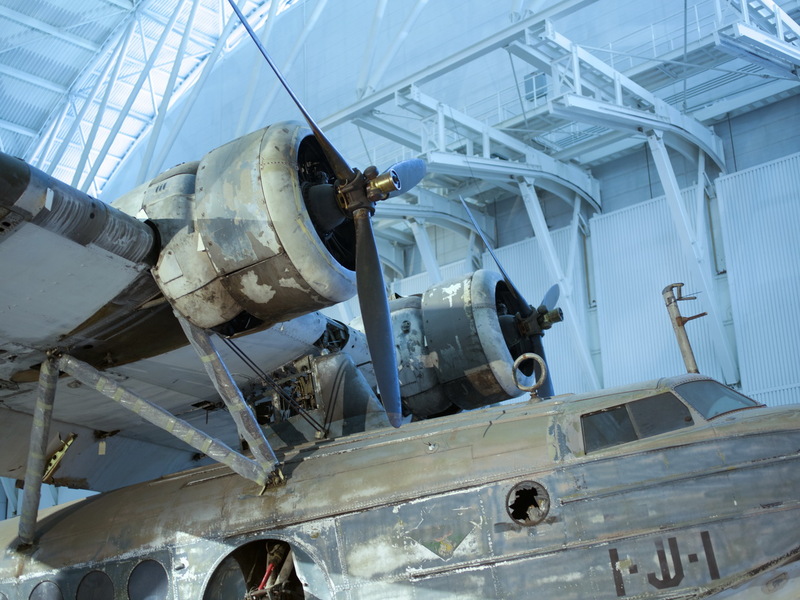 There are very few really historic flying boats around today and this is one of the very finest examples, the Sikorsky JRS-1 (the military version of the S-43 'Baby Clipper') on display at the Smithsonian Museum's Restoration facility in Washington, USA. 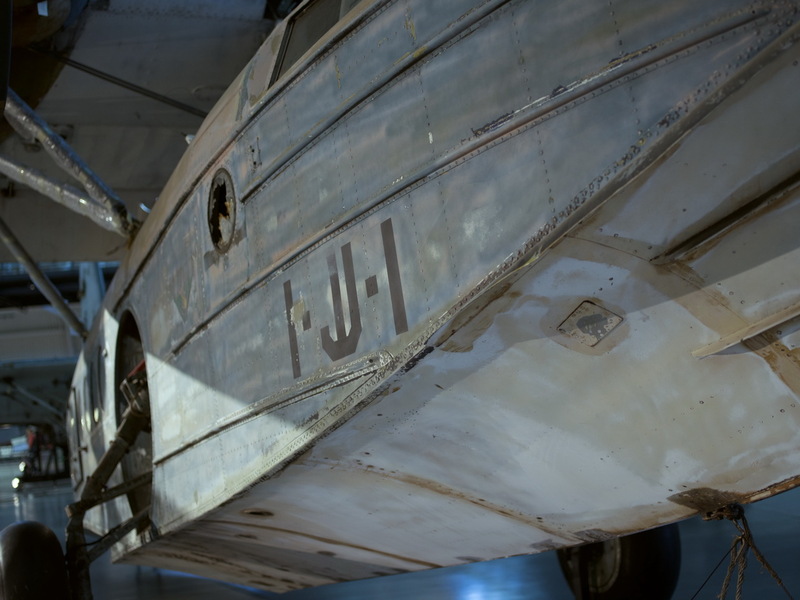 This particular 'boat was based at Pearl Harbour on 7th December 1941 and flew around the area during and after the Japanese attack that morning with a bevy of soldiers onboard in search of aircraft to shoot at! 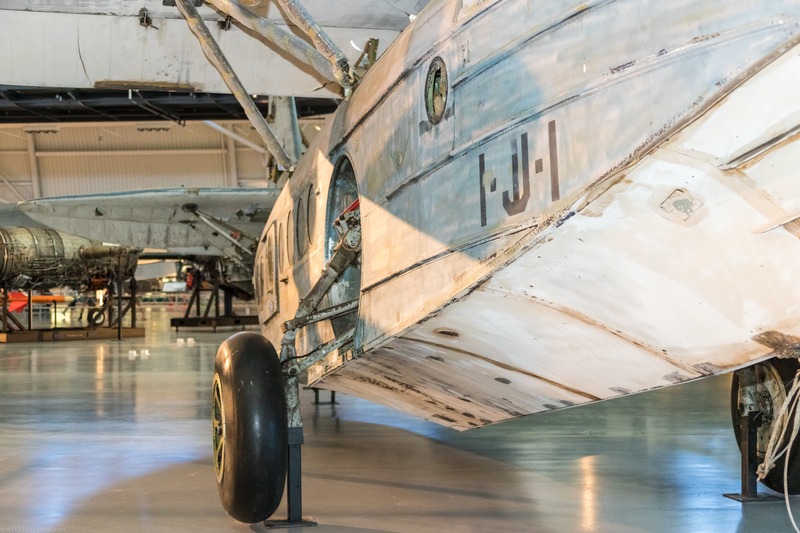 Subsequently, it was rapidly re-painted in a Navy Blue and Grey scheme, covering the bright overall silver colour scheme with colourful squadron hull and tail markings - which incidentally after being 'stored' outside in all weathers for over 40 years you can begin to make out the original outlines of them in these spectacular walk-round images - shot by long-term correspondent and supporter of SEAWINGS, Canadian-based Alex Norton recently in 2017. 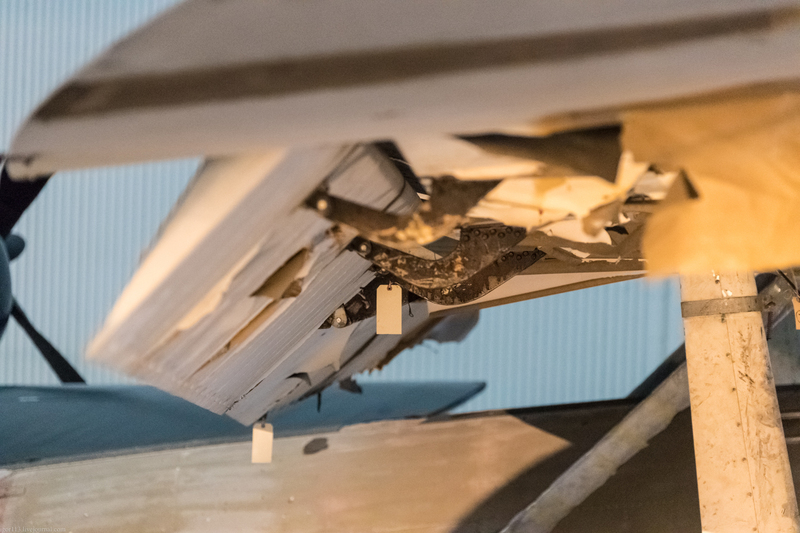 These images represent some of the finest I have ever had the pleasure to host; Alex, you have done a cracking job on these, first-class. 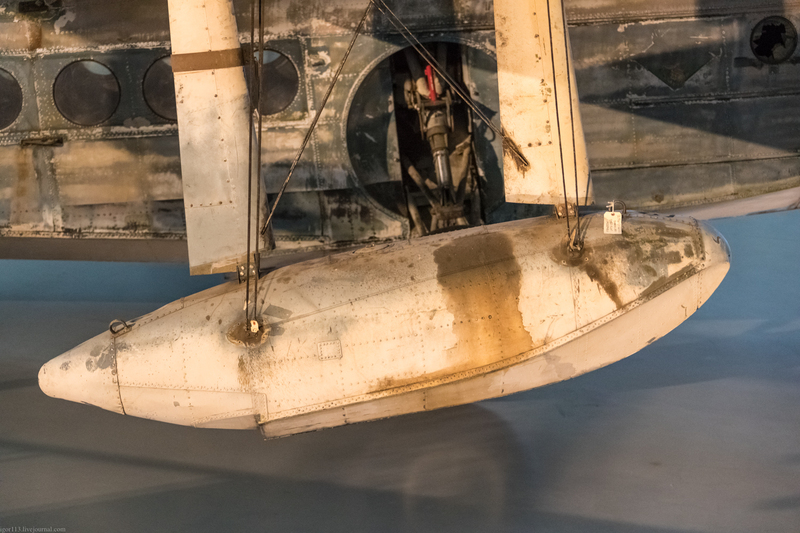 And, if that were not enough - due to the lighting conditions within the display area - Alex has very kindly provided some 'colour-adjusted' images to more represent the actual 'feel' of the 'boat when viewed directly in the display hall. 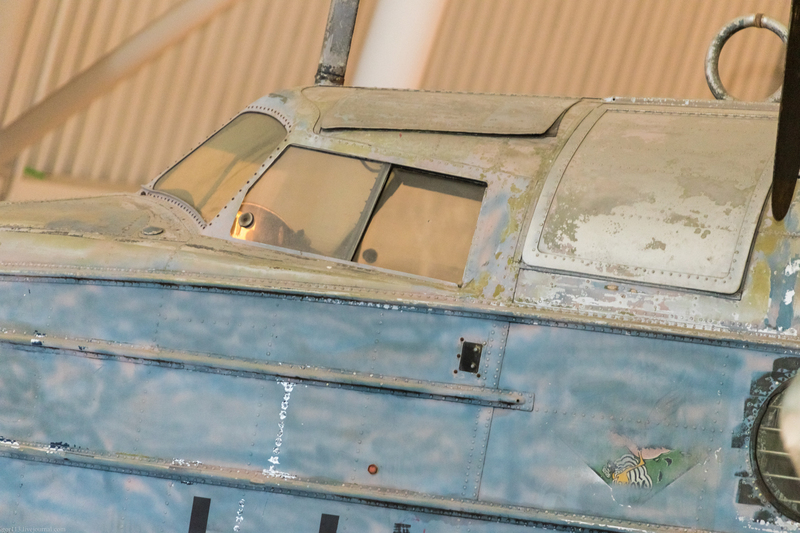 I could not make my mind up which image colour set to go with so have provided both as there are significant details of the 'boat to be seen in each image, let alone the colour, so you have 97 'blue-cast'. 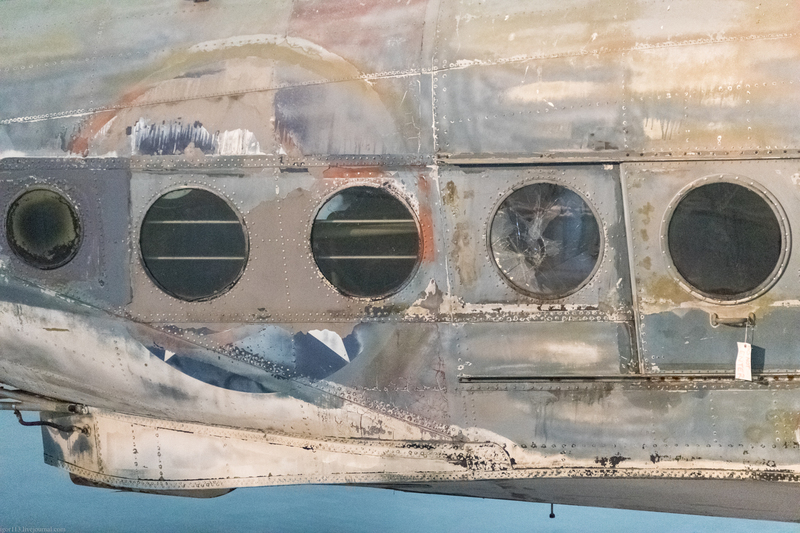 58 'colour-corrected' and 51 from the original 2014 visit, totalling a staggering 206 individual images..!. 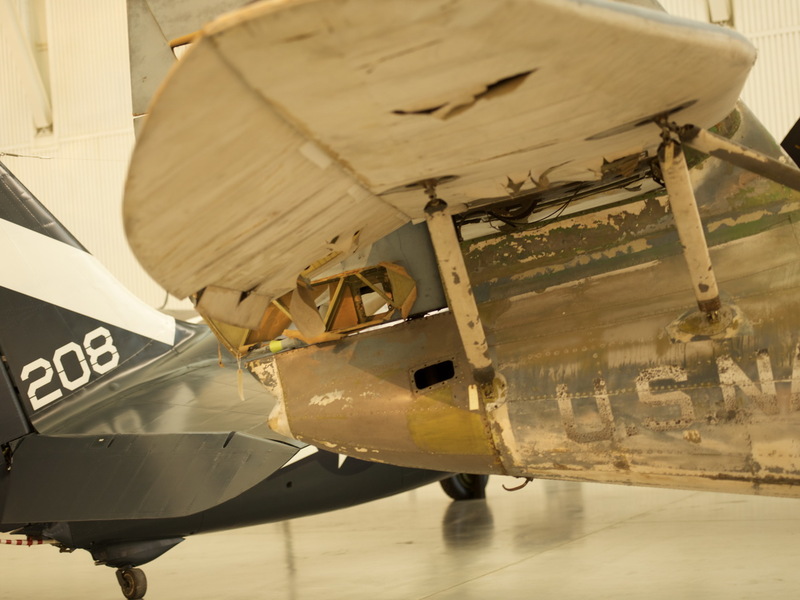 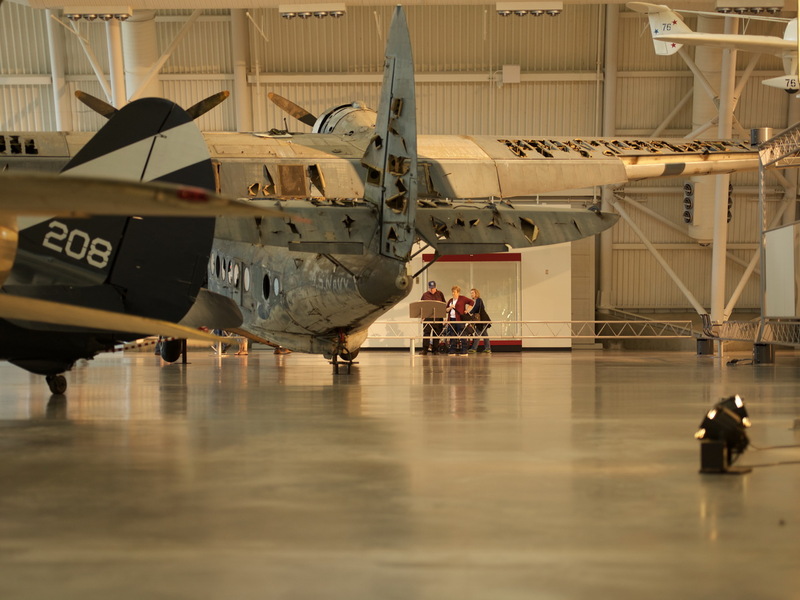 It is very pleasing to see that she is now positioned for much better visitor access to her than in Alex's original 2014 visit and represents much better value for the photographer as seen in these stunning shots. 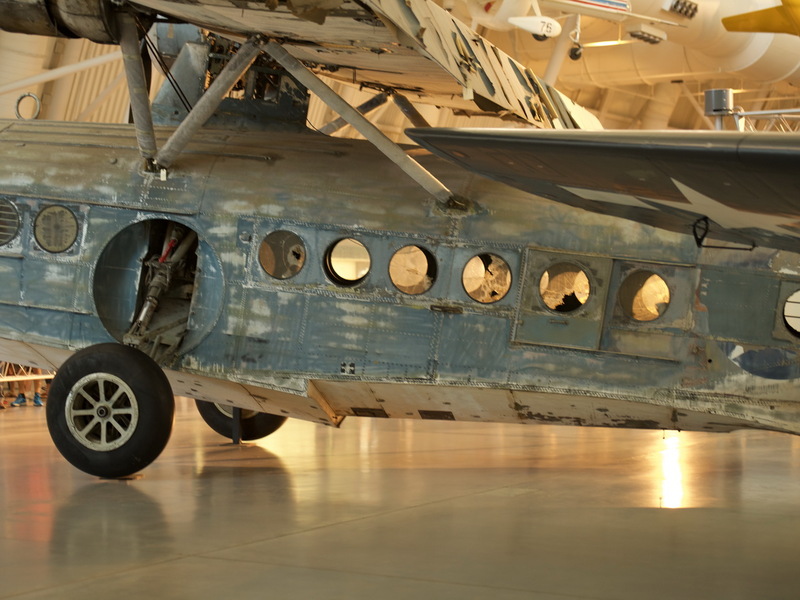 Alex, sometimes a simply 'Thank you' just does not seem enough, but it's all I have so......Thank You!. 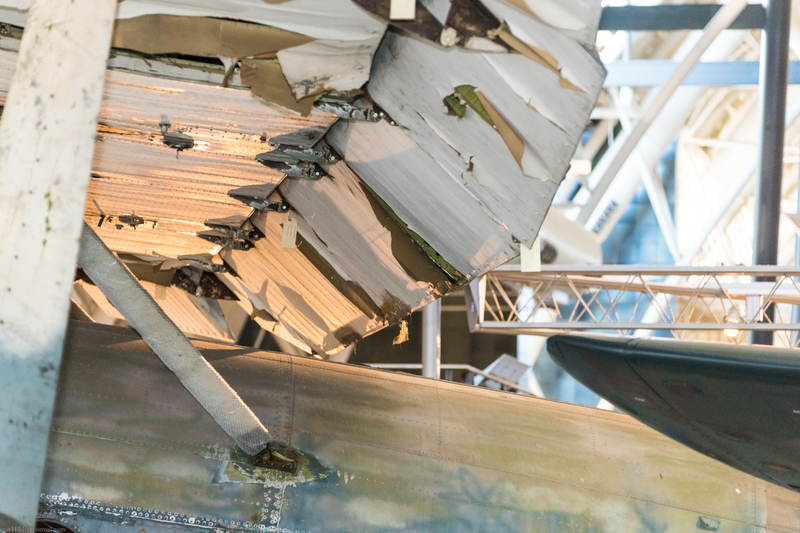 Alex has very kindly provided this set of colour-adjusted images for us to enjoy to more closely reflect the 'truer' visual appearance within the display hall. 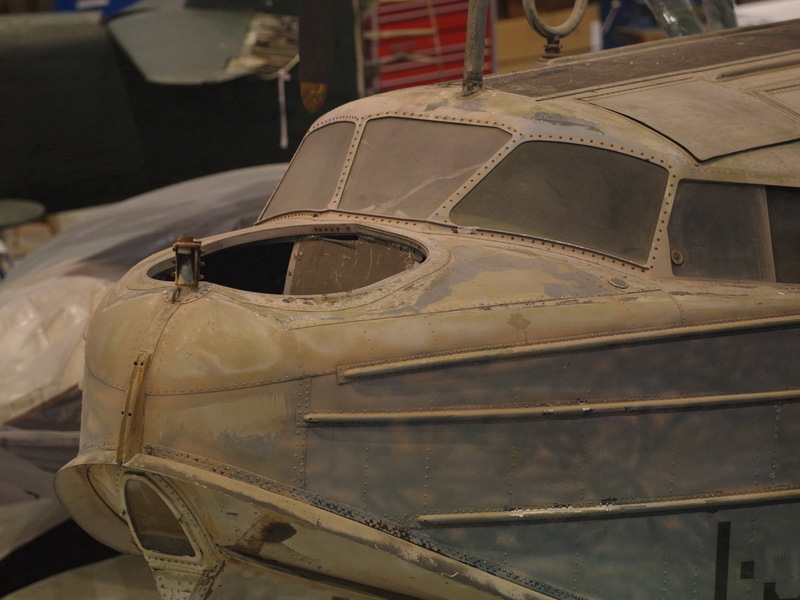 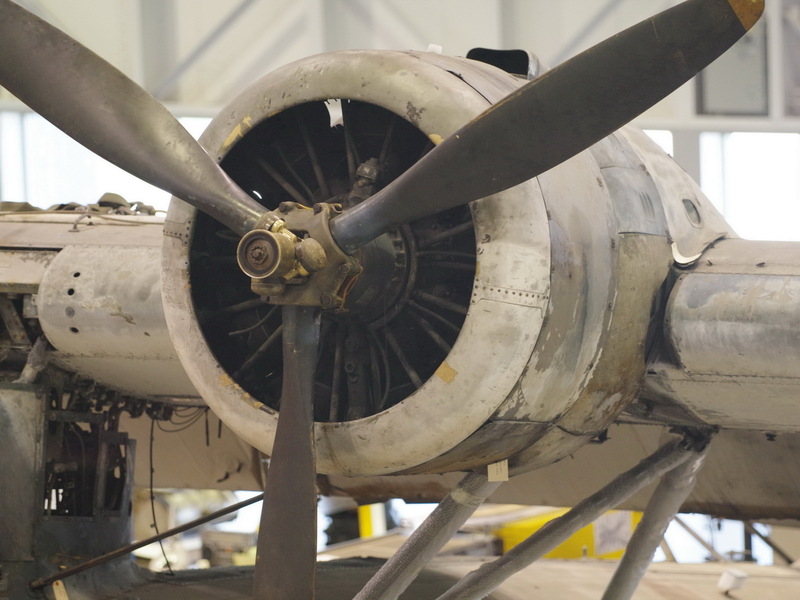 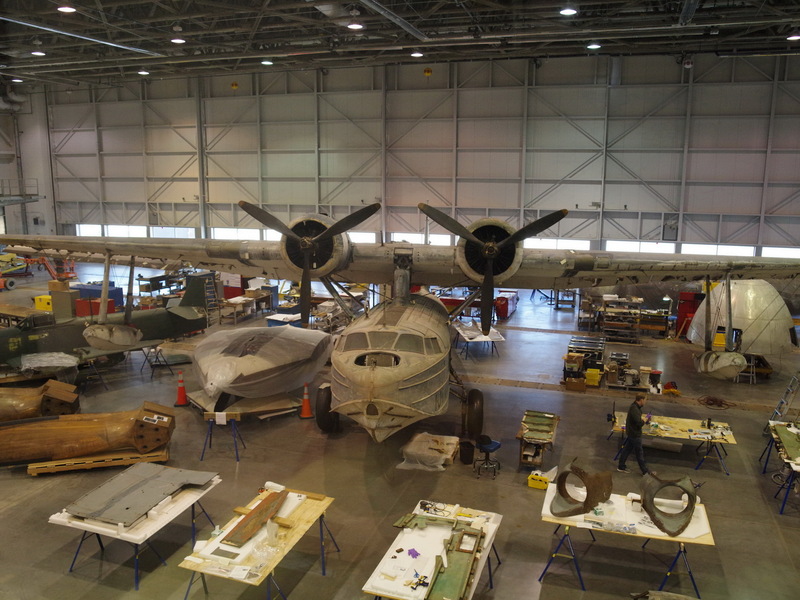 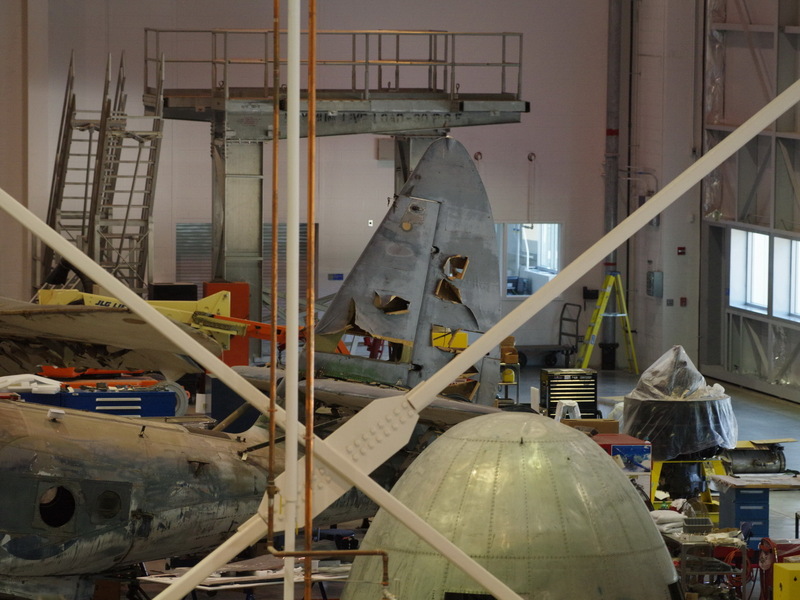 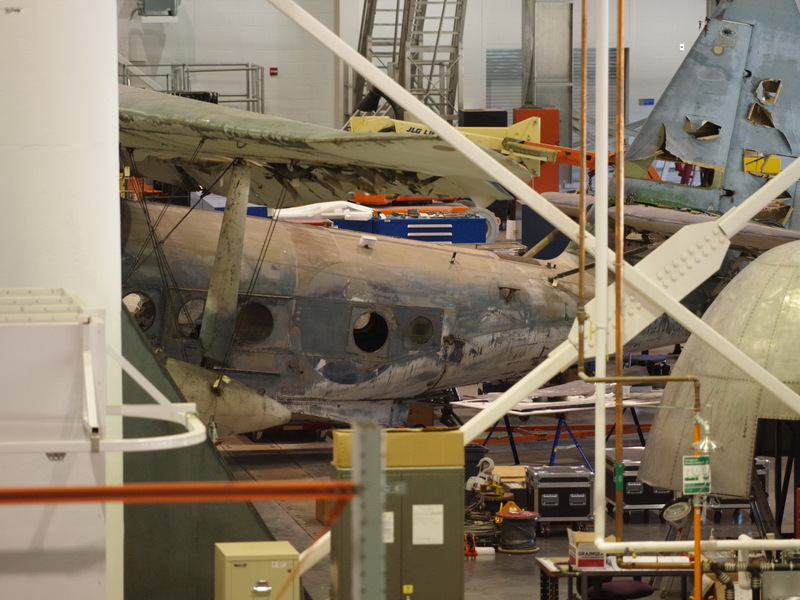 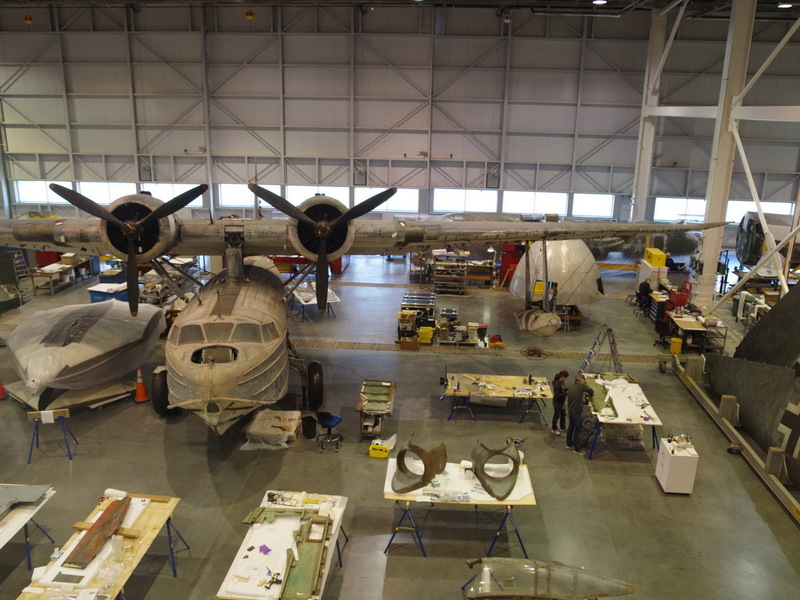 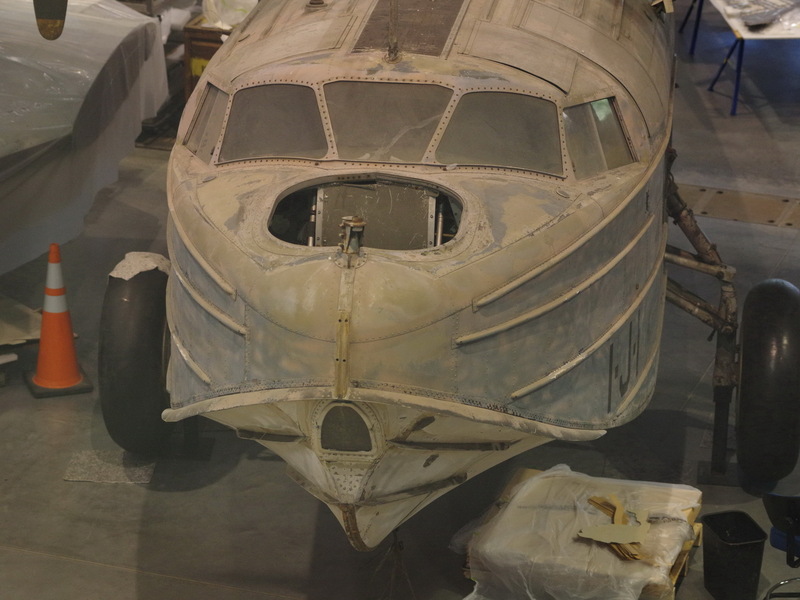 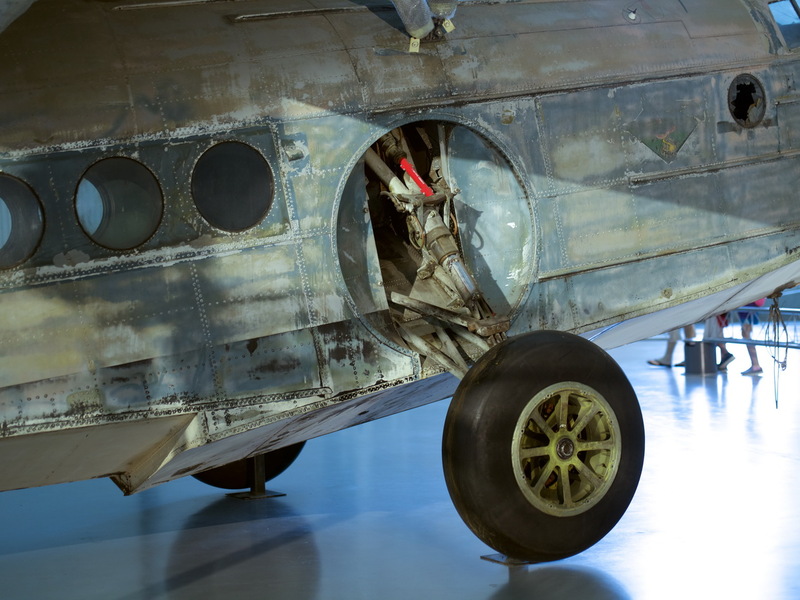 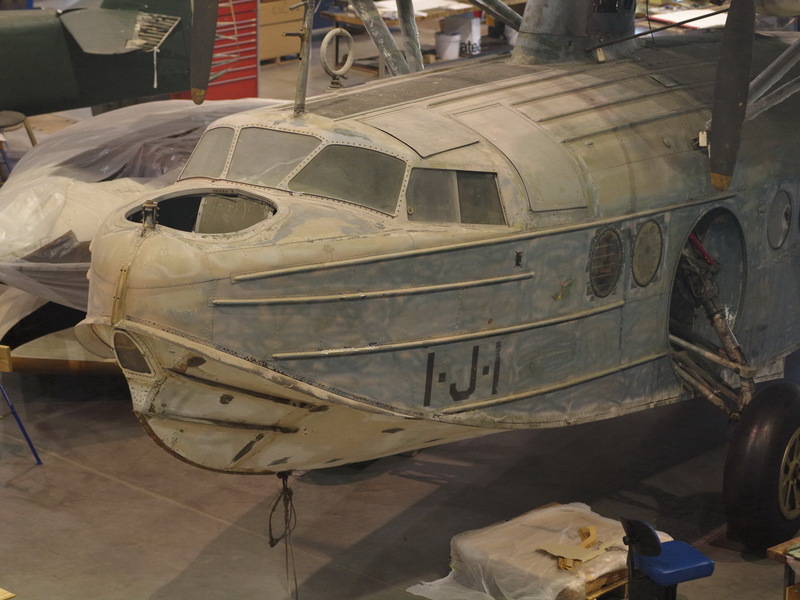 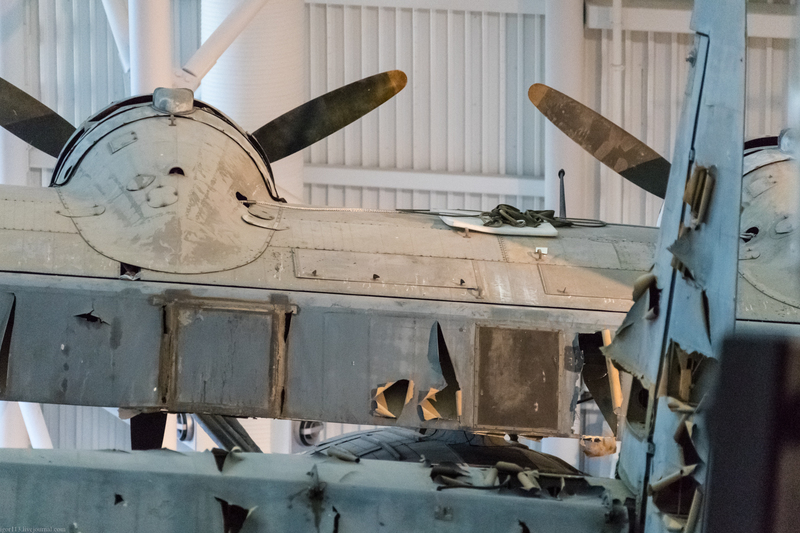 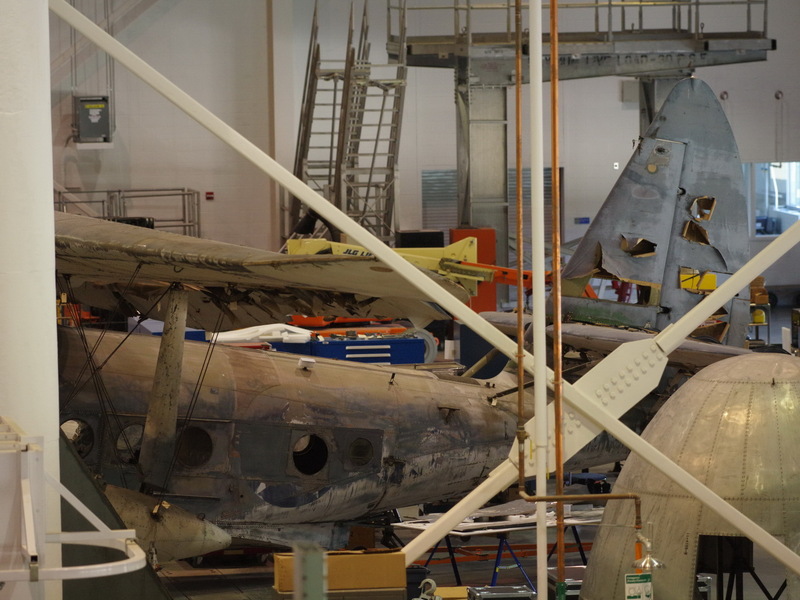 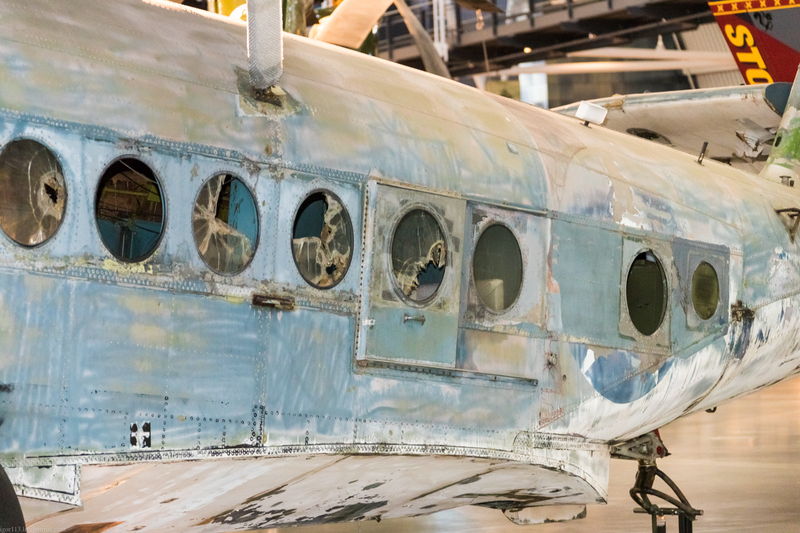 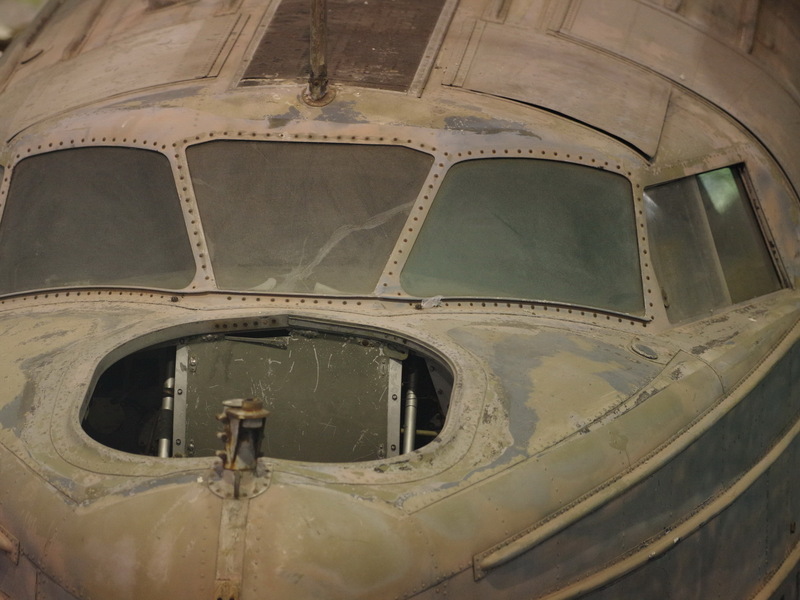 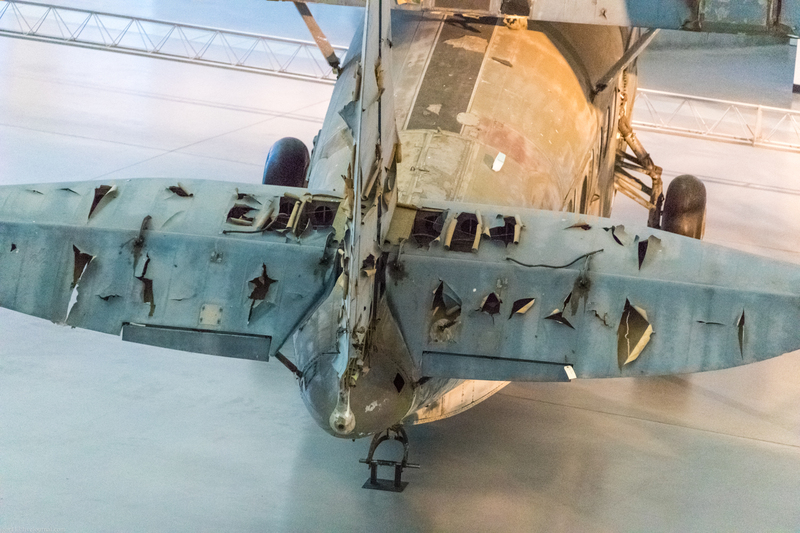 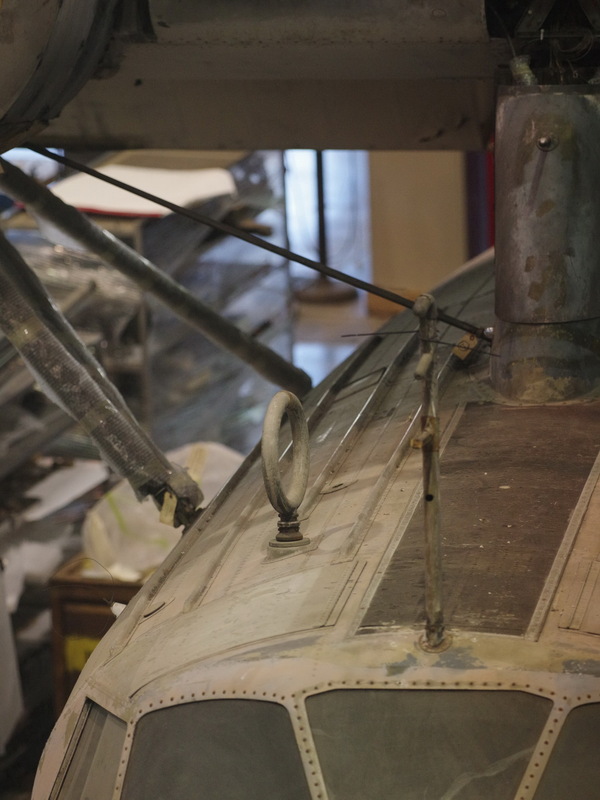 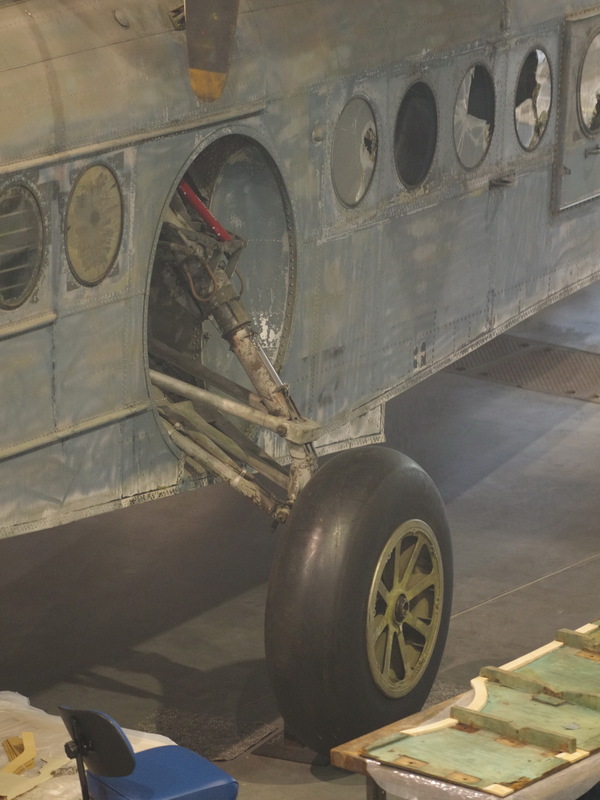 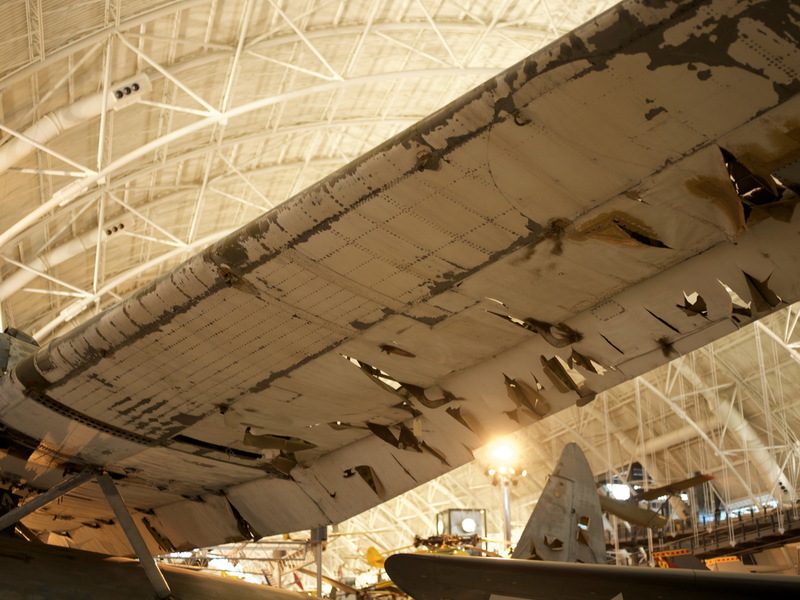 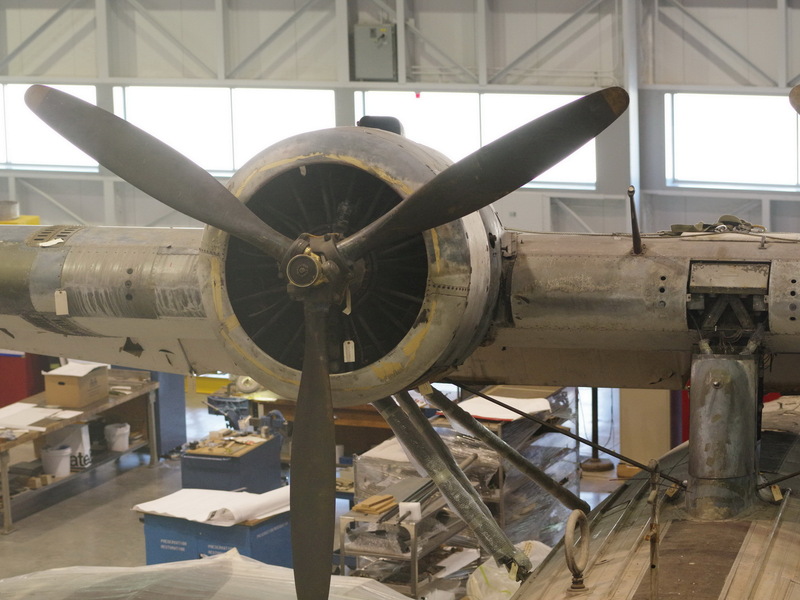 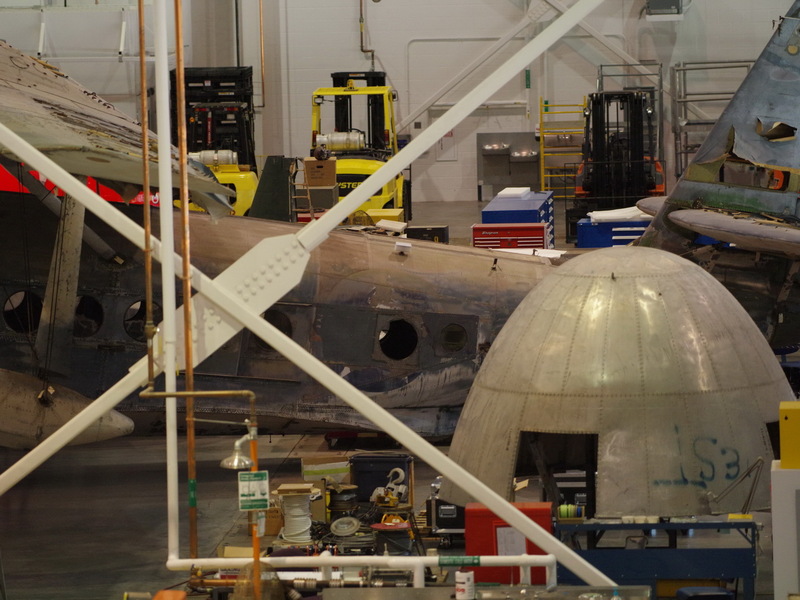 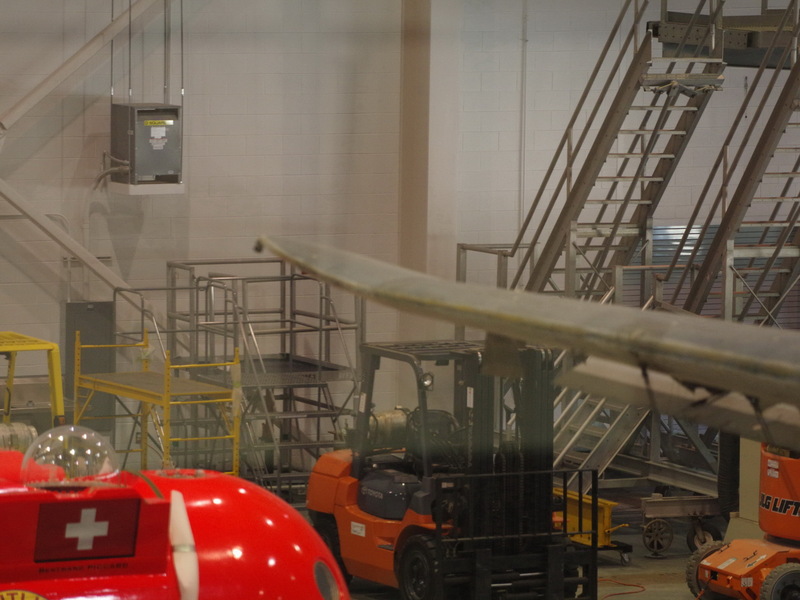 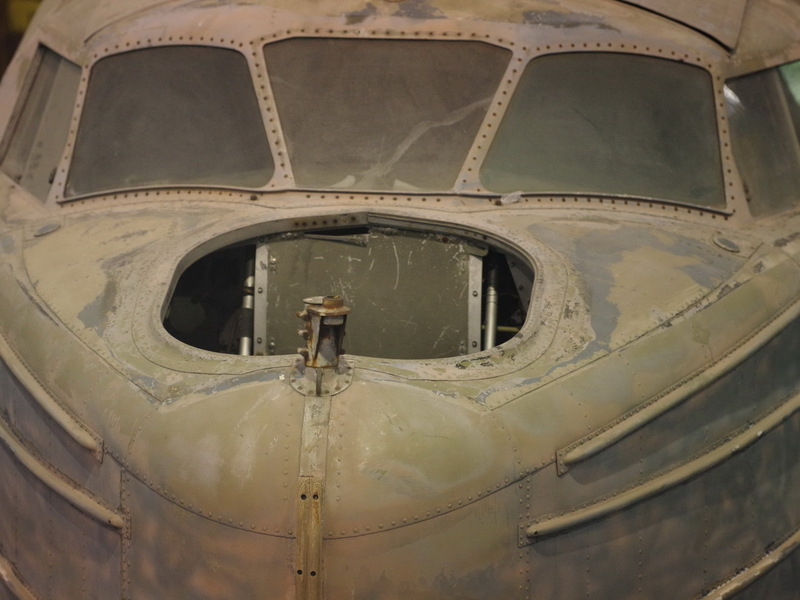 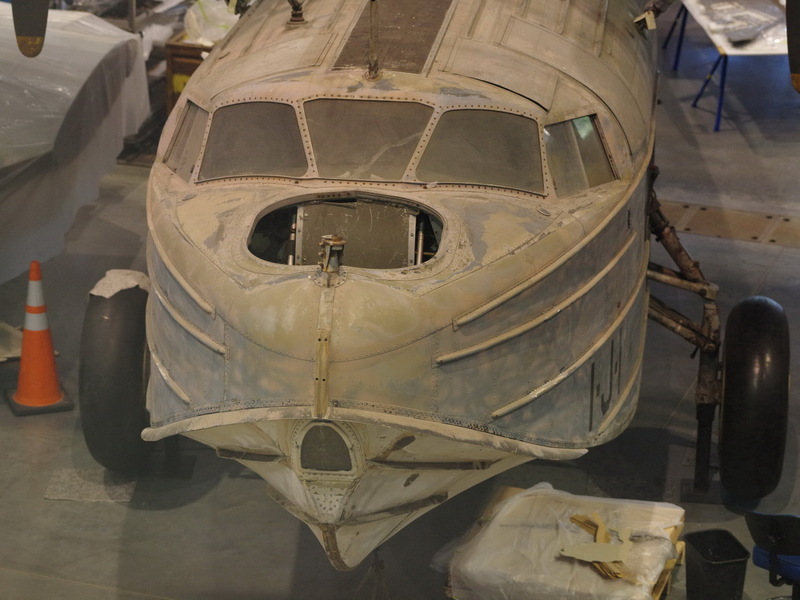 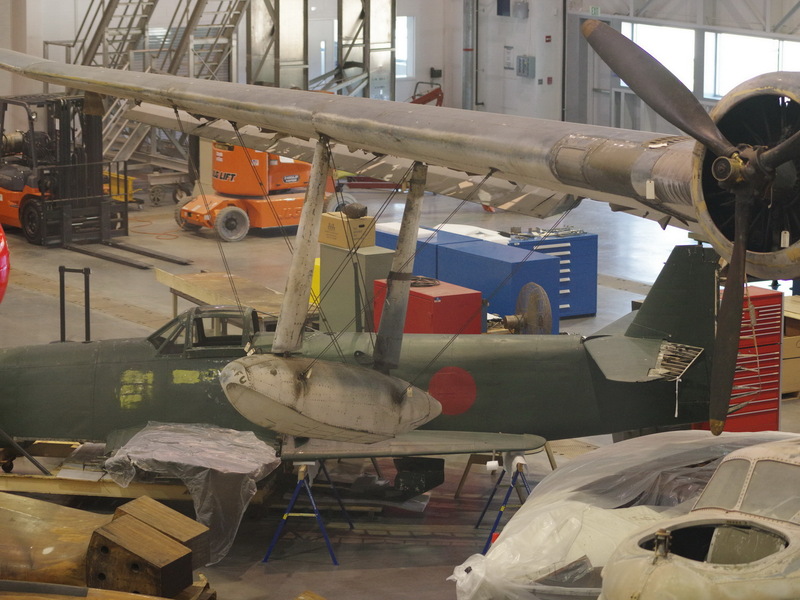 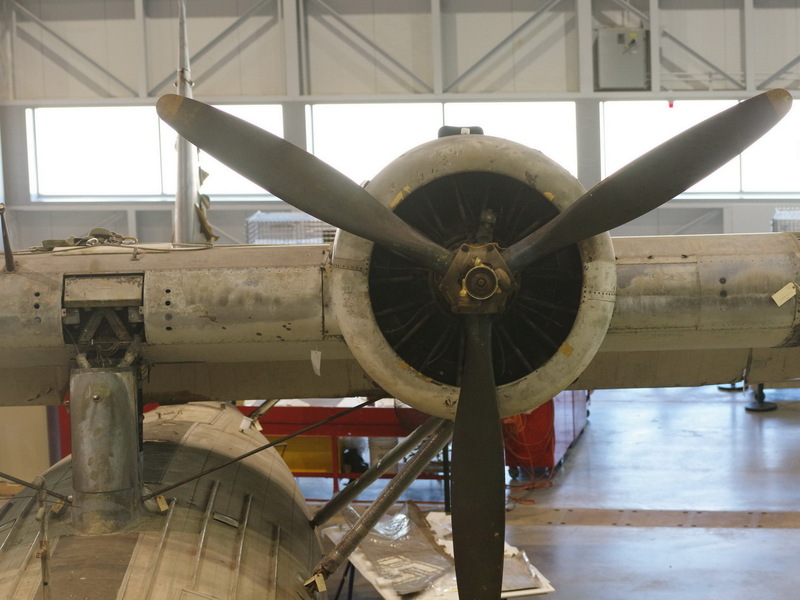 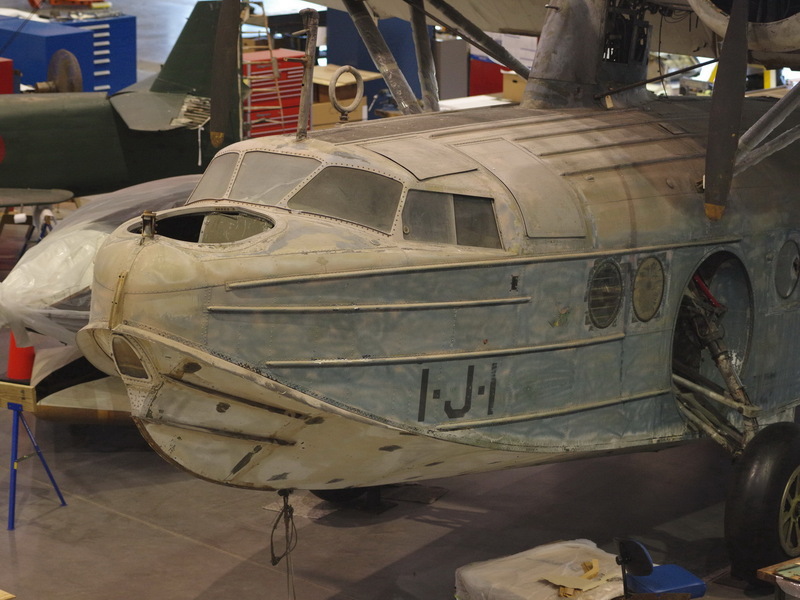 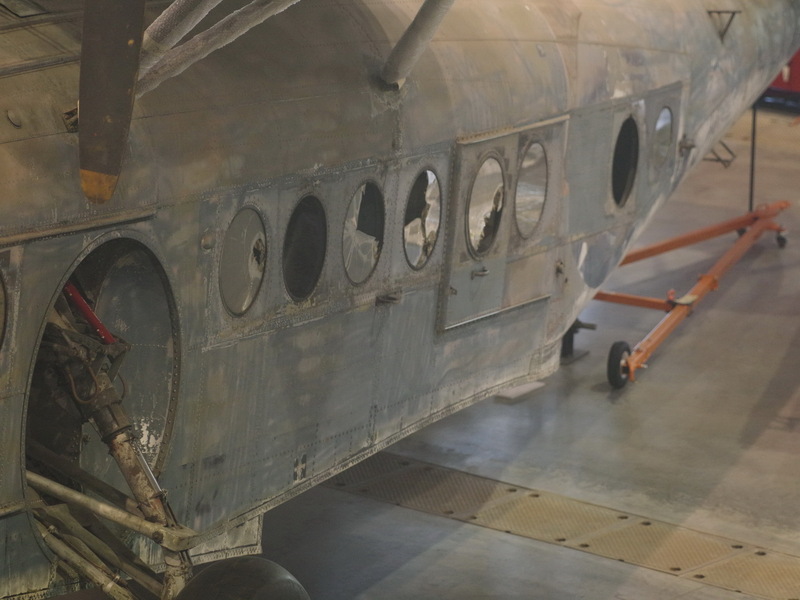 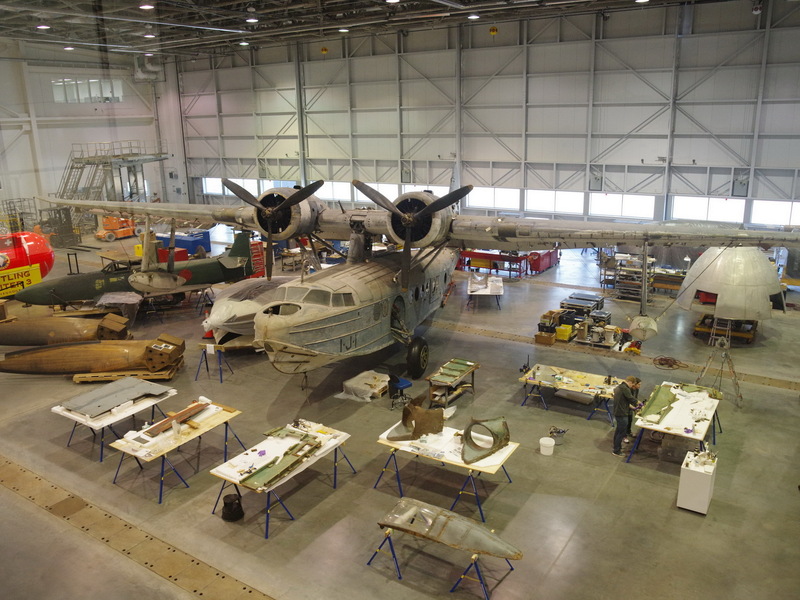 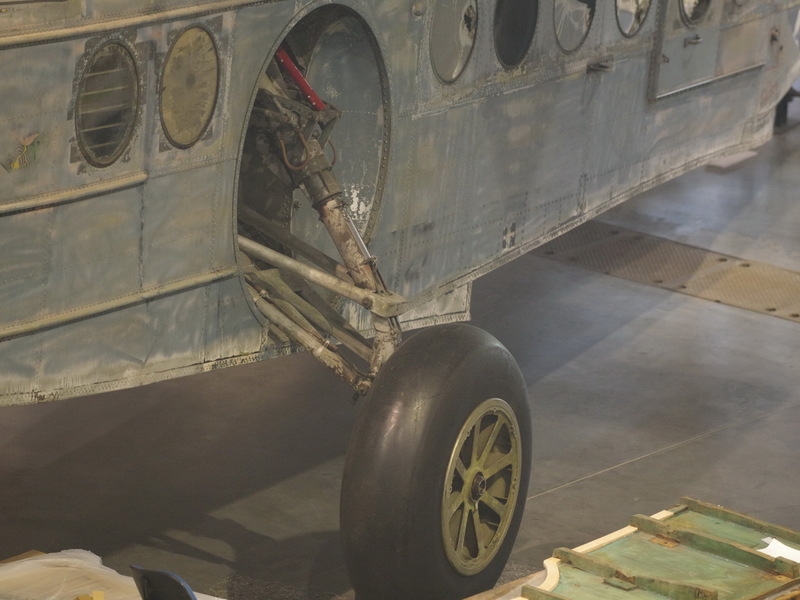 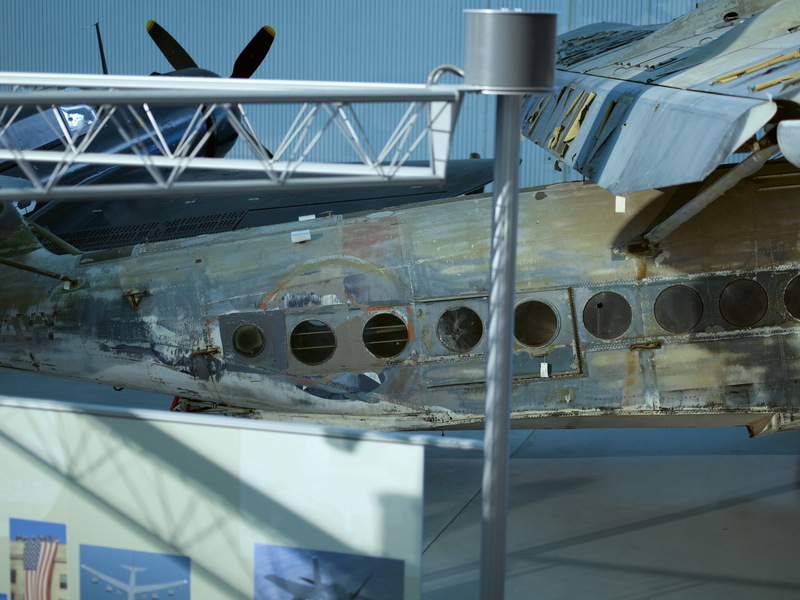 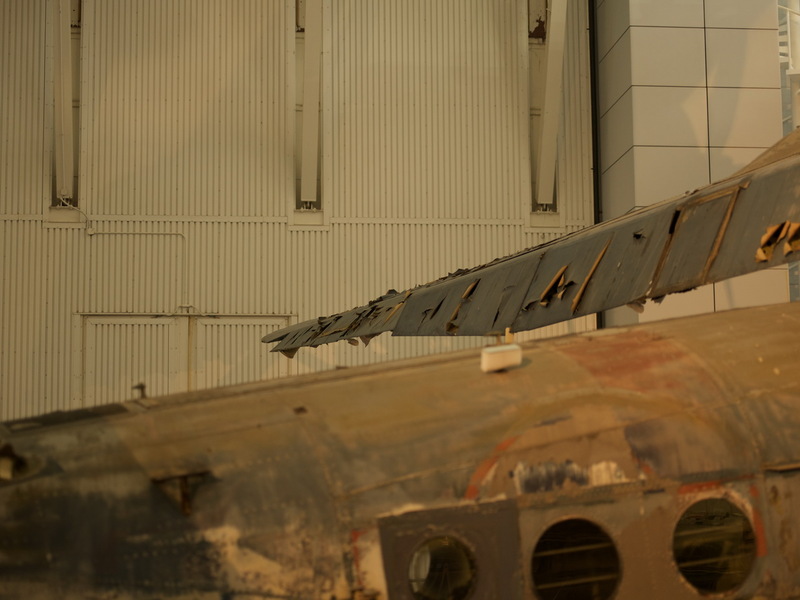 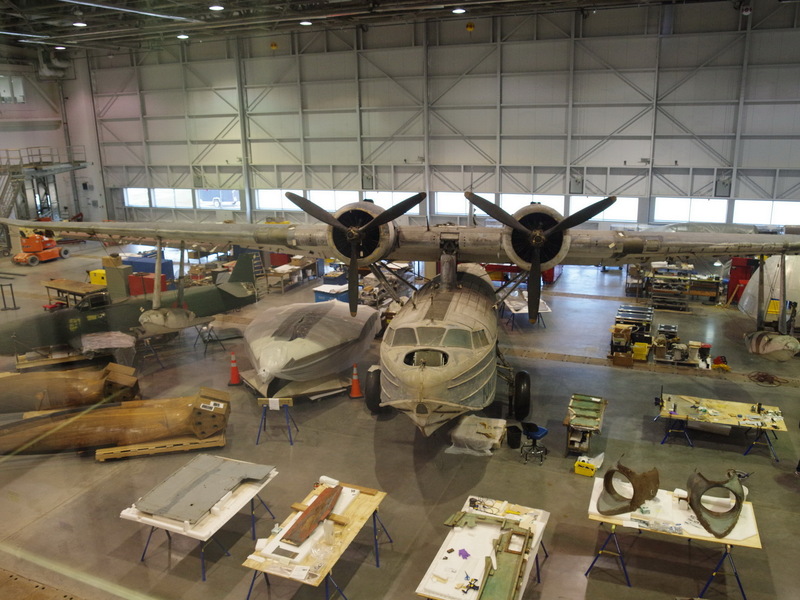 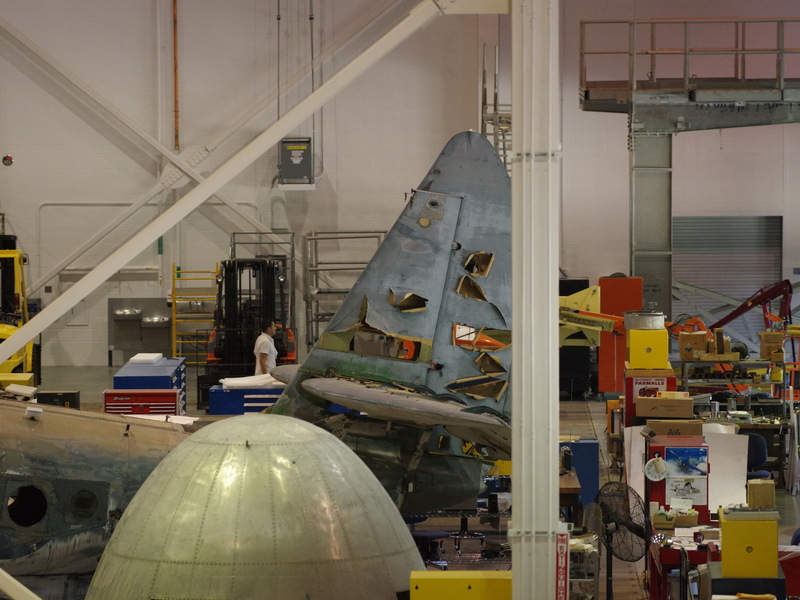 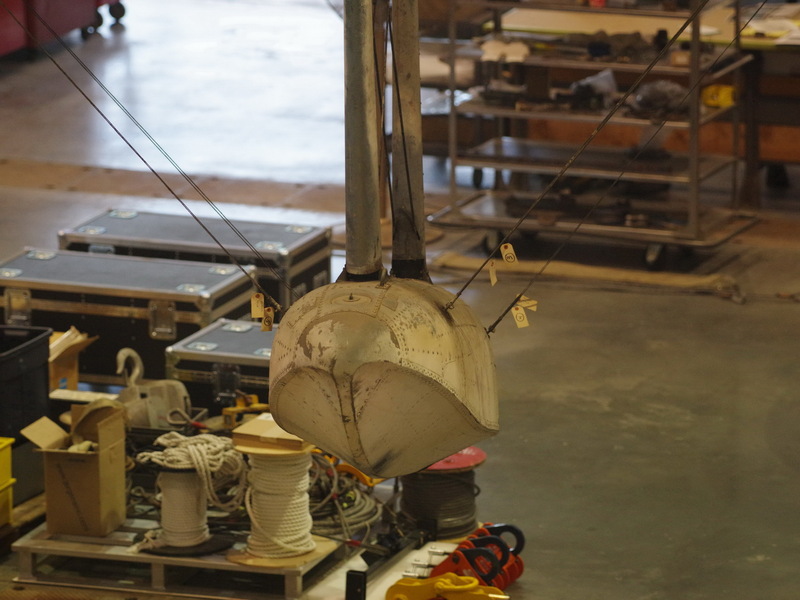 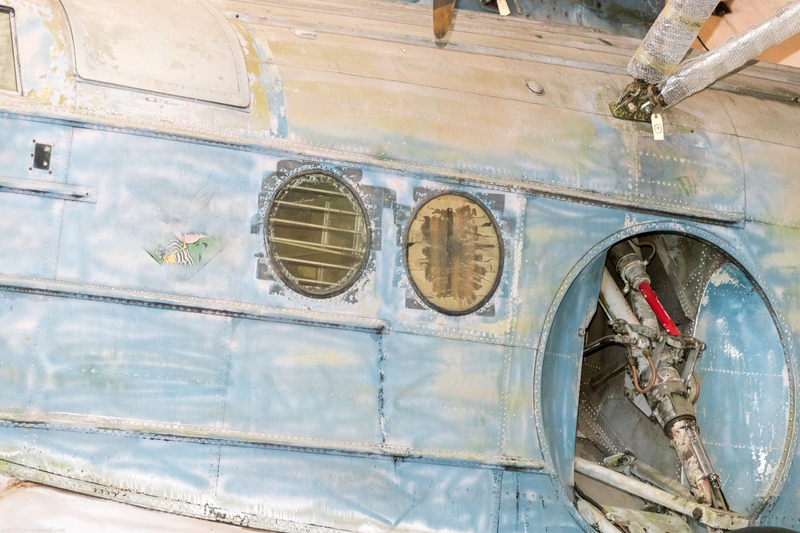 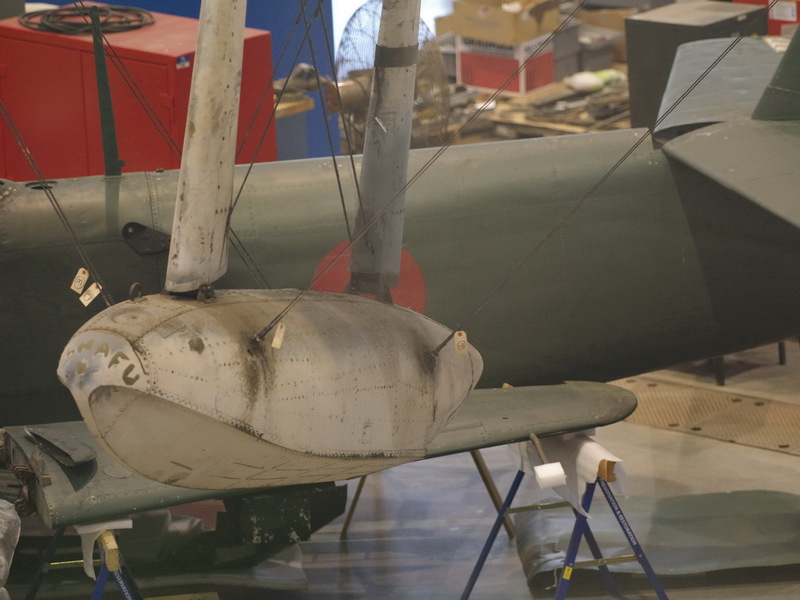 In September 2014, Alex paid his first visit to the Smithsonian Museum's Restoration facility in Washington, USA and captured this superb JRS-1 being worked on to restore it to museum display standard. 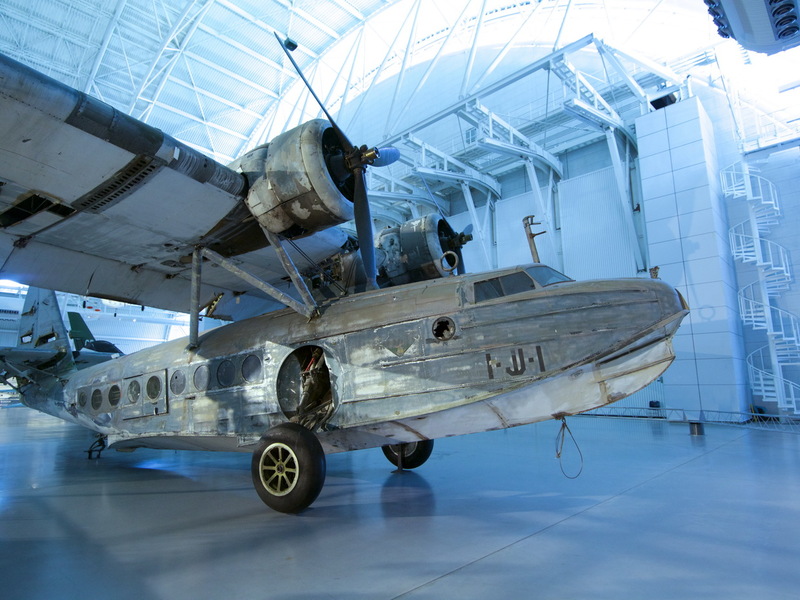 What a beauty she is..! 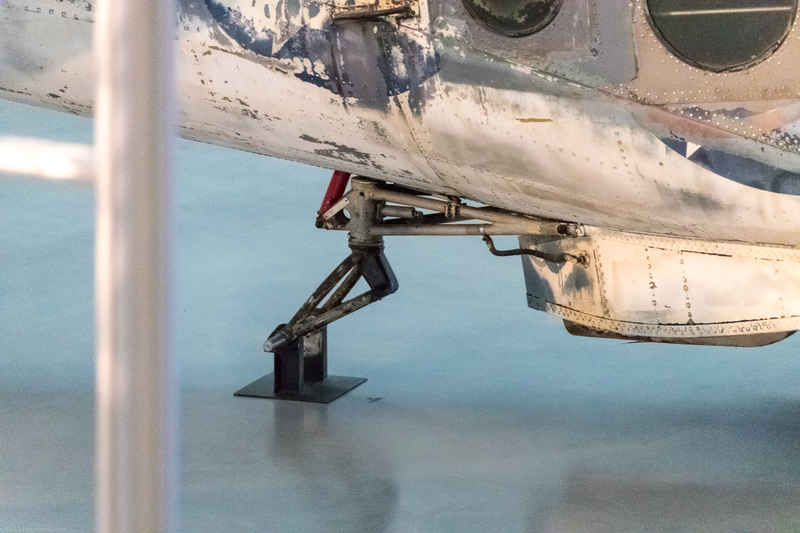 Alex shot these images through glass (!) 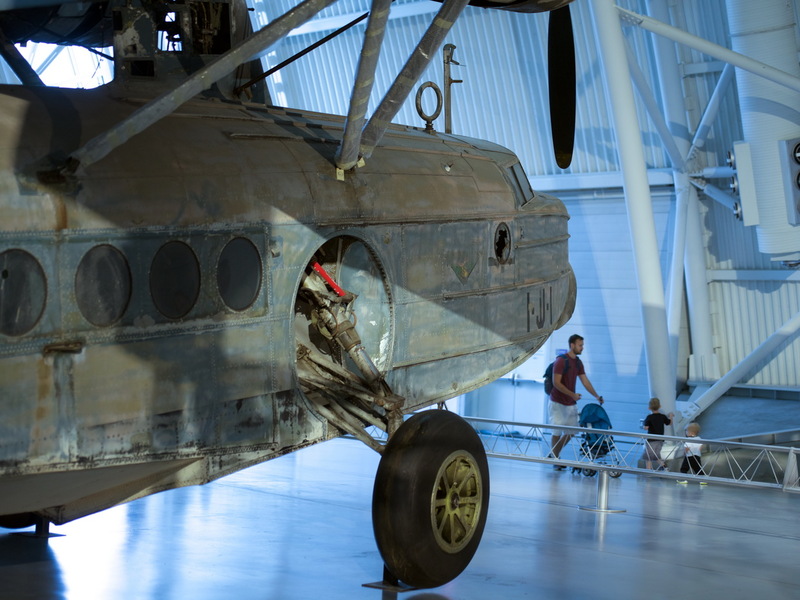 from the observation deck overlooking the whole floor and what a cracking job he did in capturing all these details from just one vantage point. 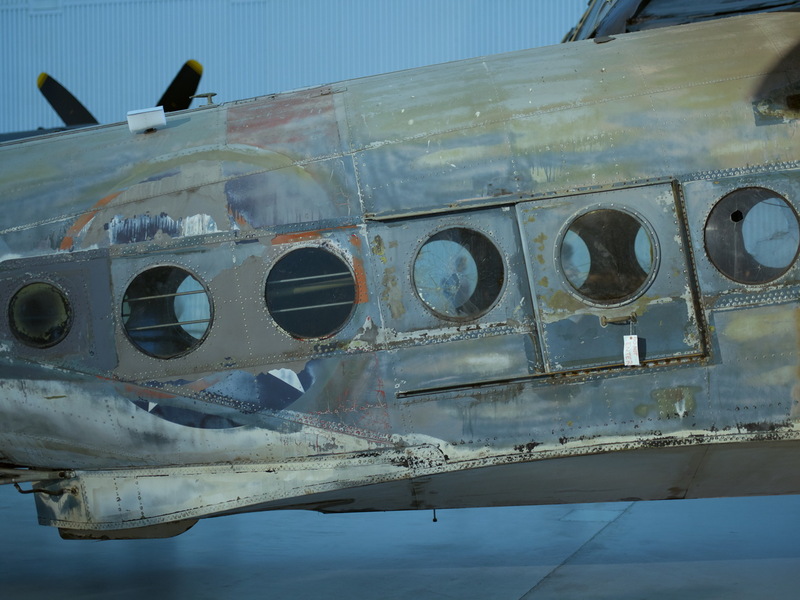 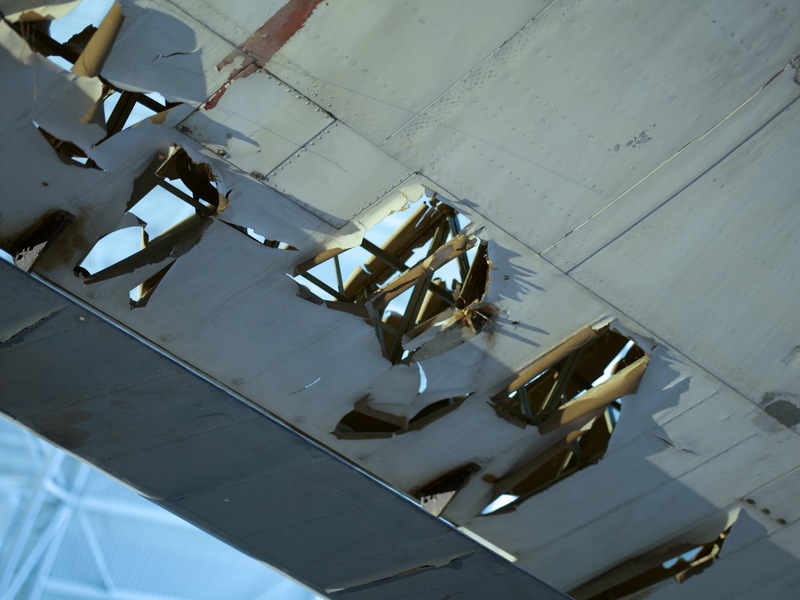 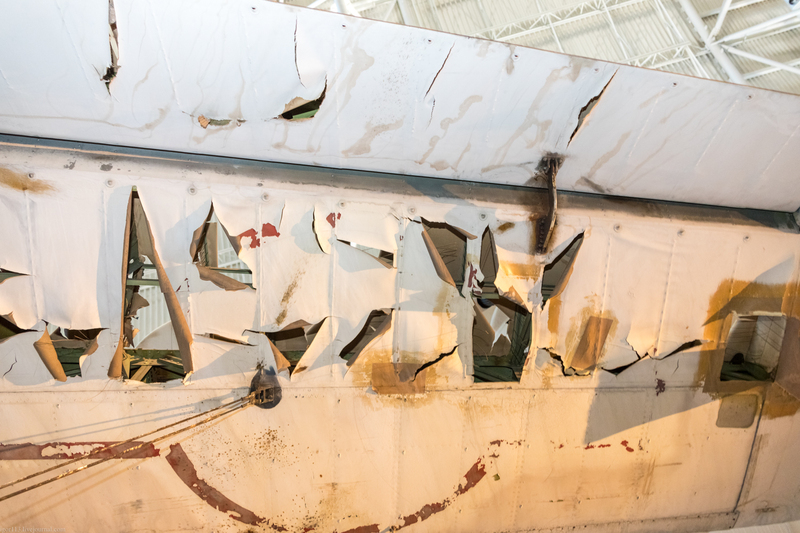 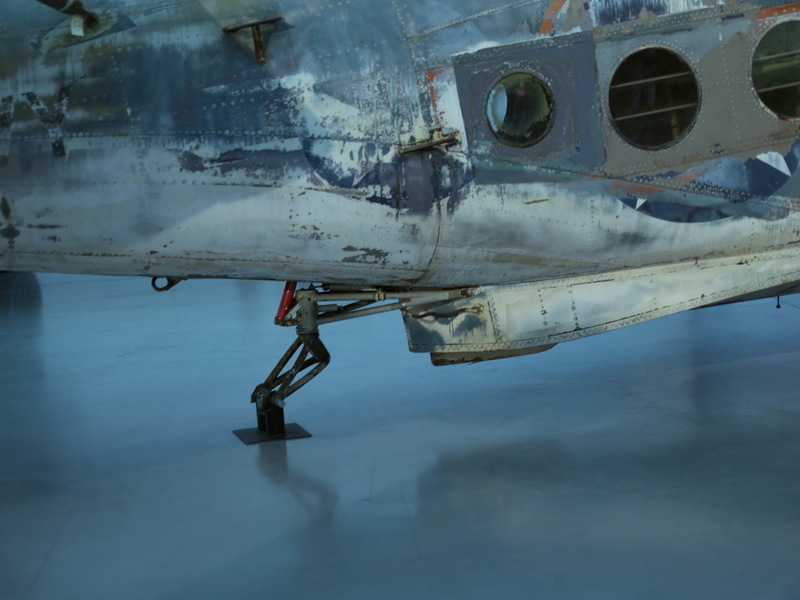 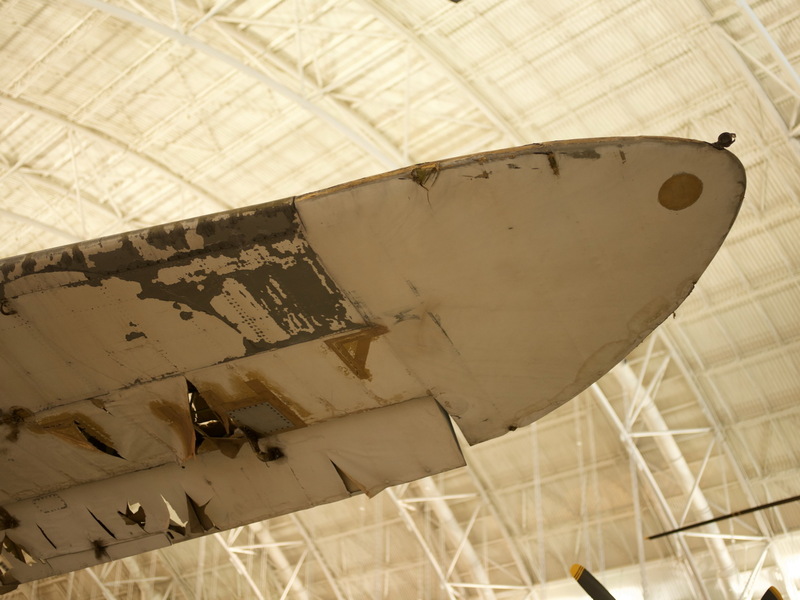 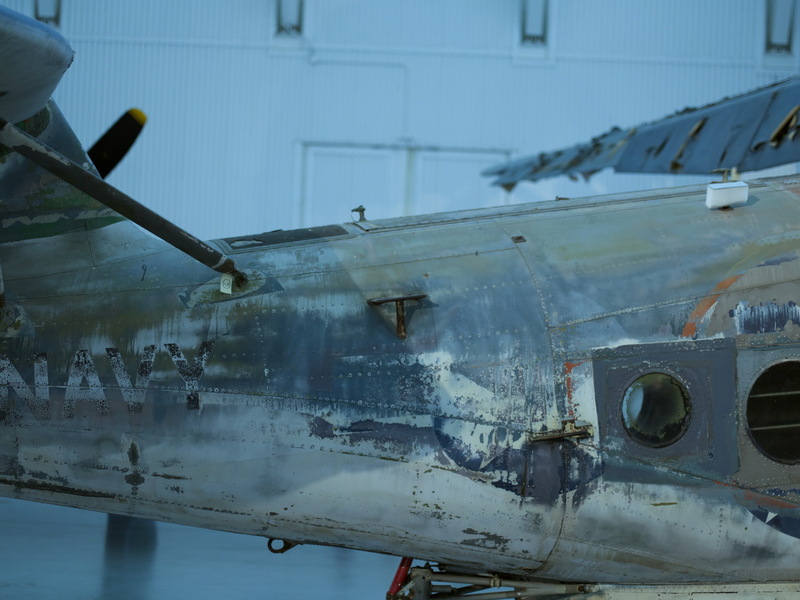 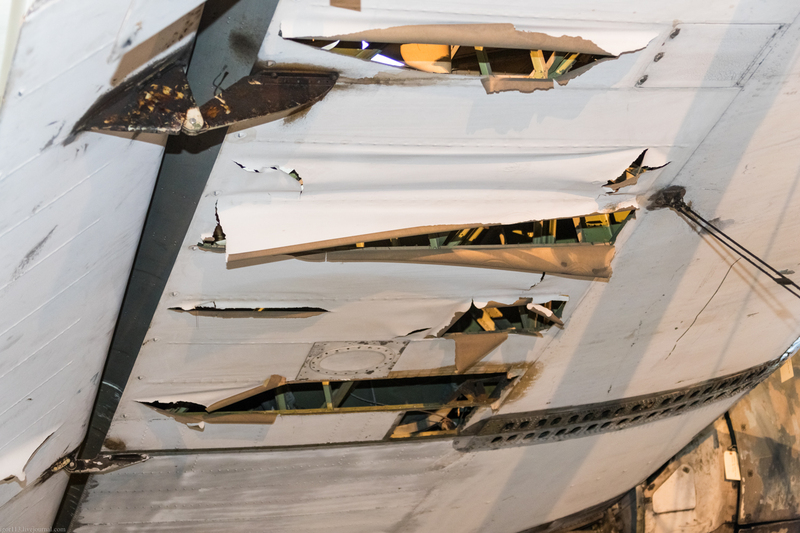 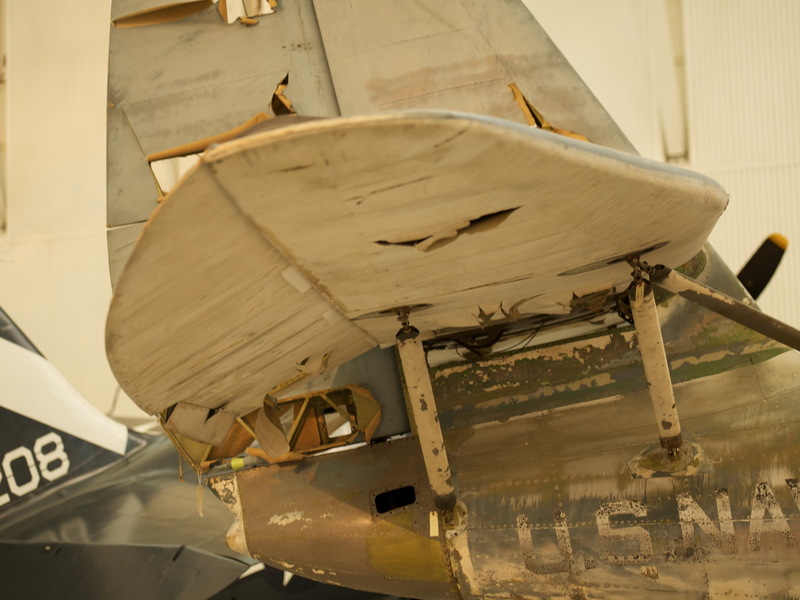 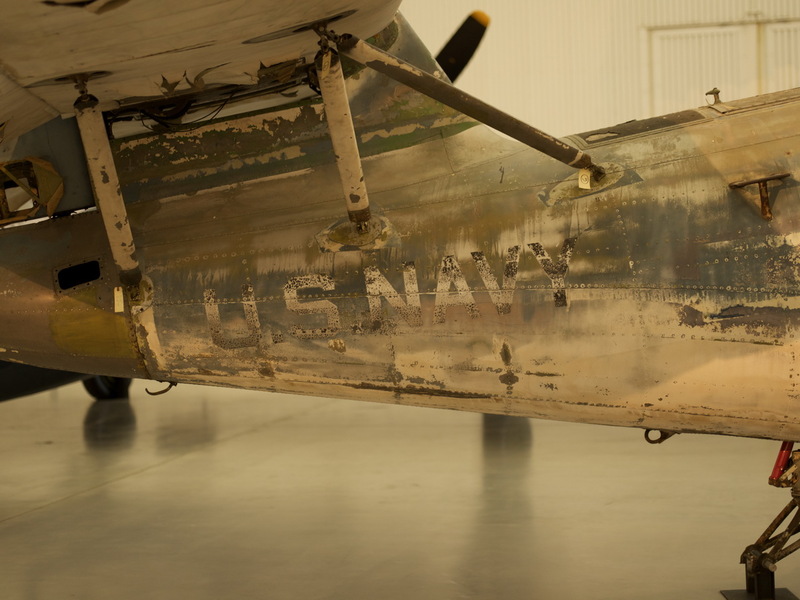 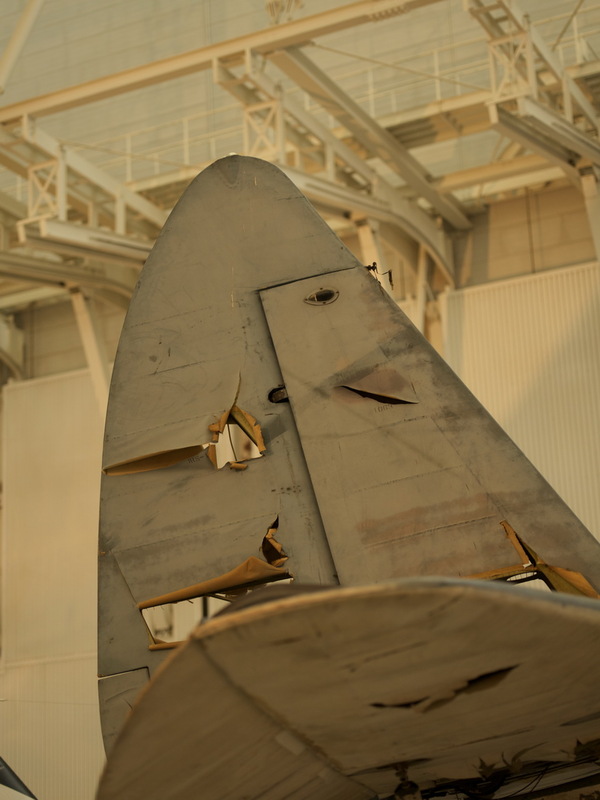 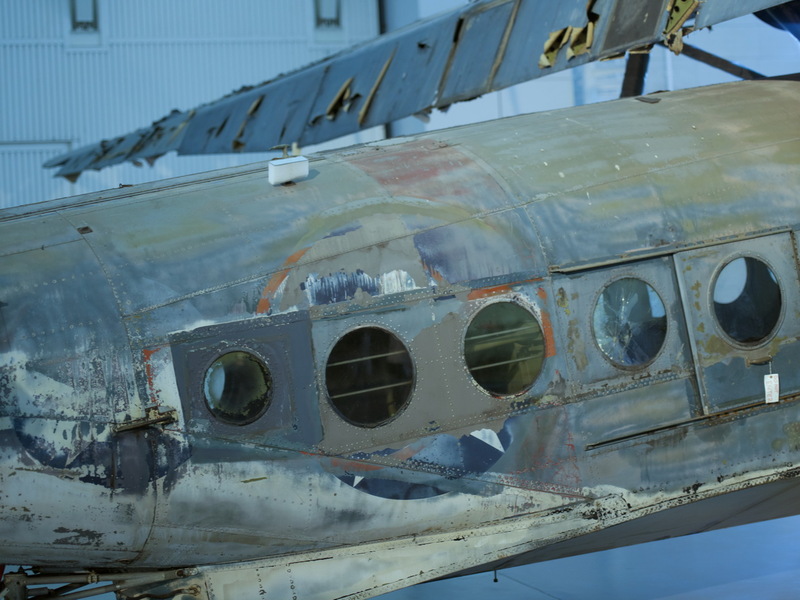 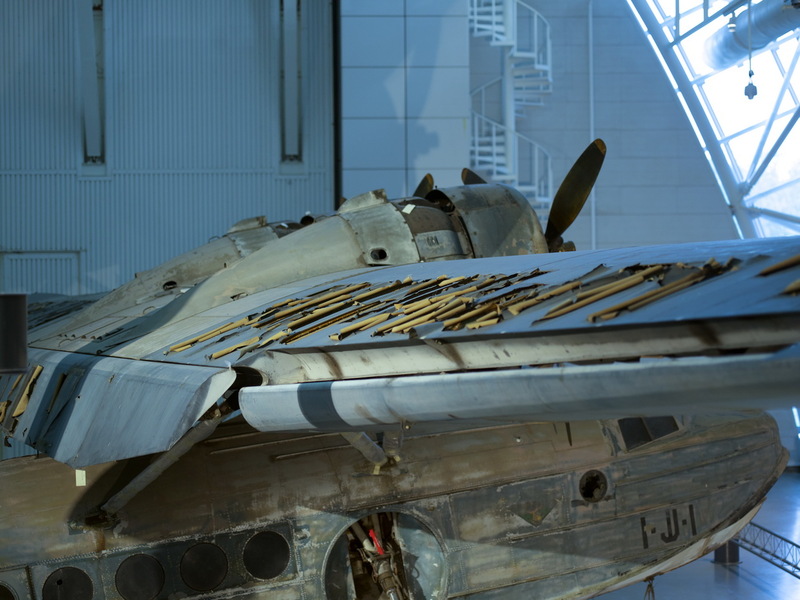 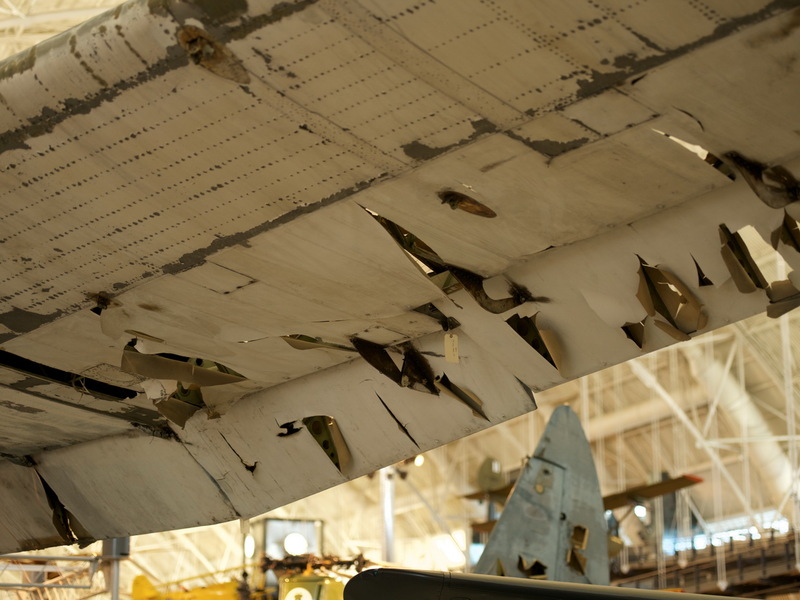 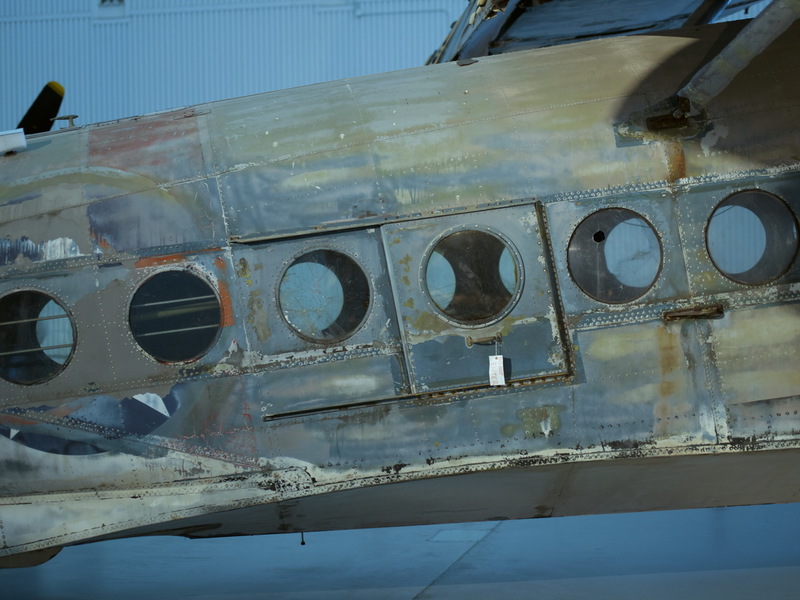 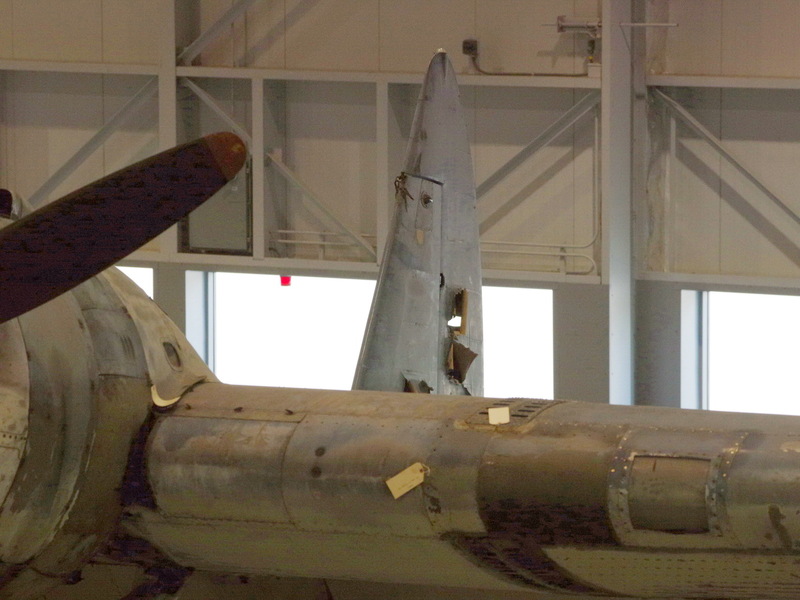 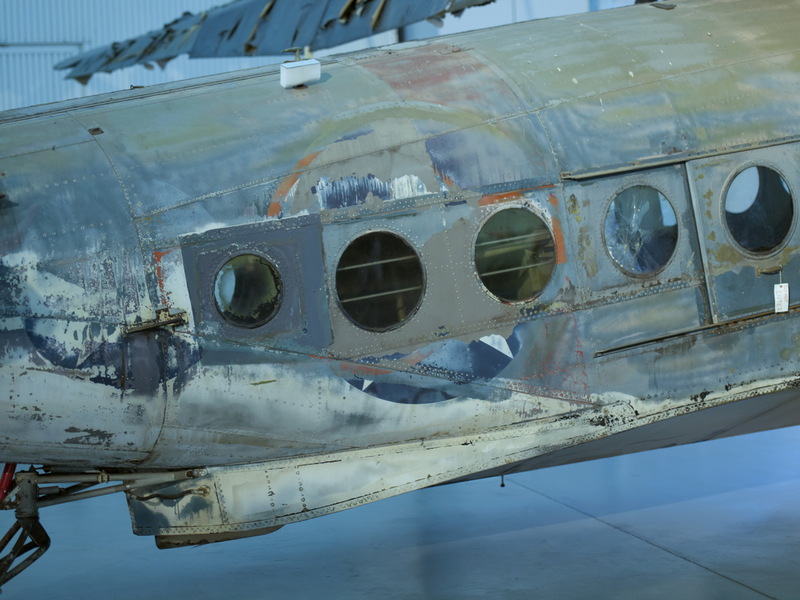 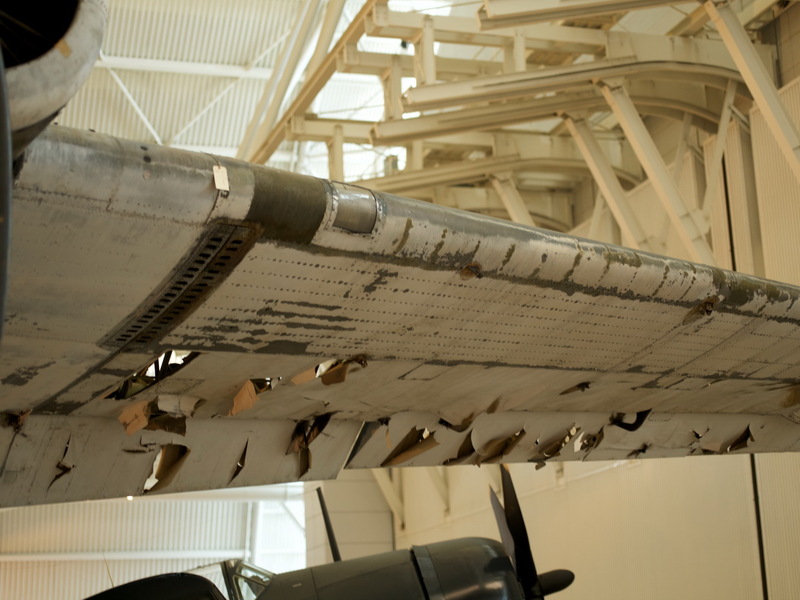 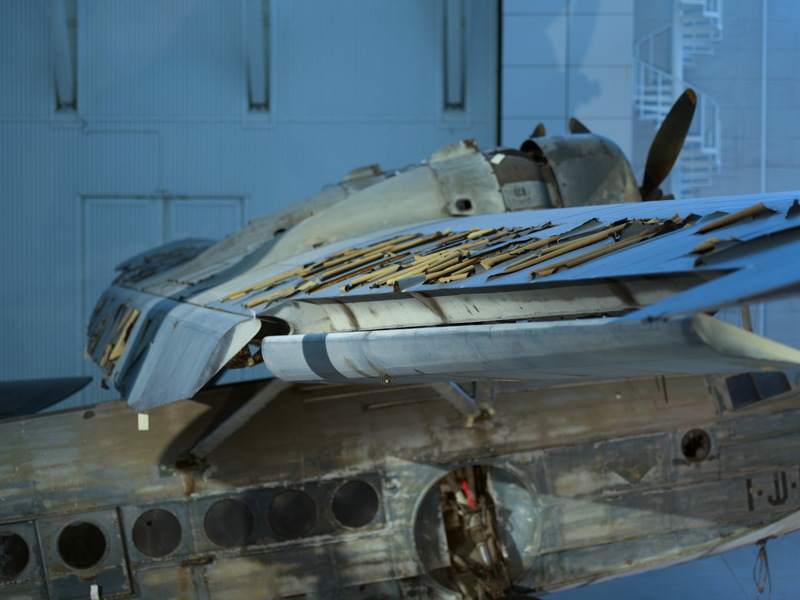 This in itself would make a fascinating model diorama - look at all the different tones of old paintwork, bare metal and damage to the tail. 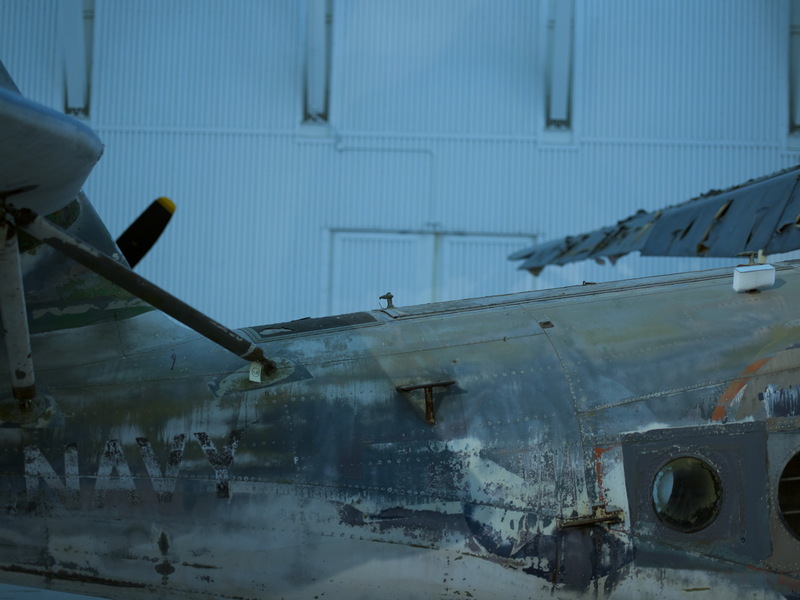 Many thanks Alex for another stunning image set. 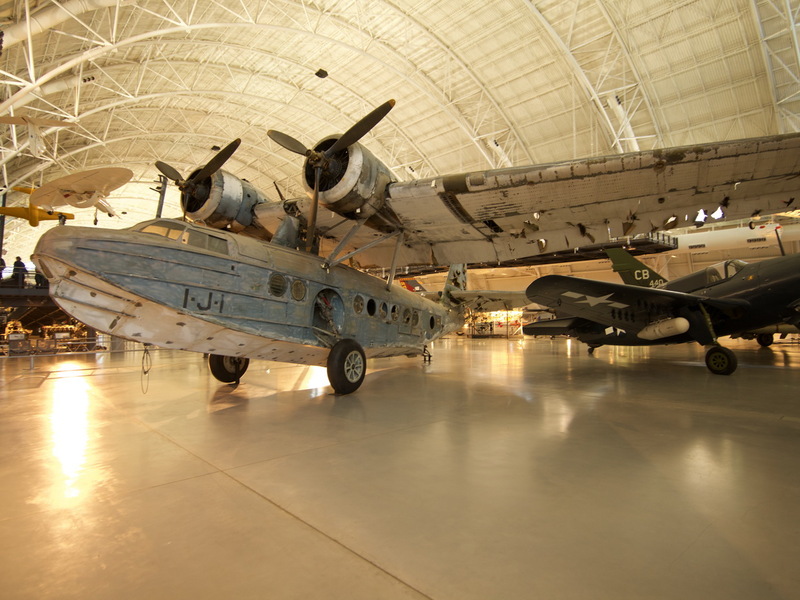 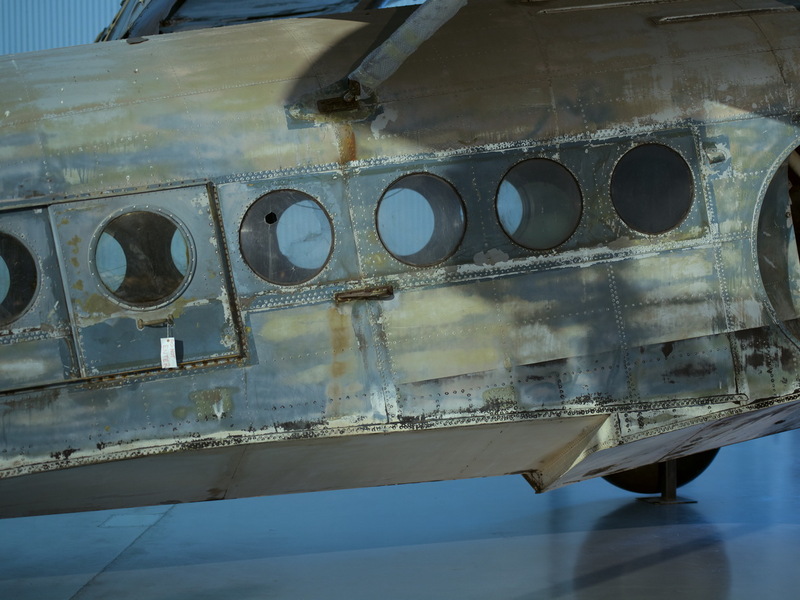 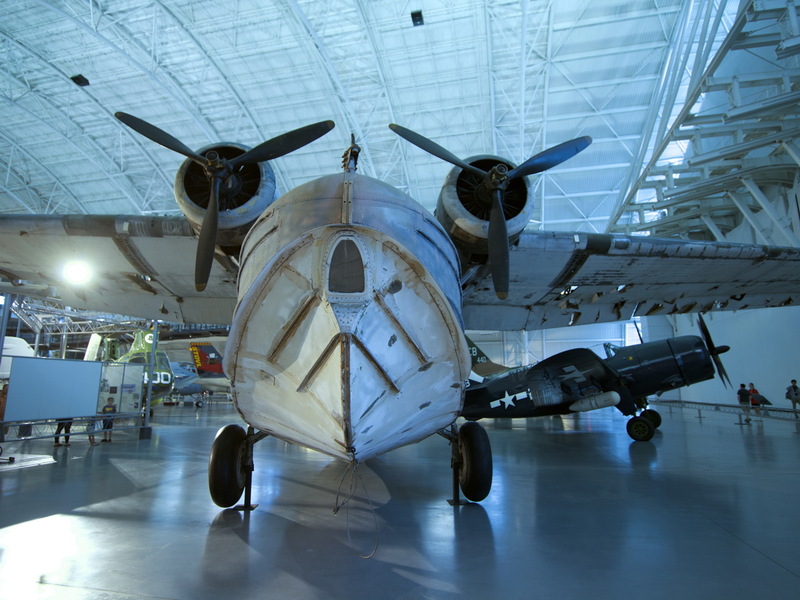 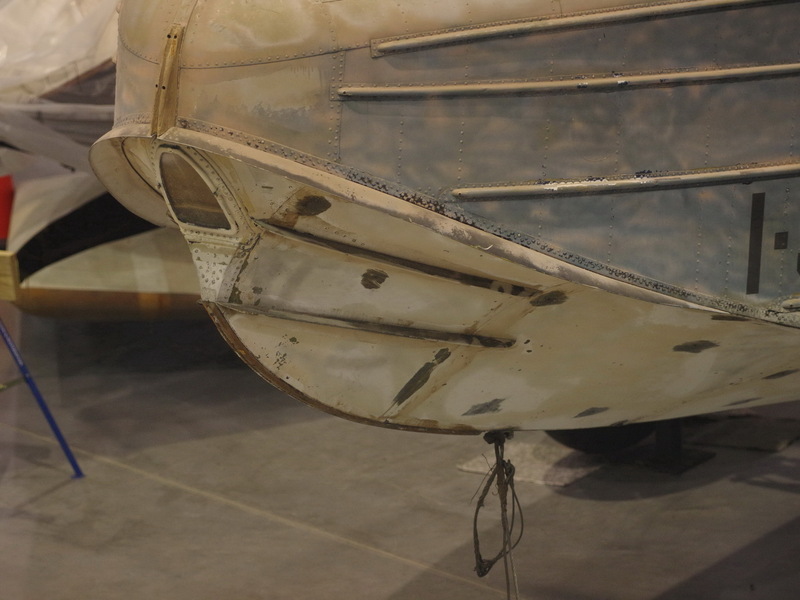 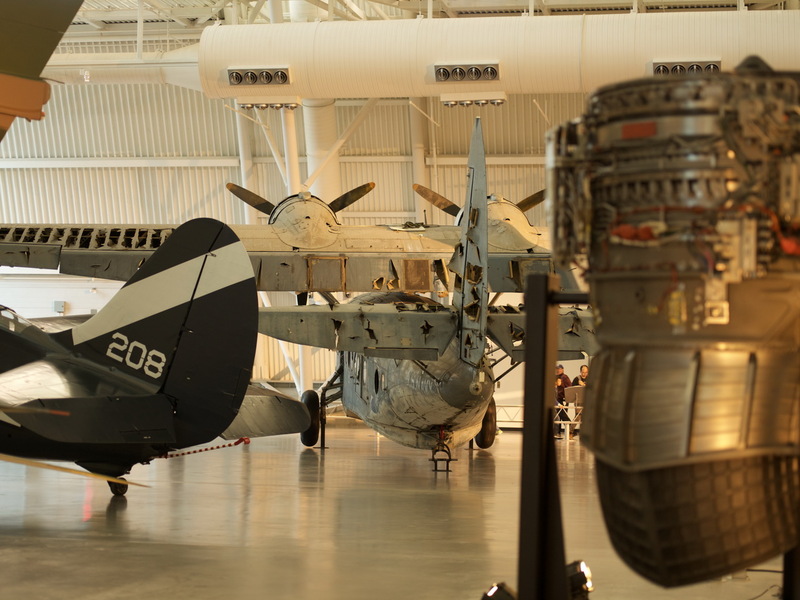 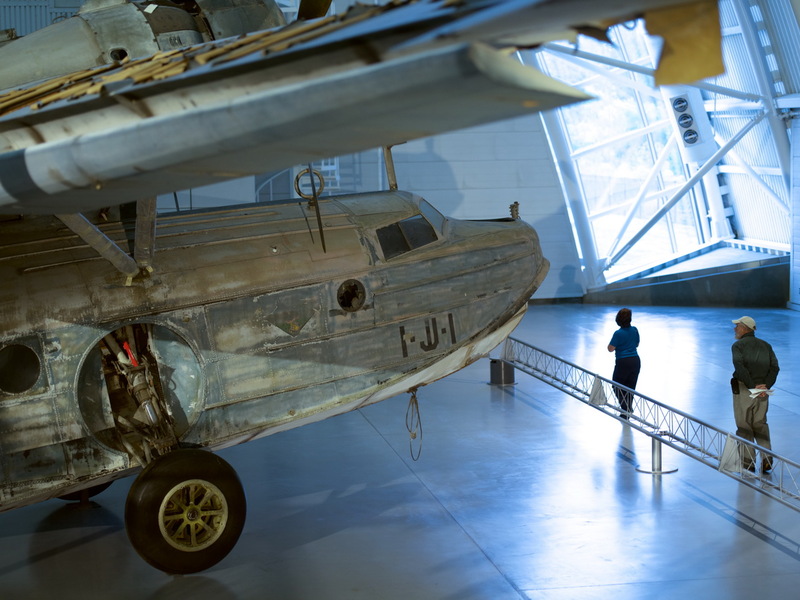 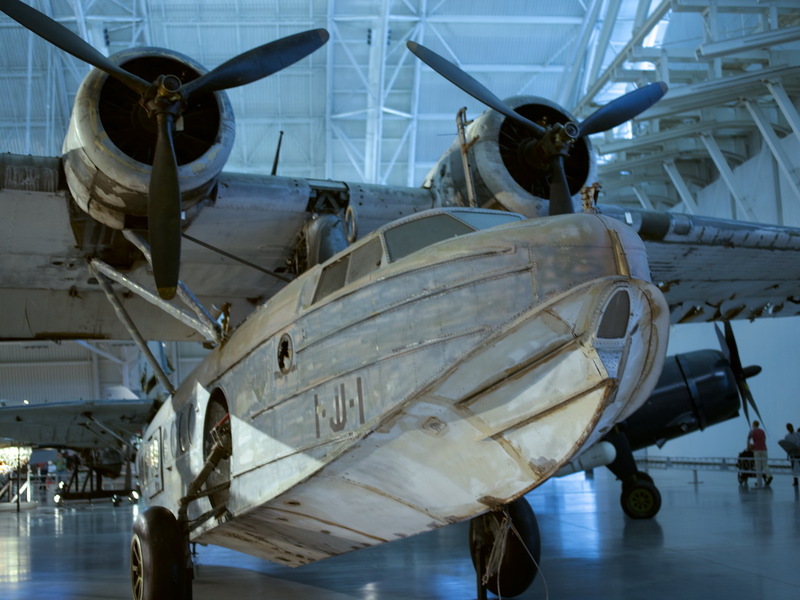 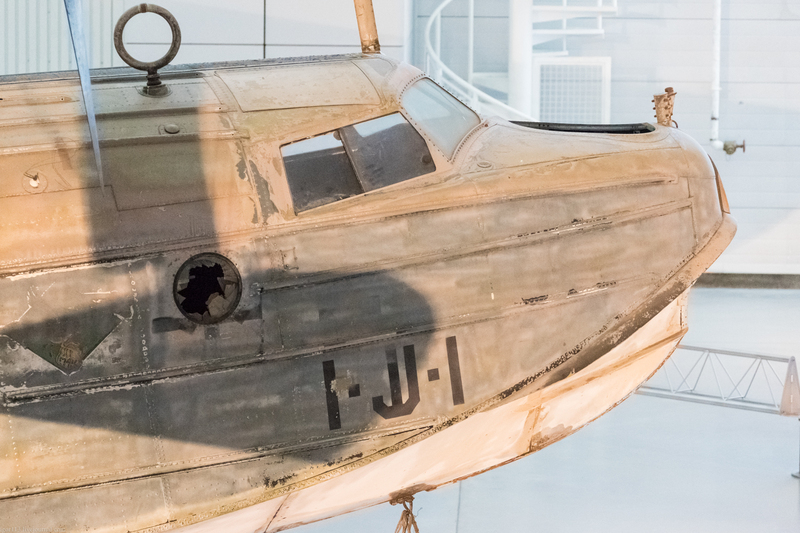 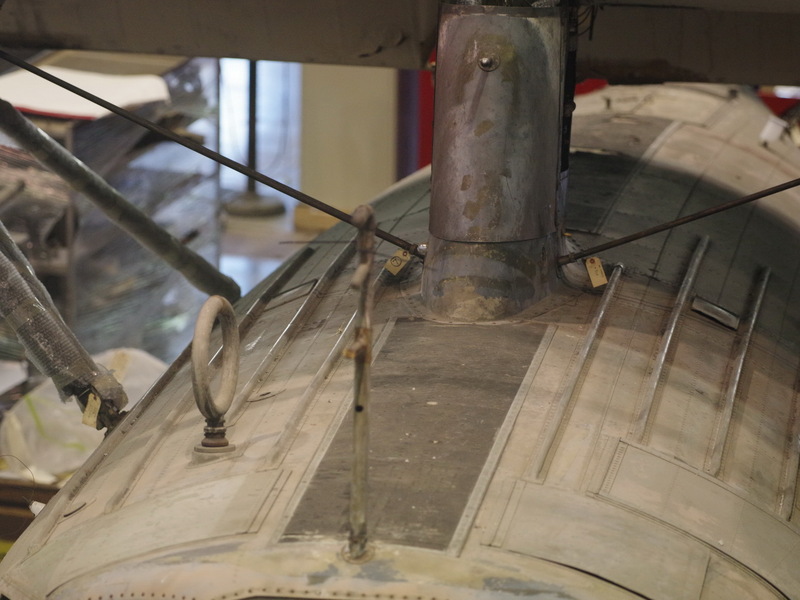 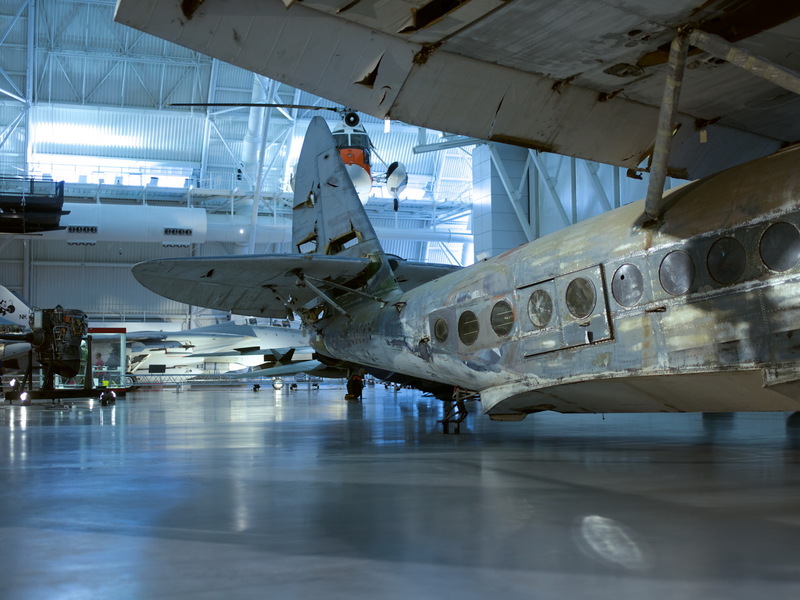 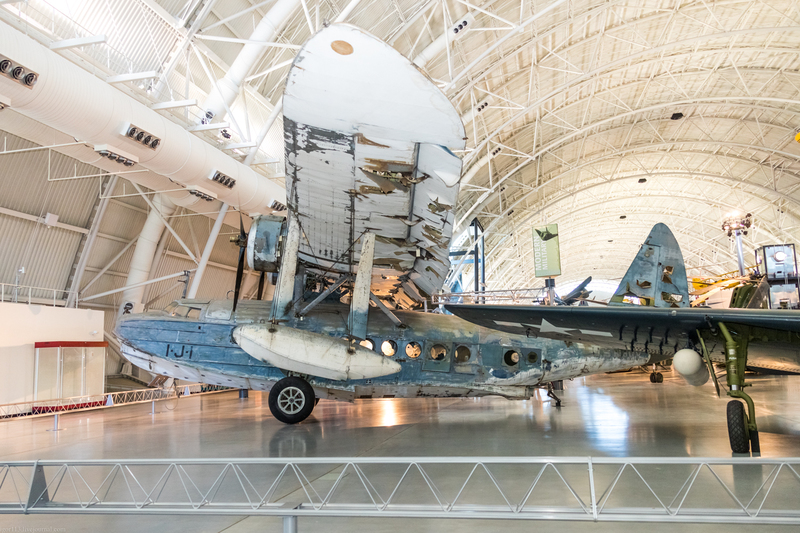 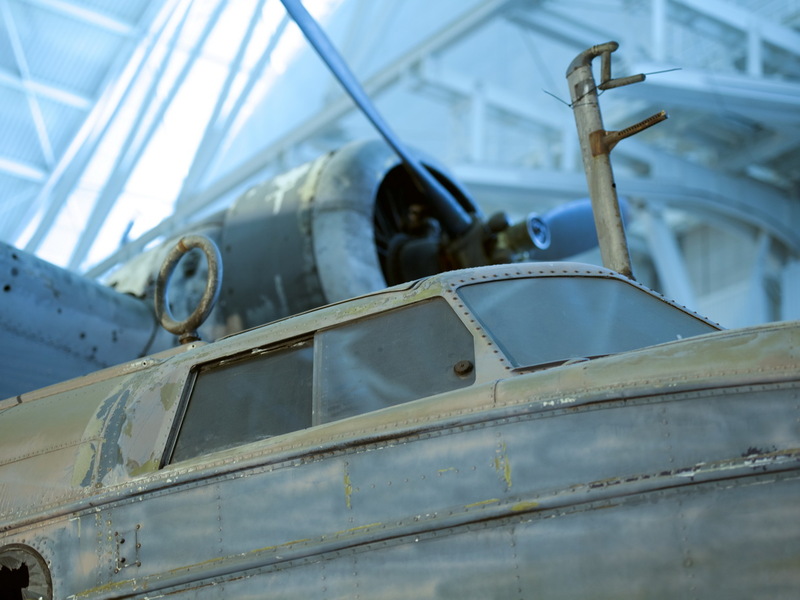 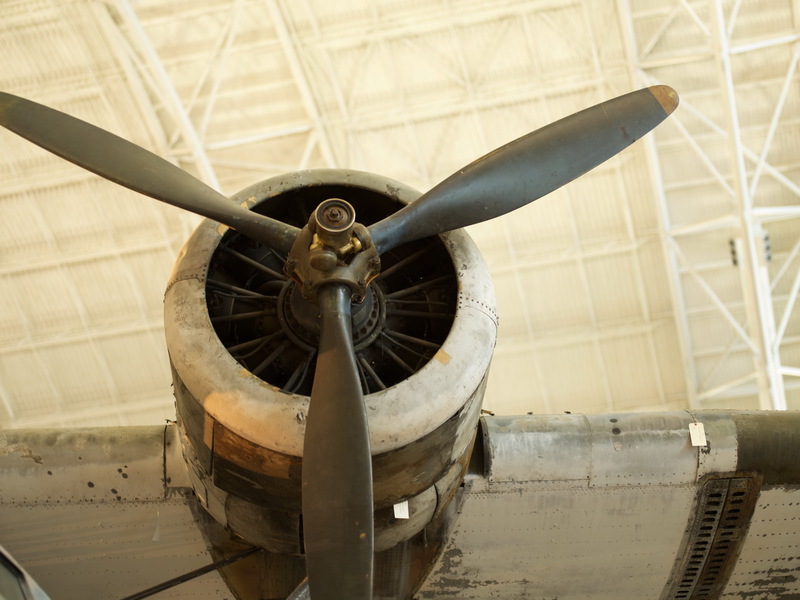 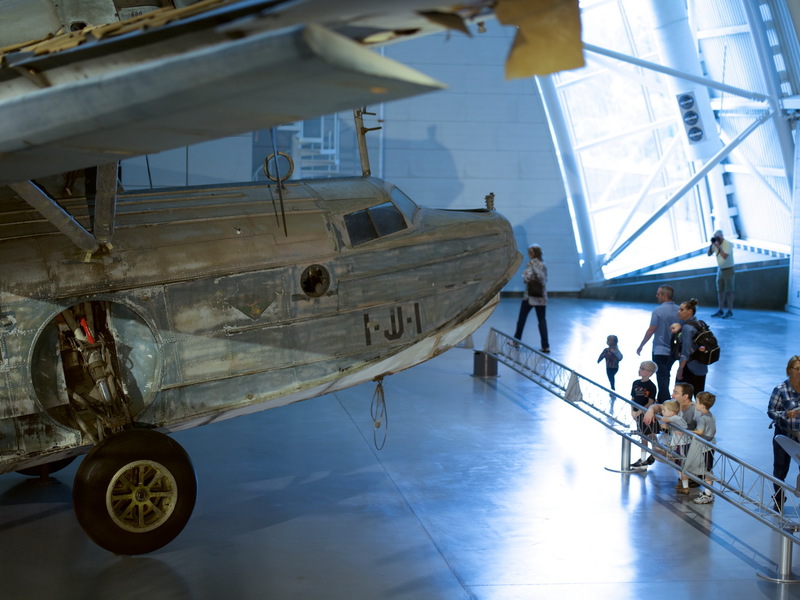 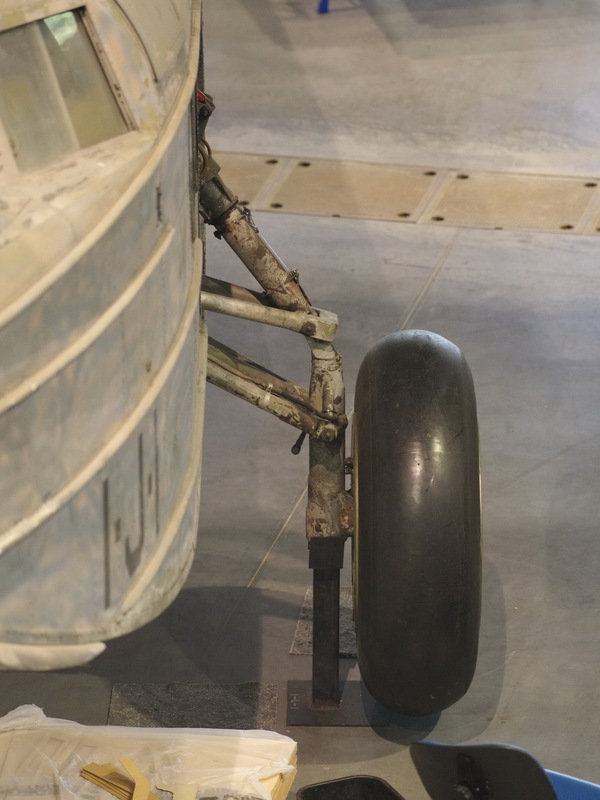 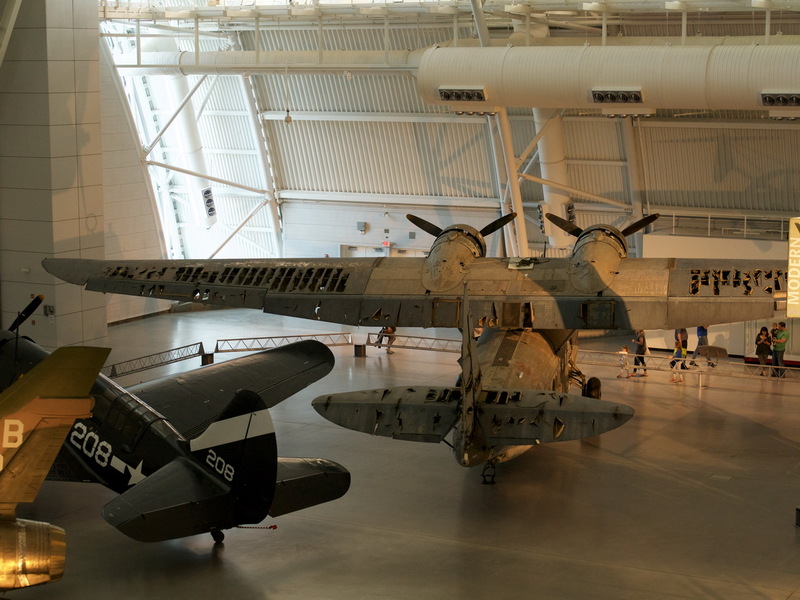 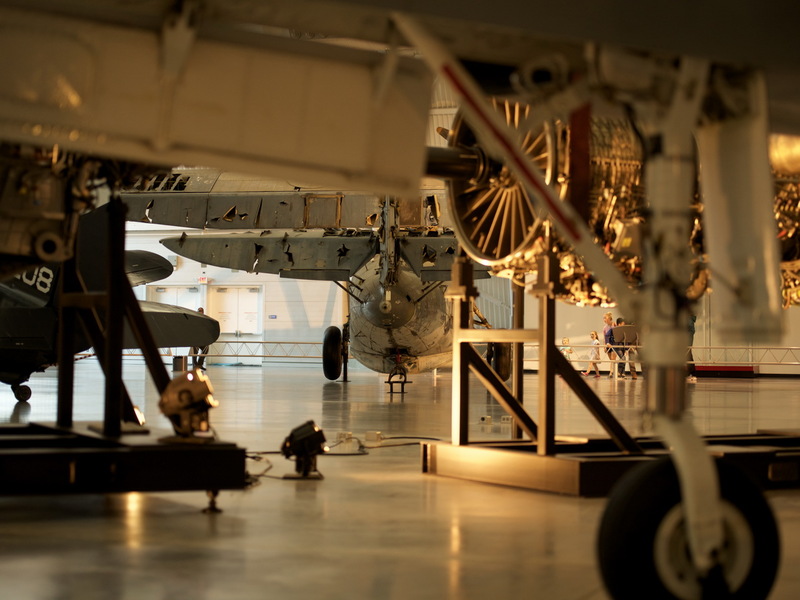 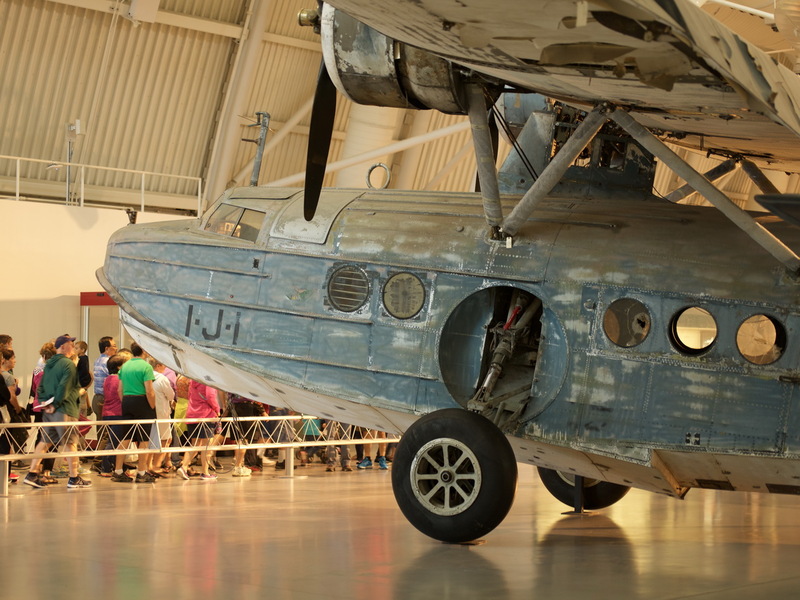 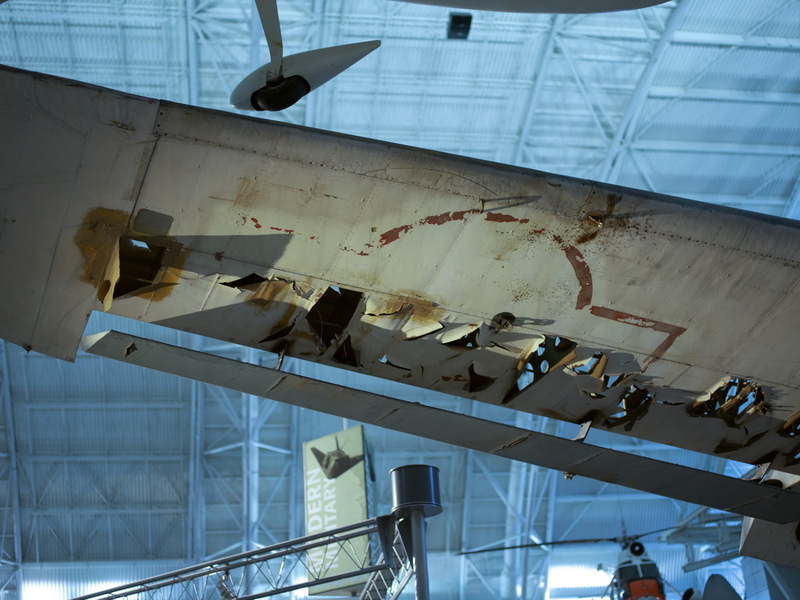 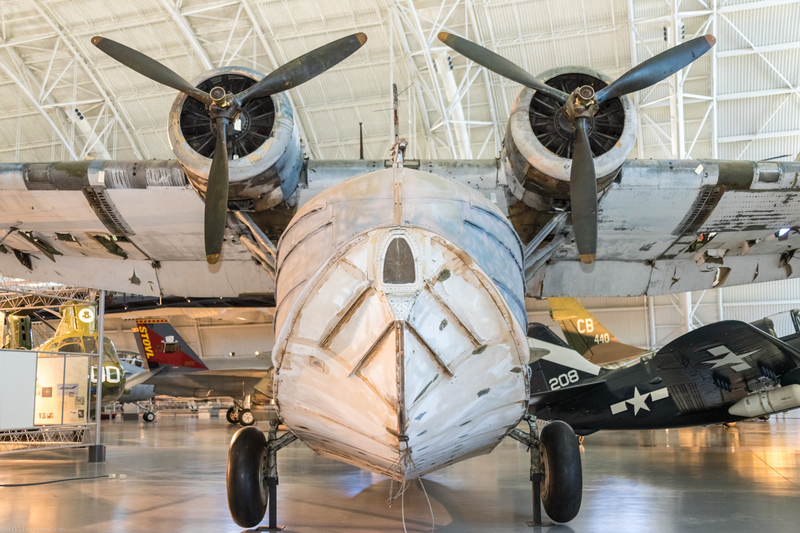 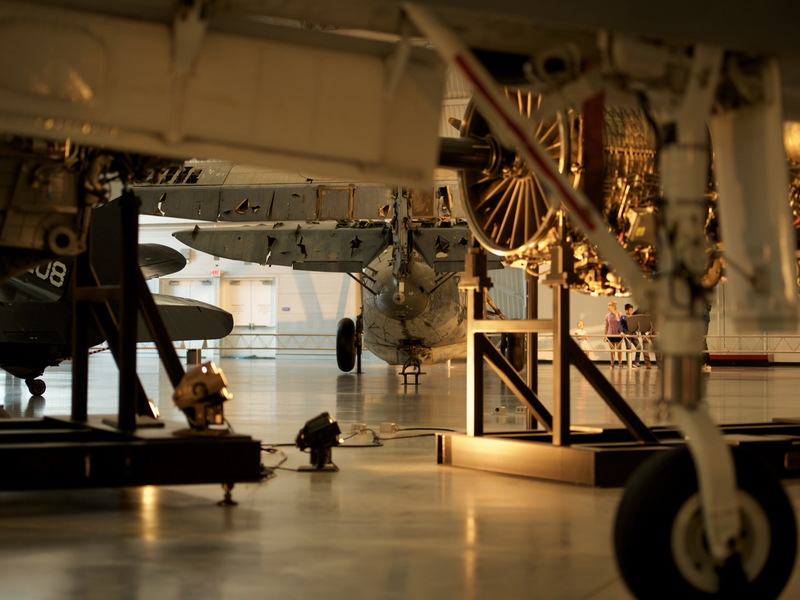 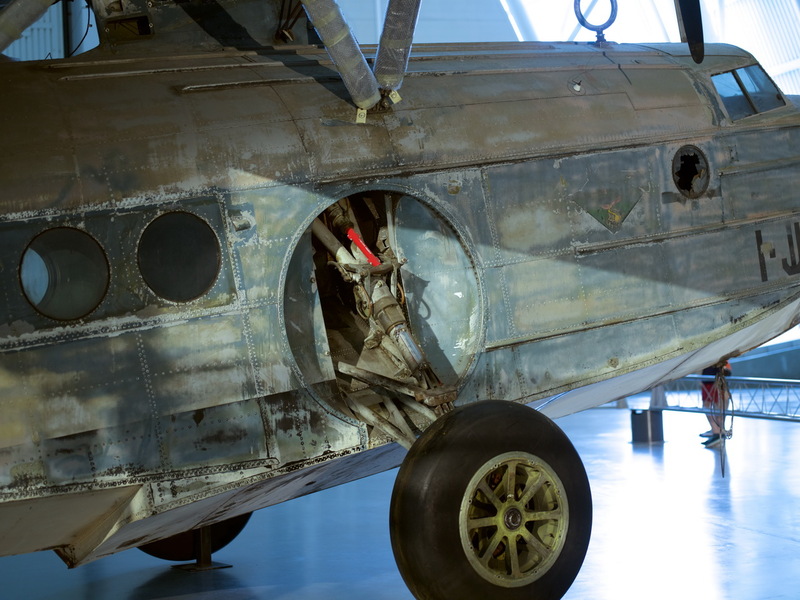 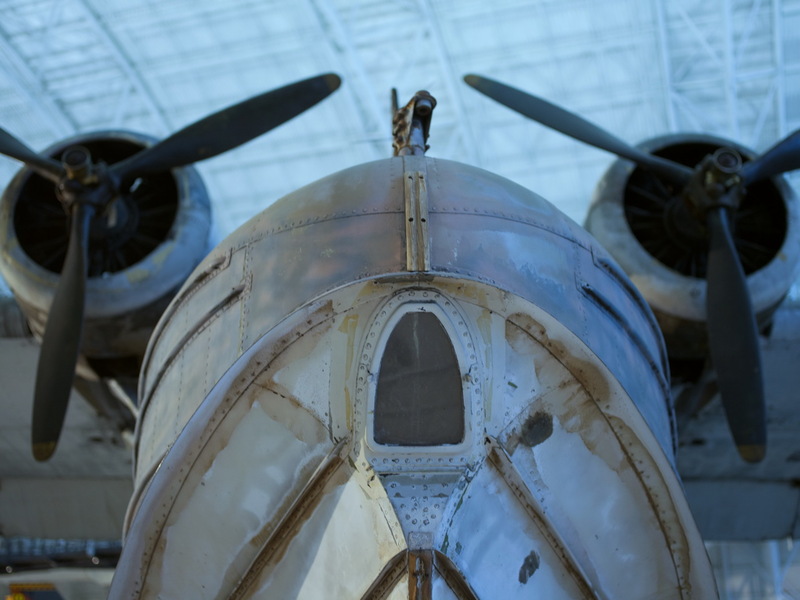 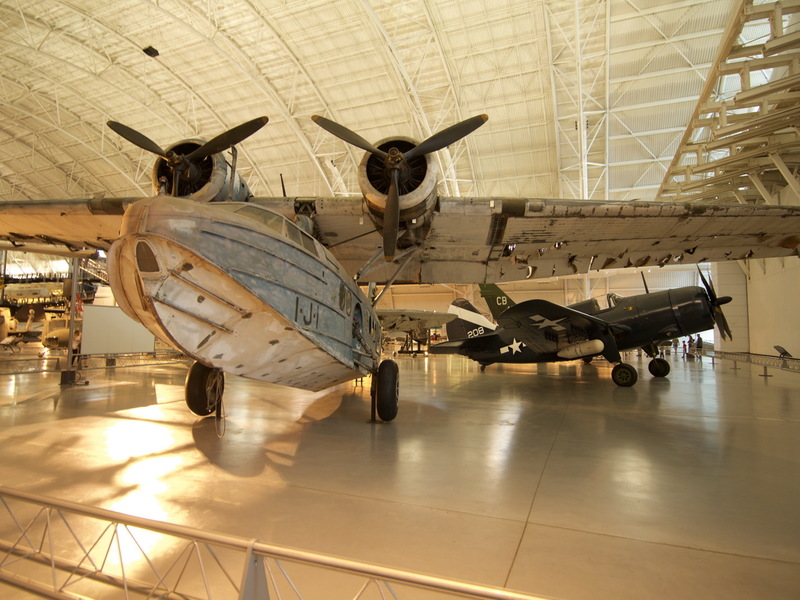 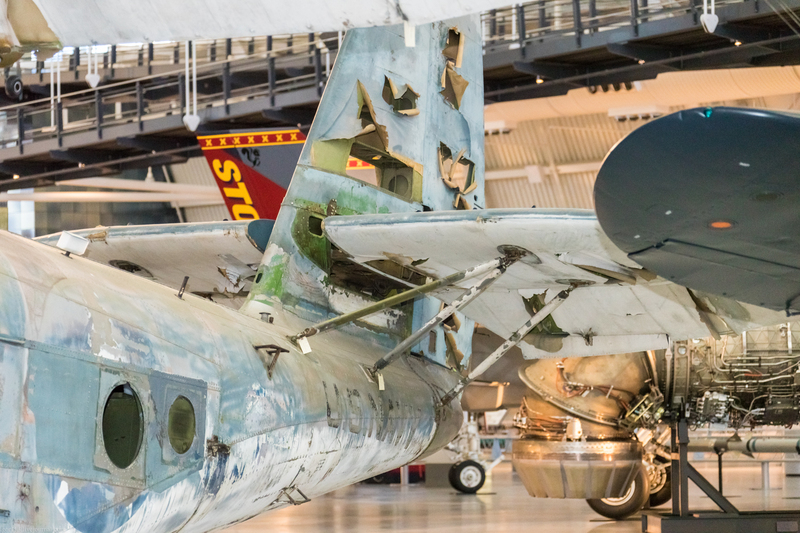 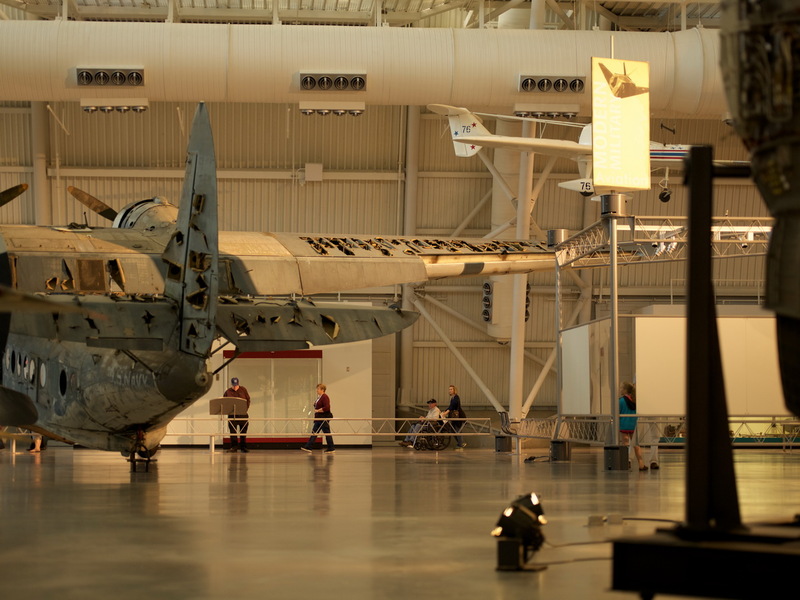 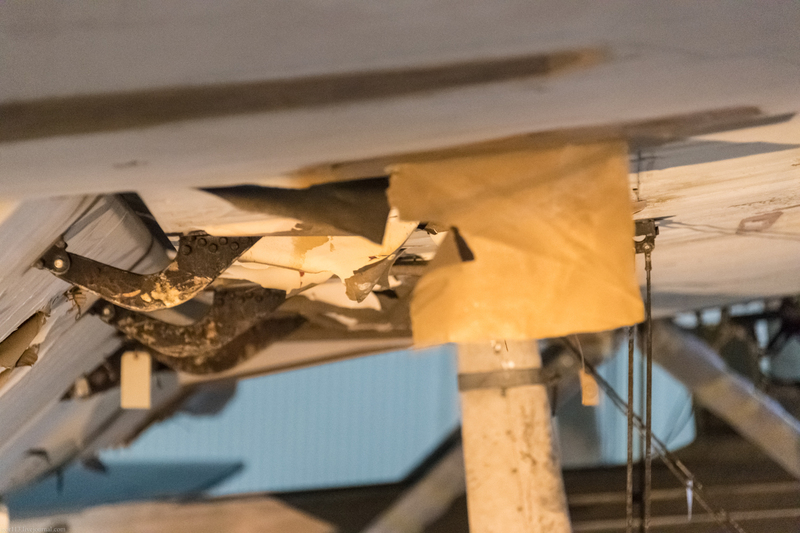 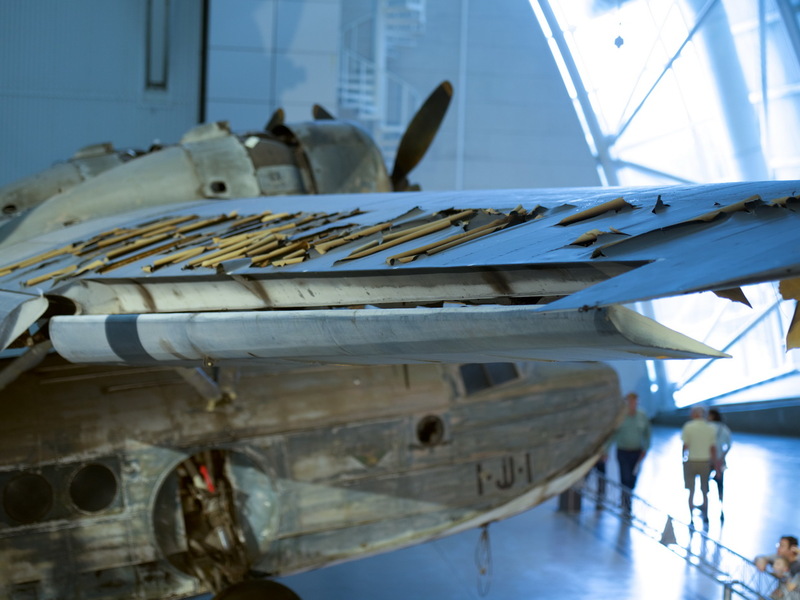 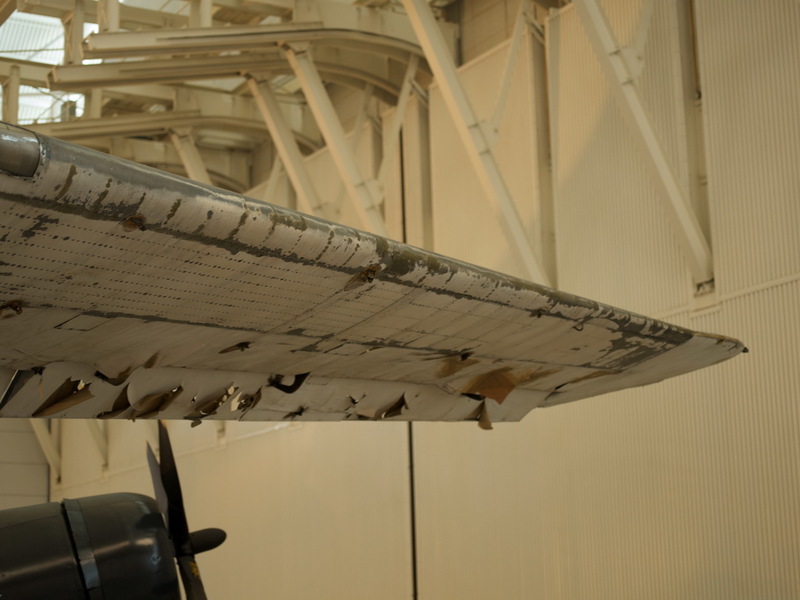 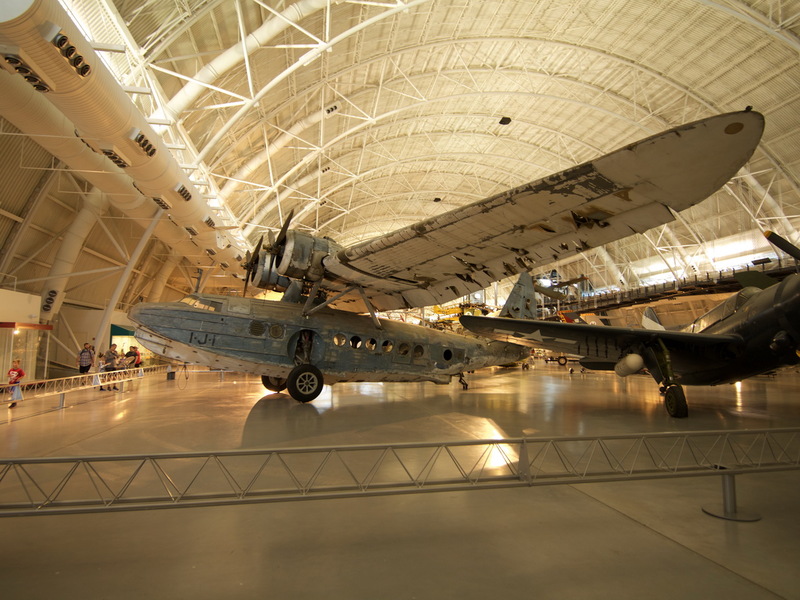 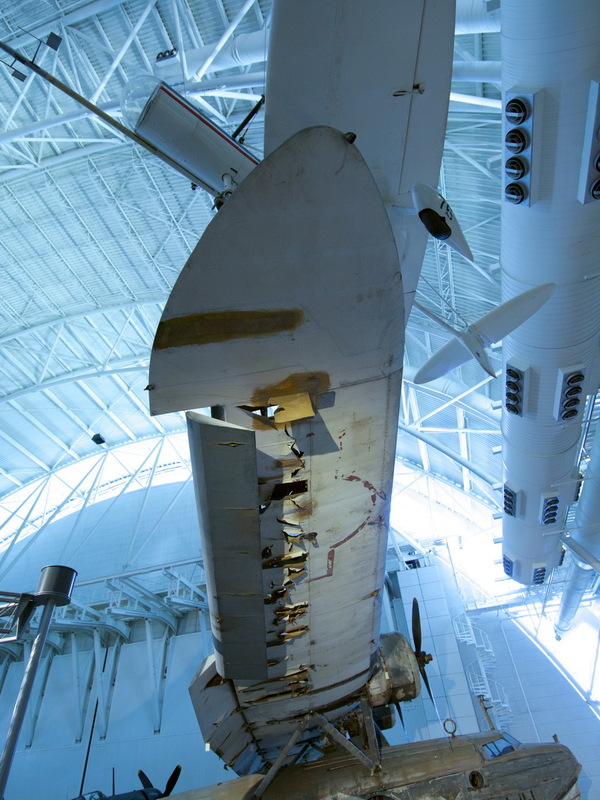 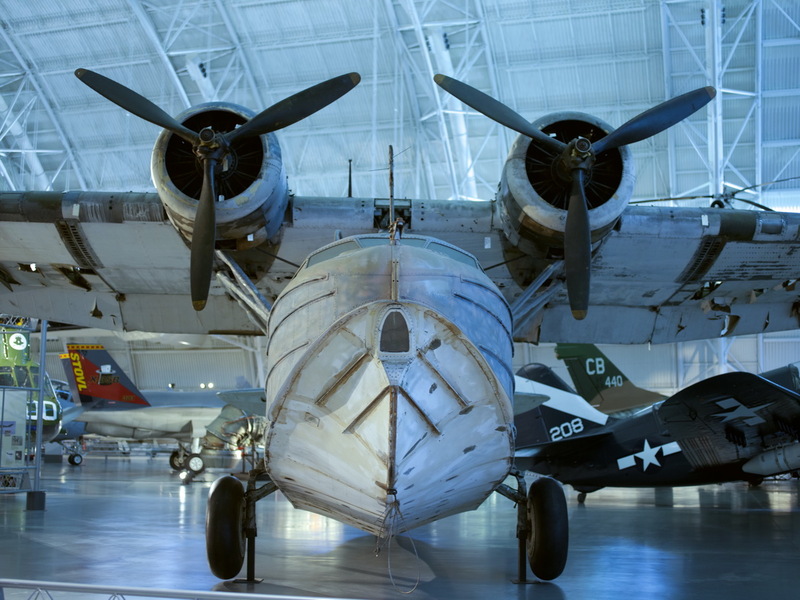 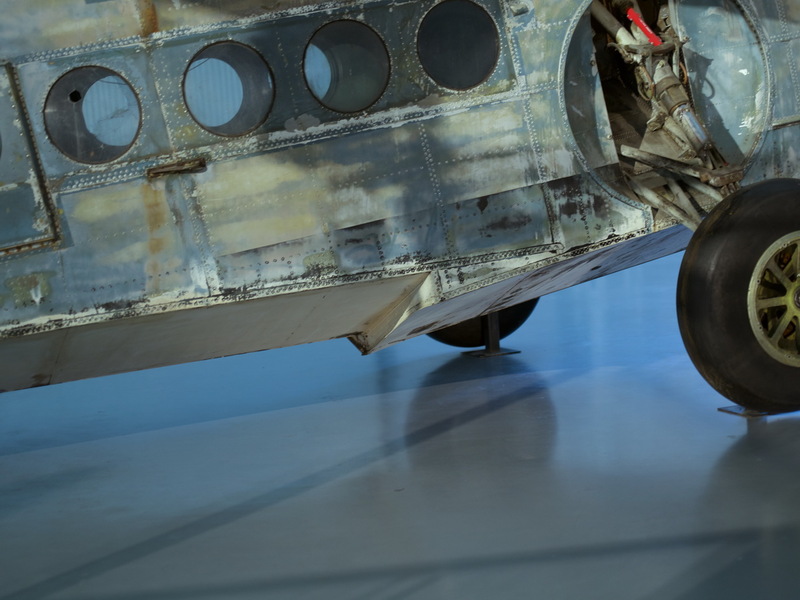 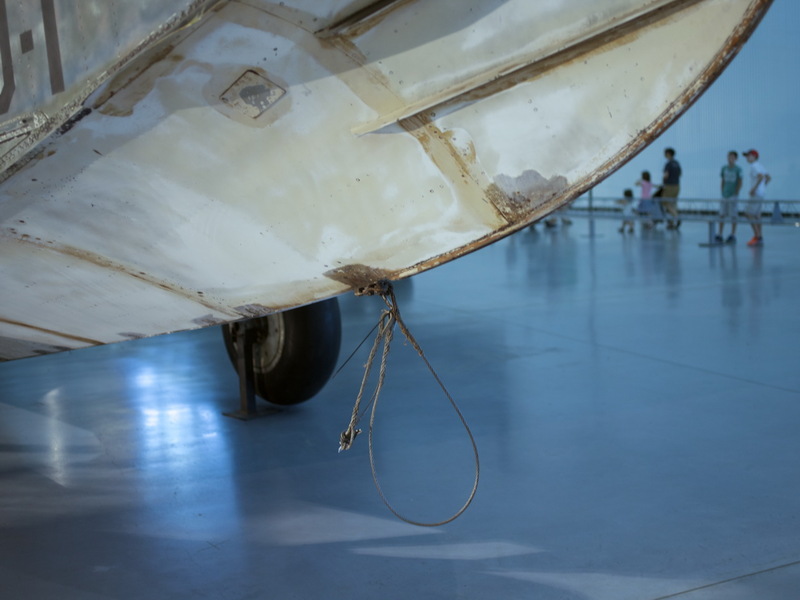 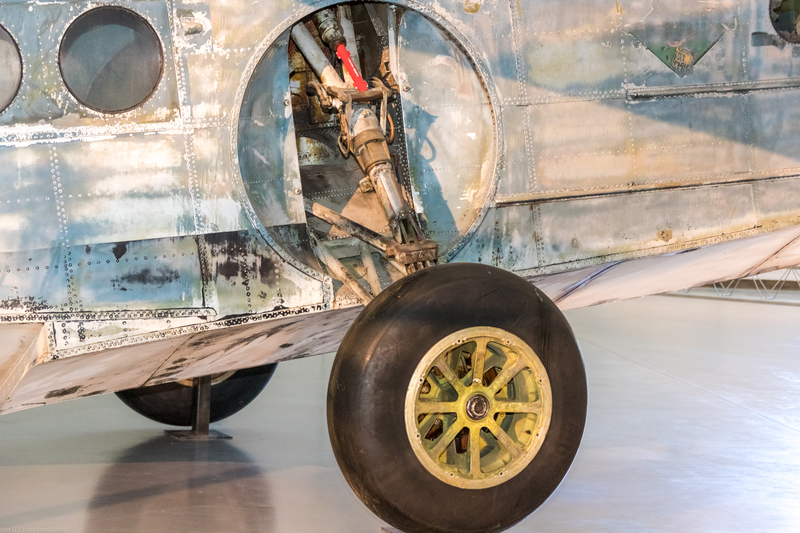 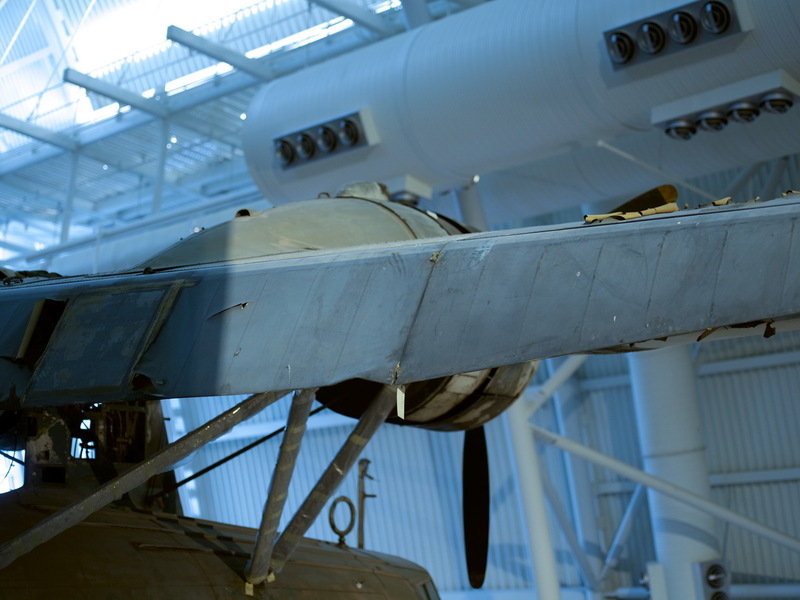 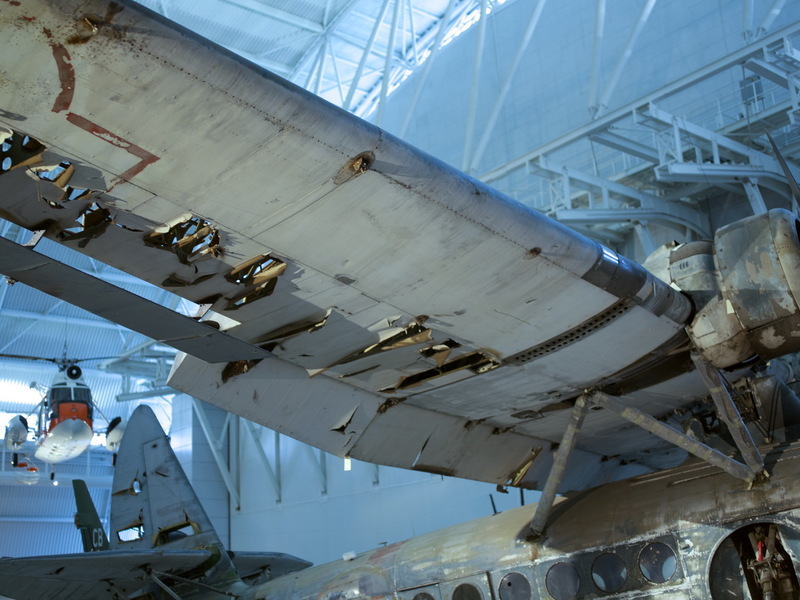 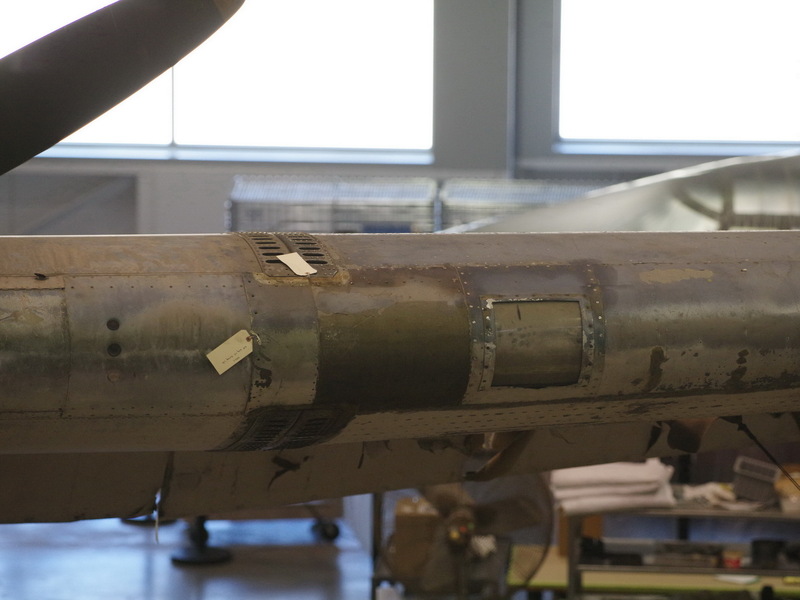 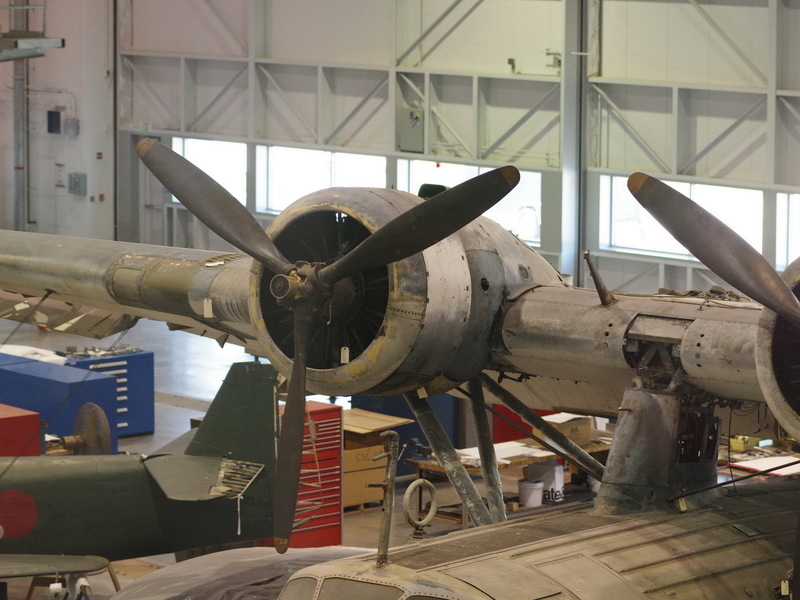 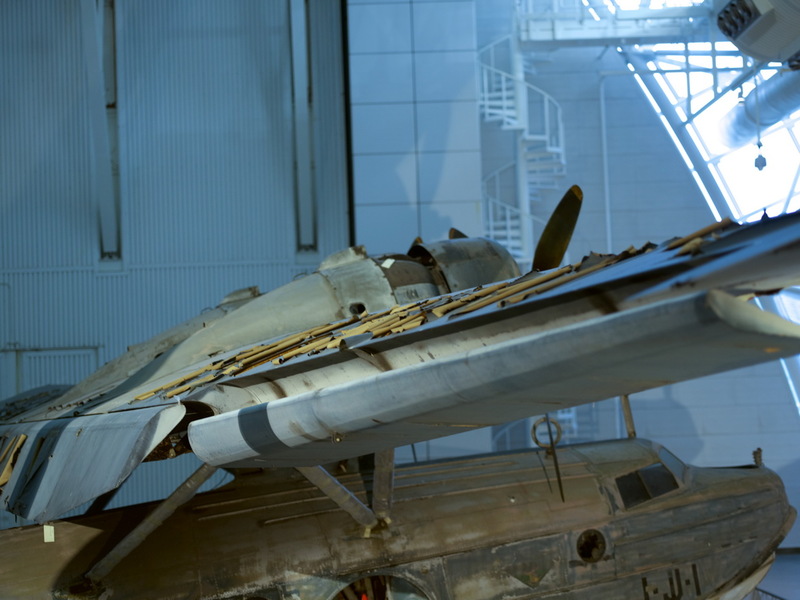 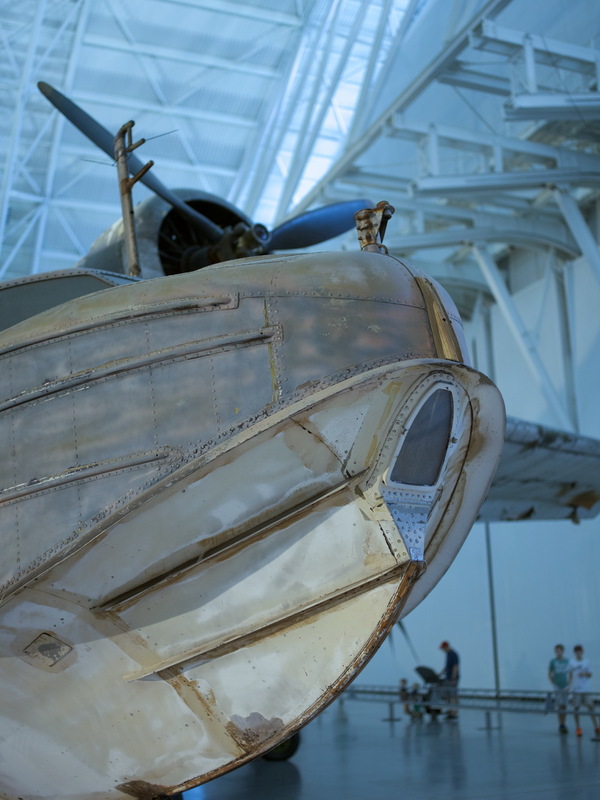 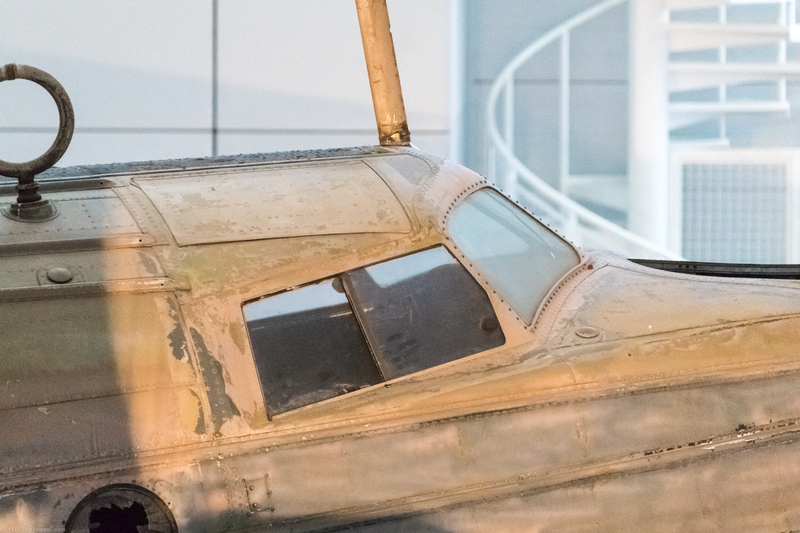 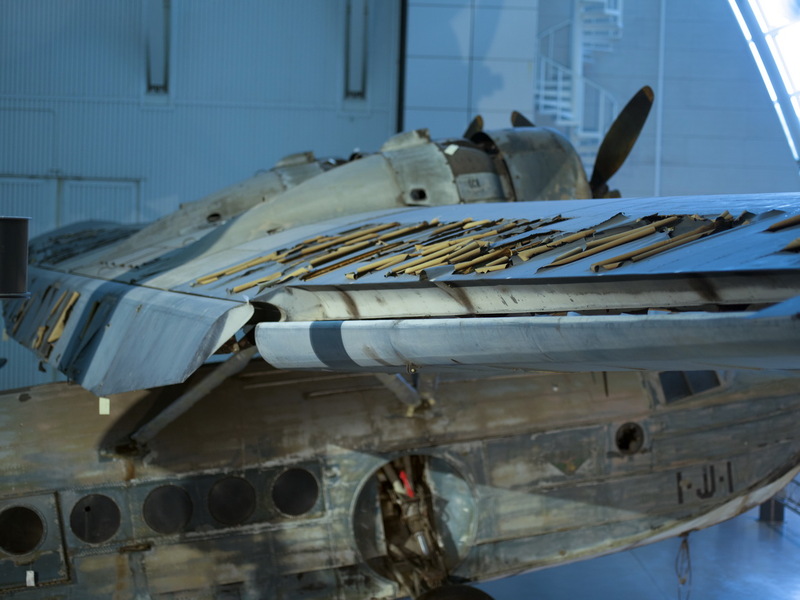 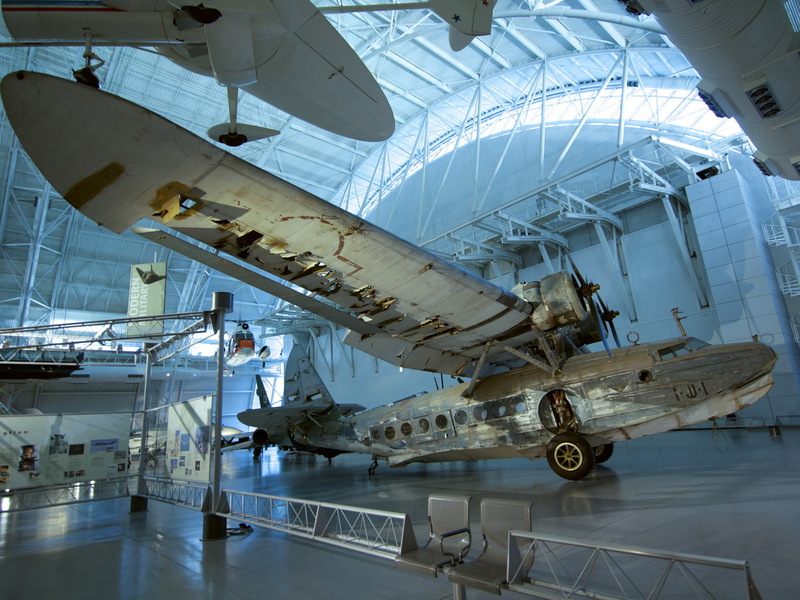 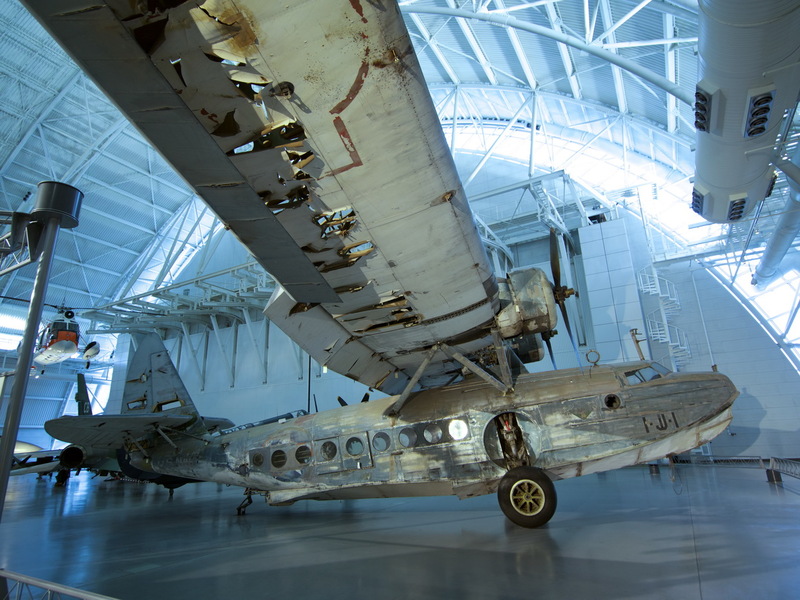 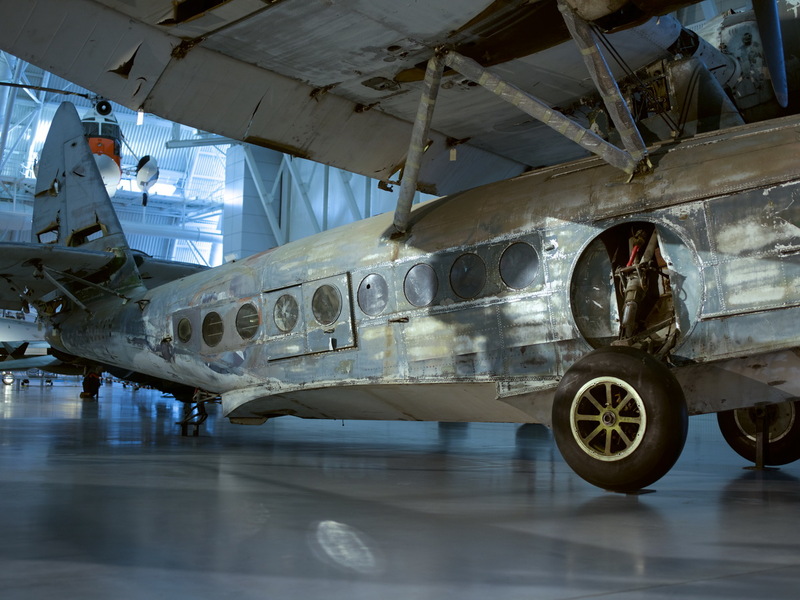 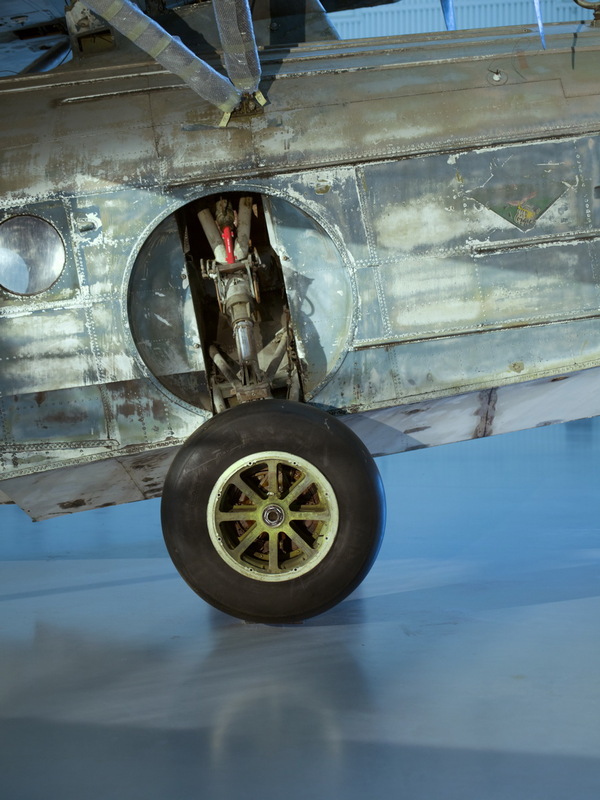 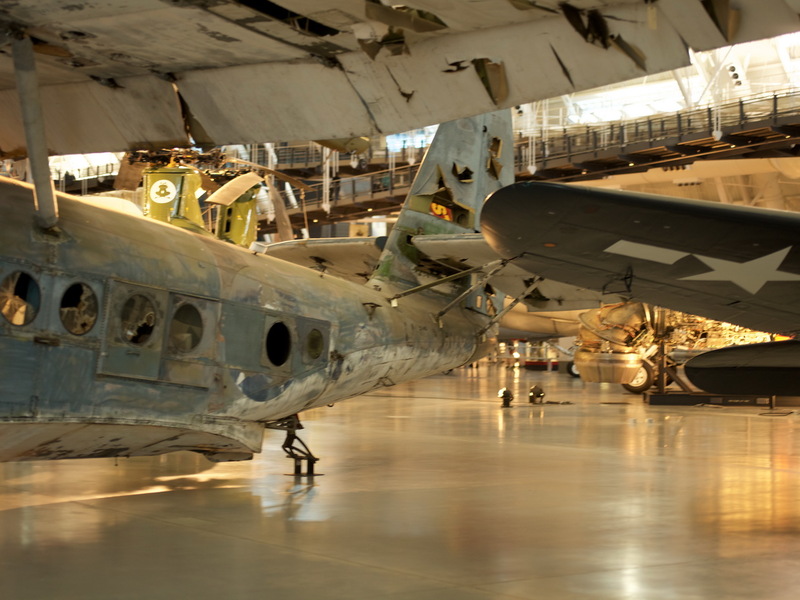 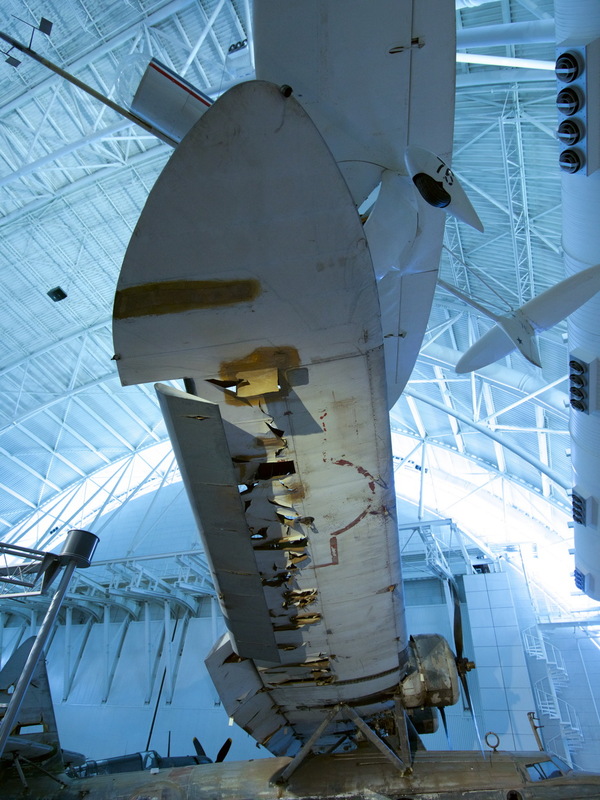 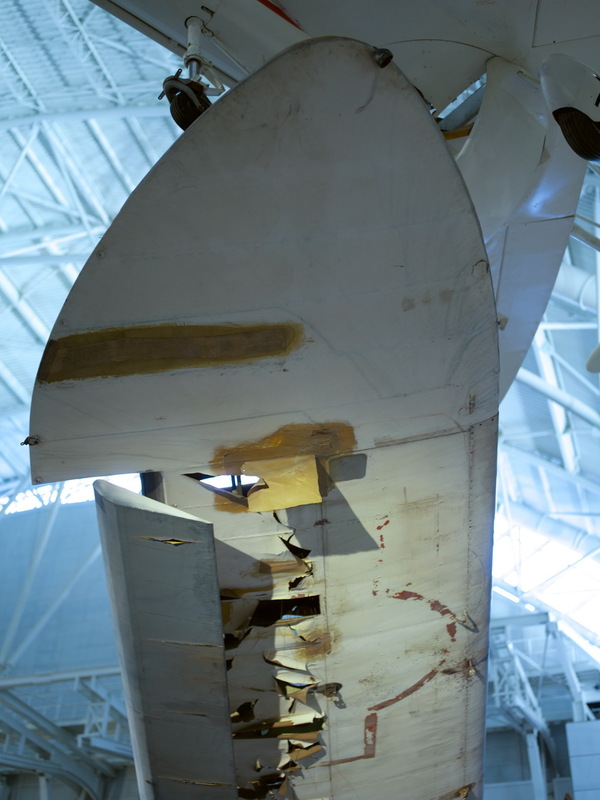 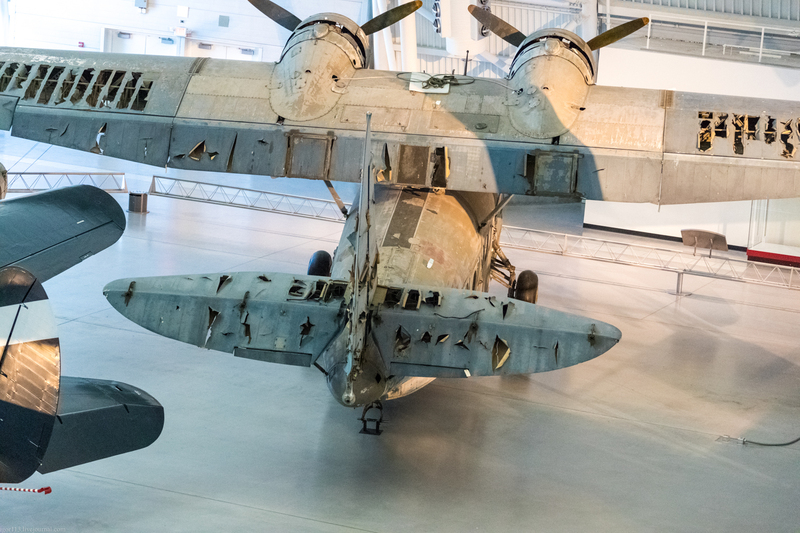 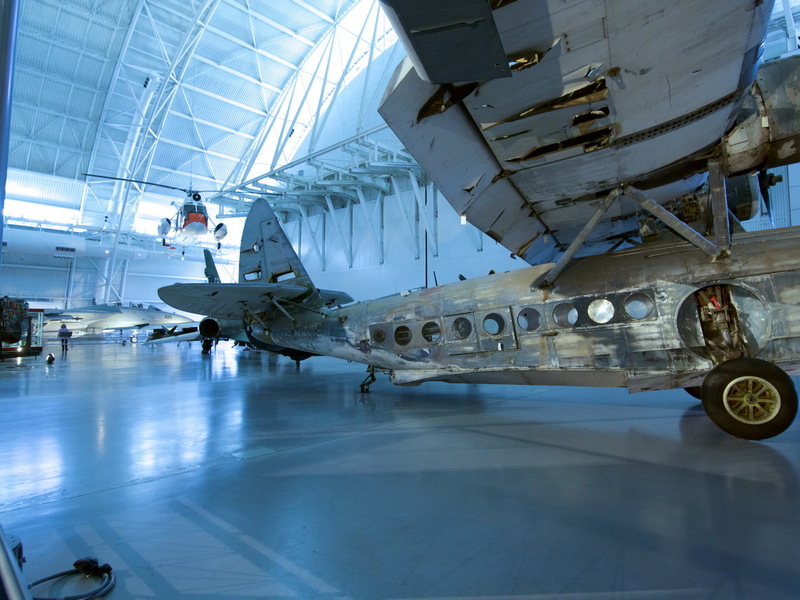 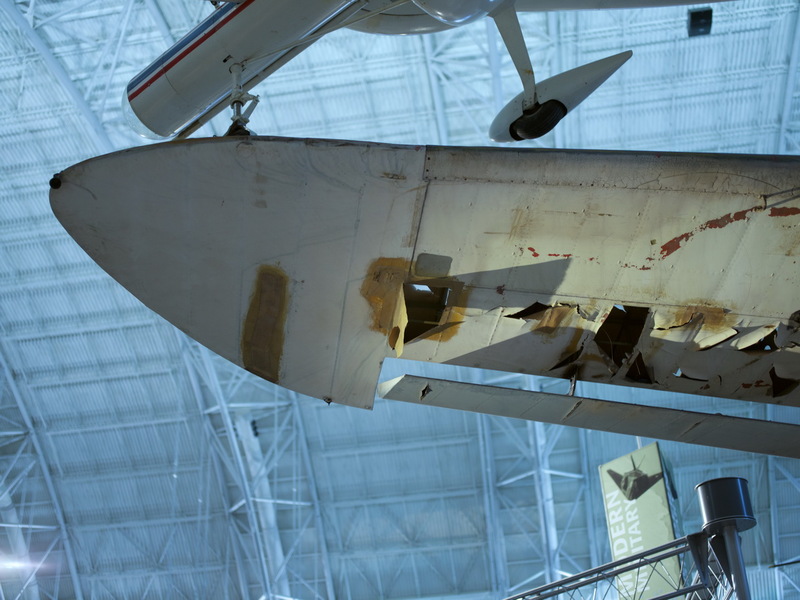 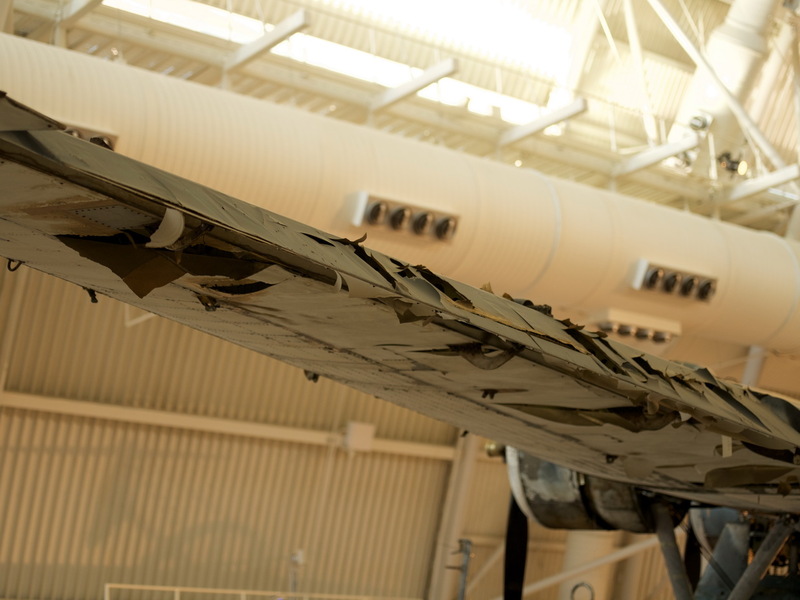 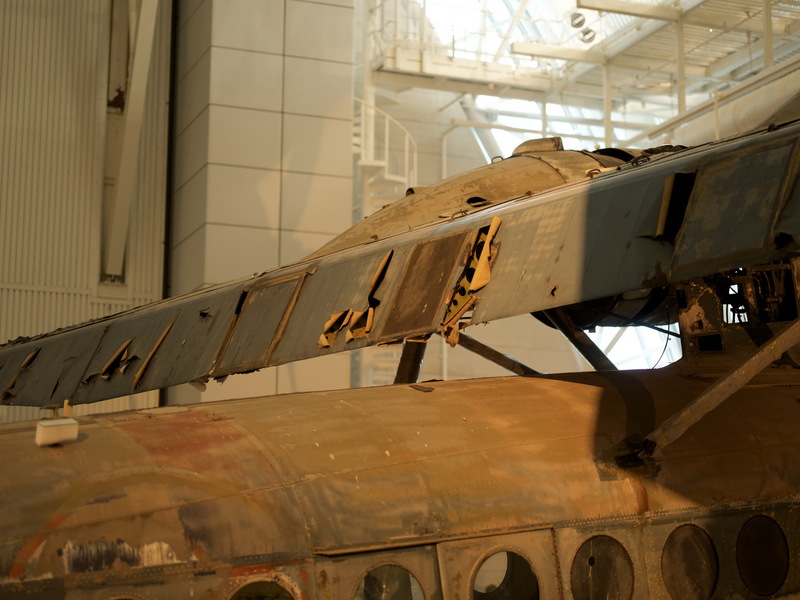 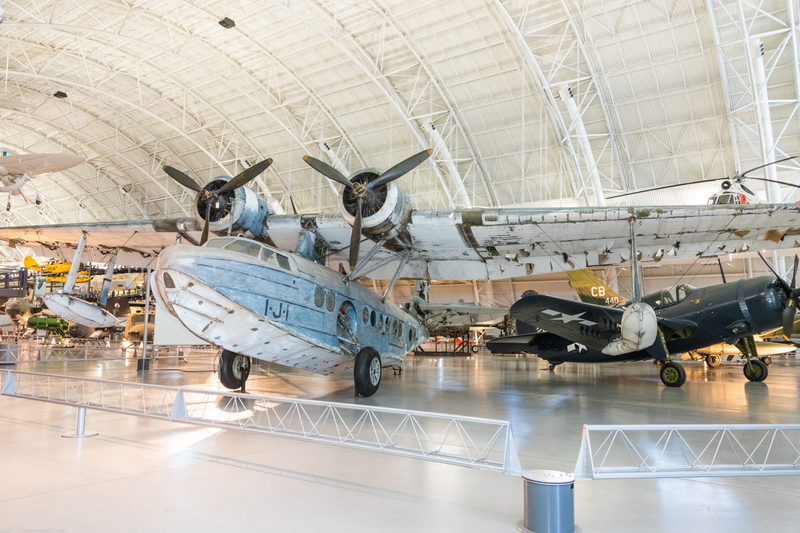 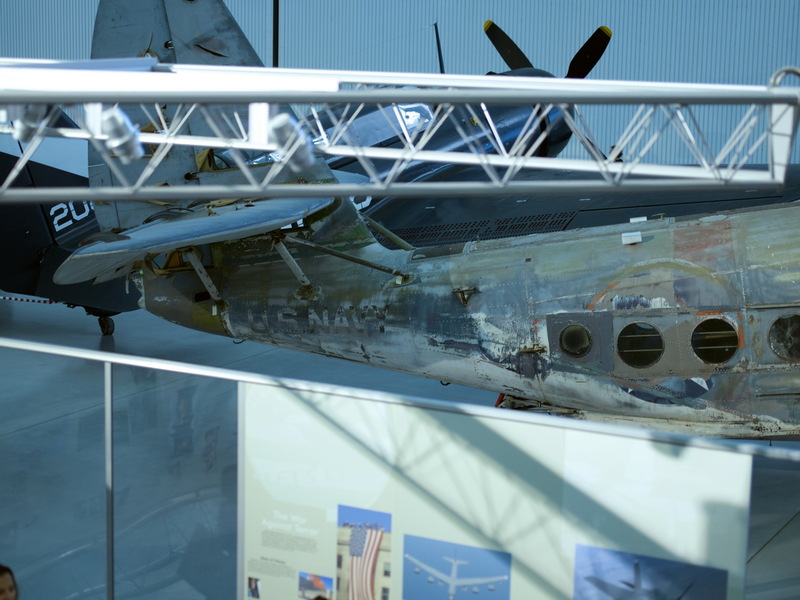 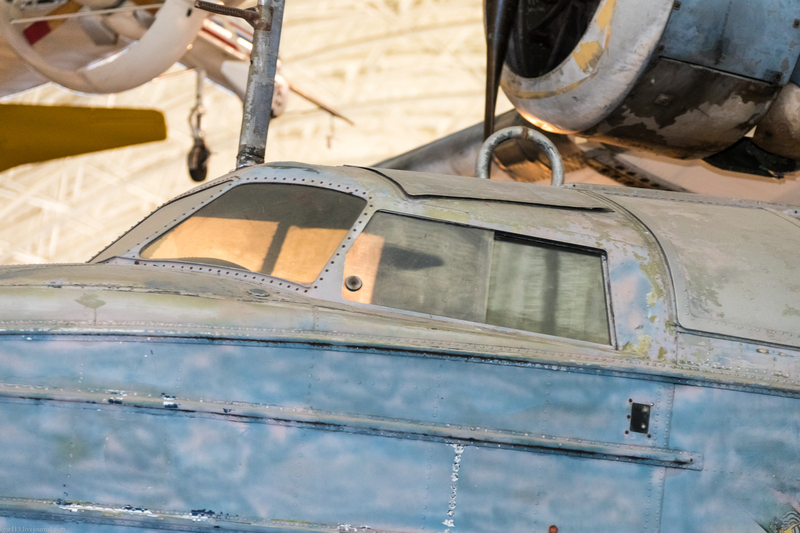 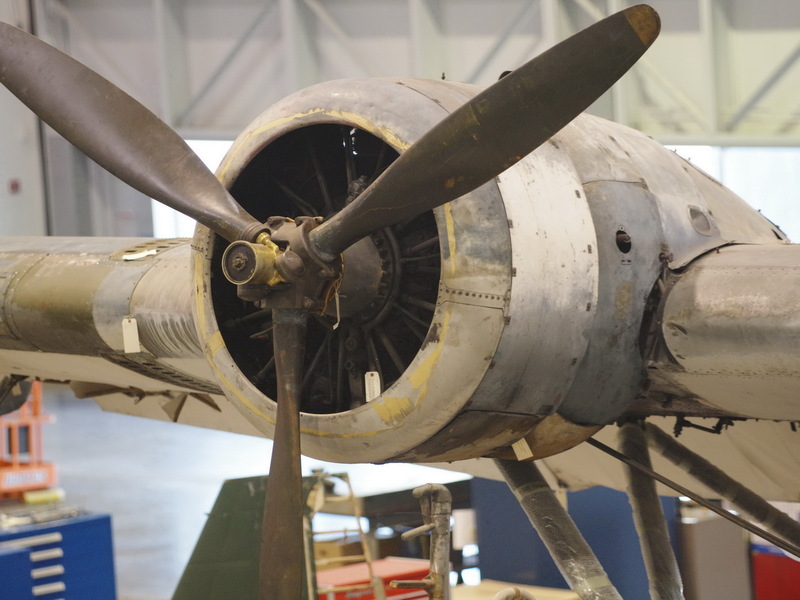 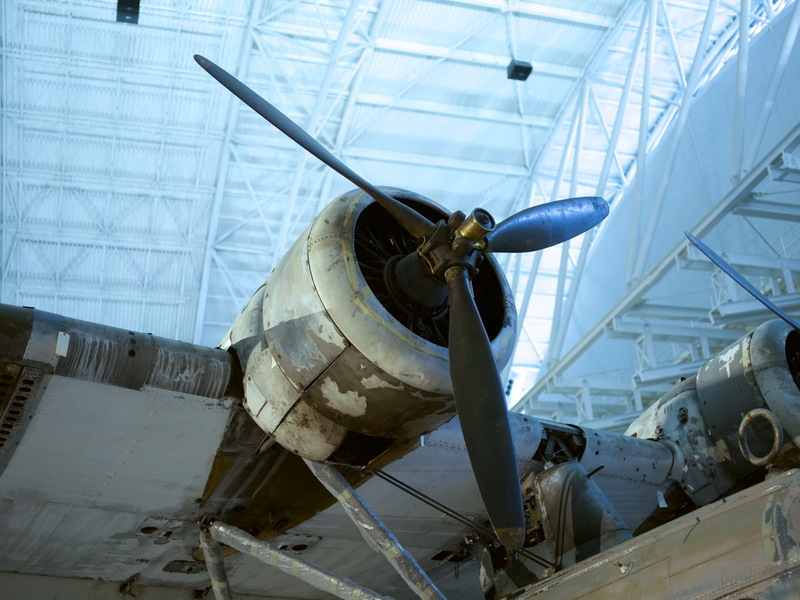 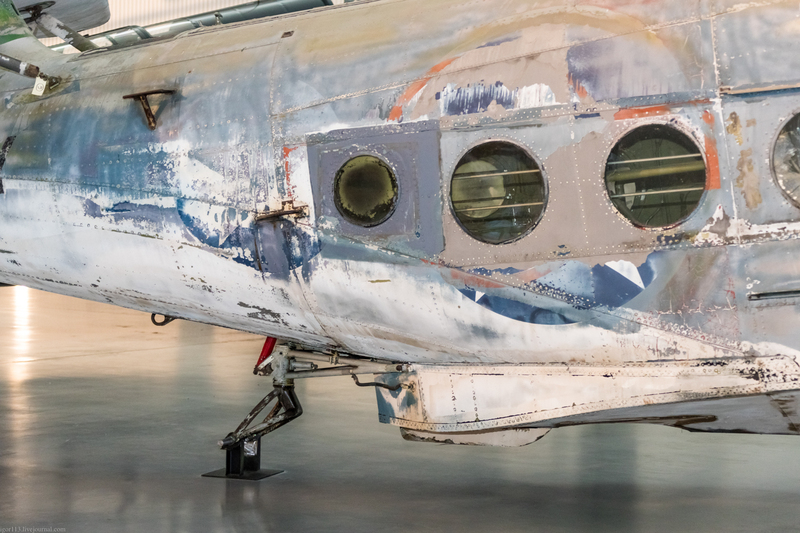 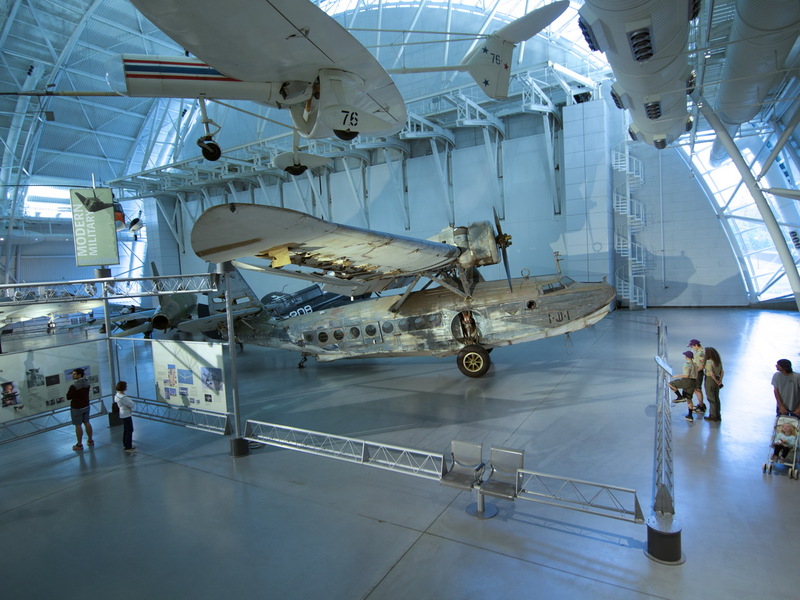 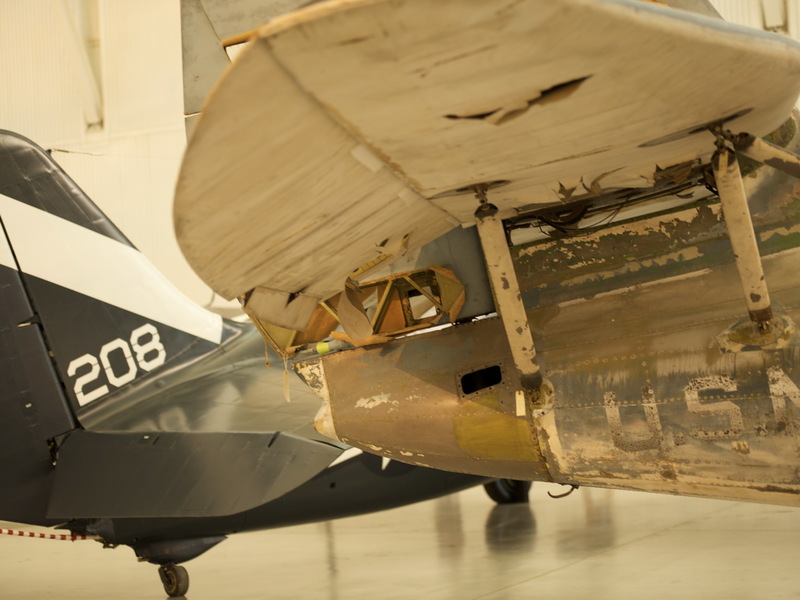 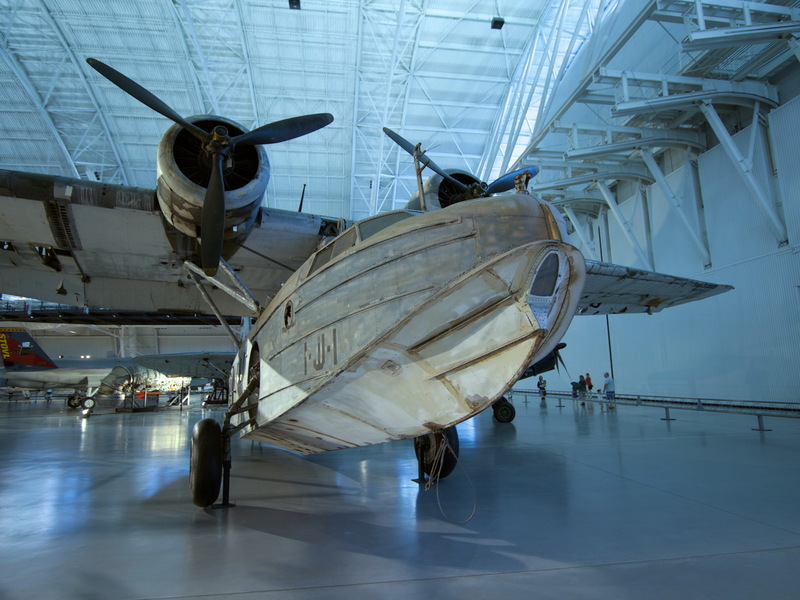 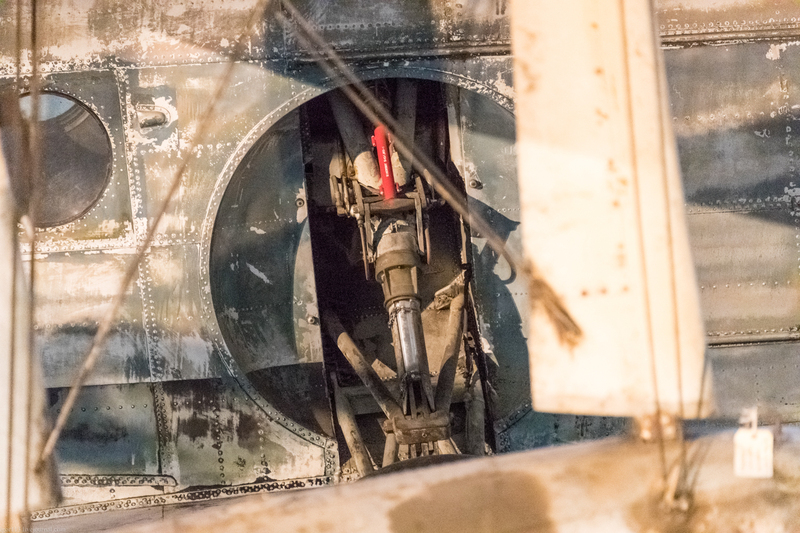 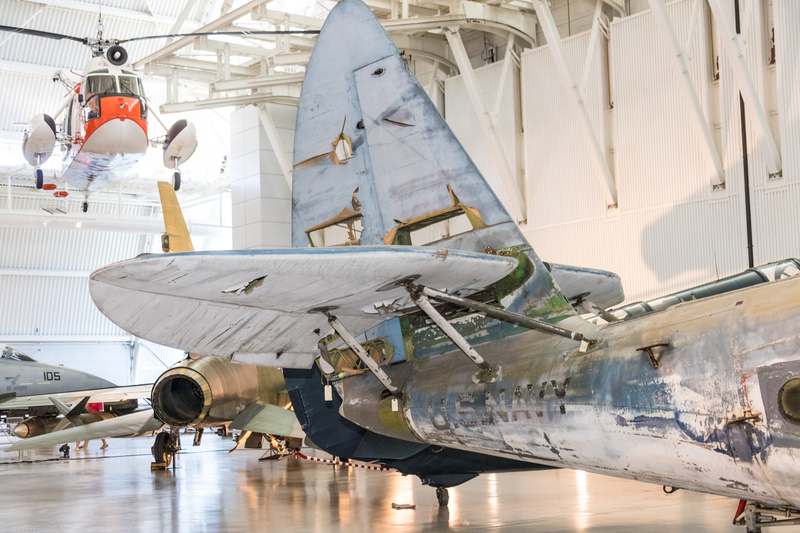 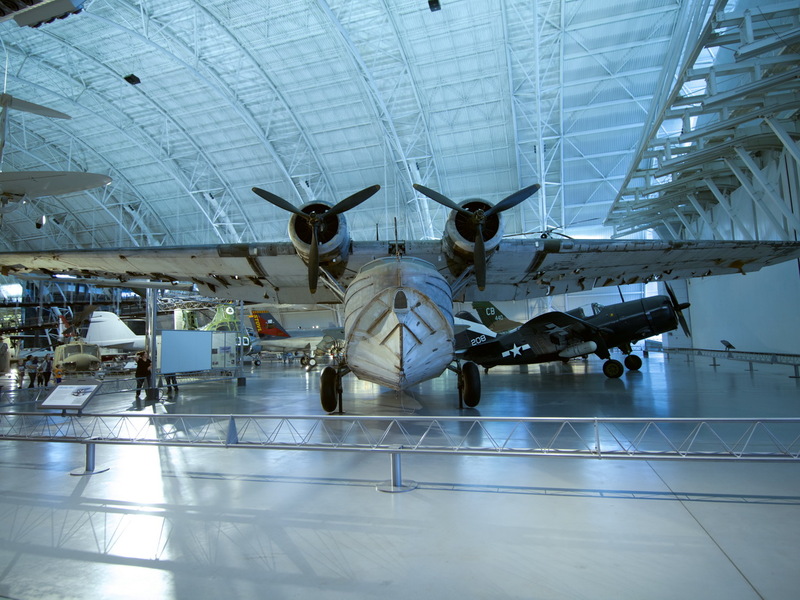 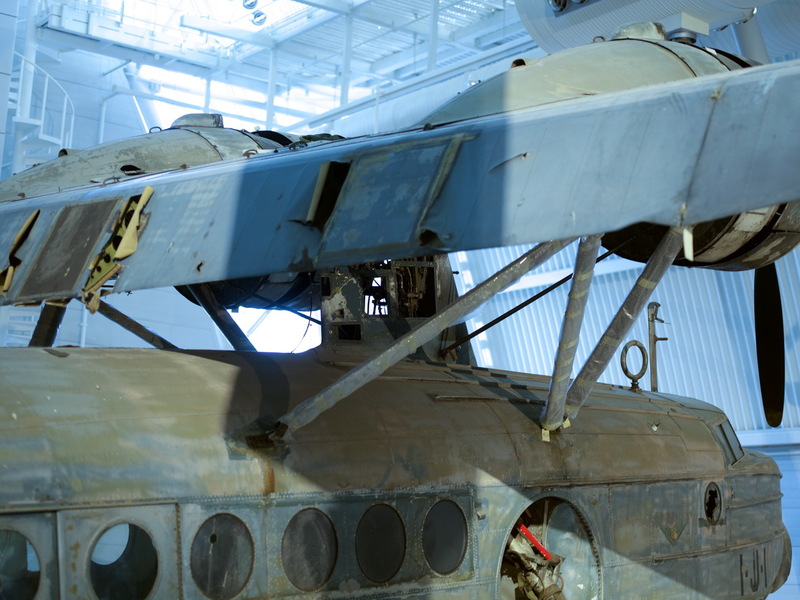 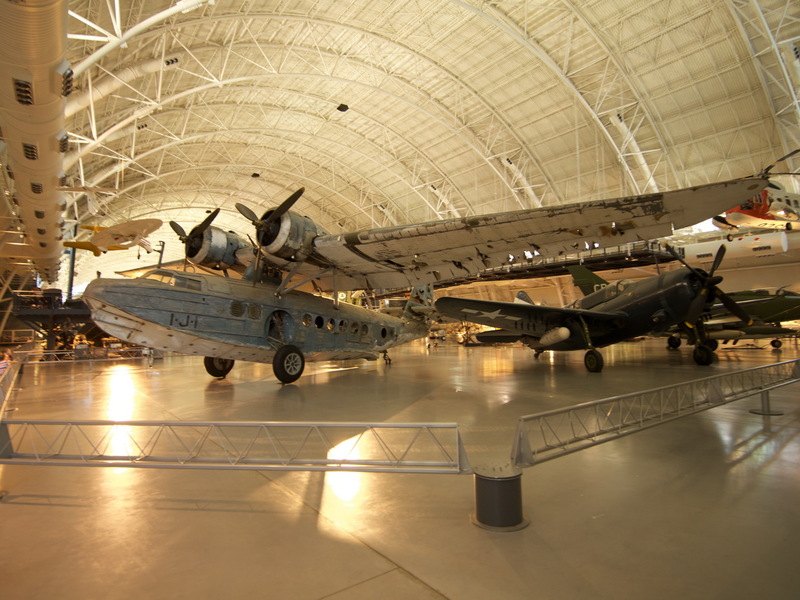 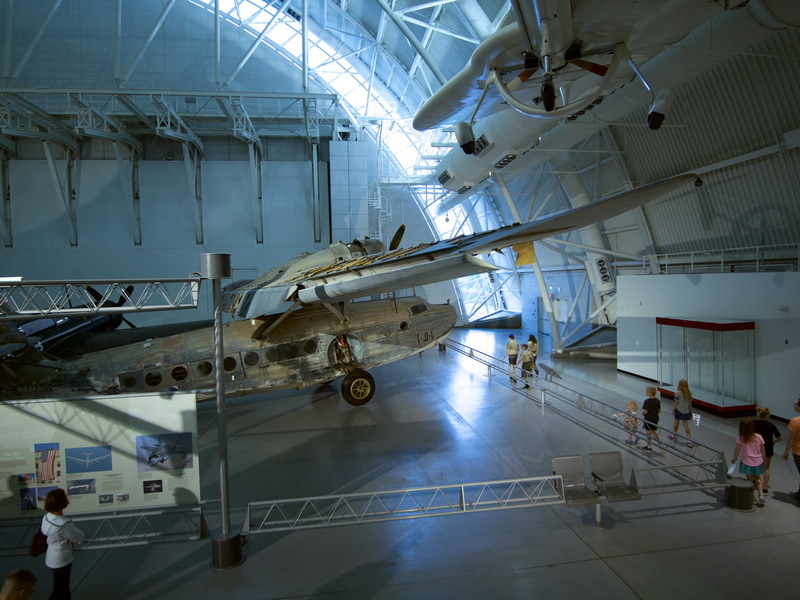 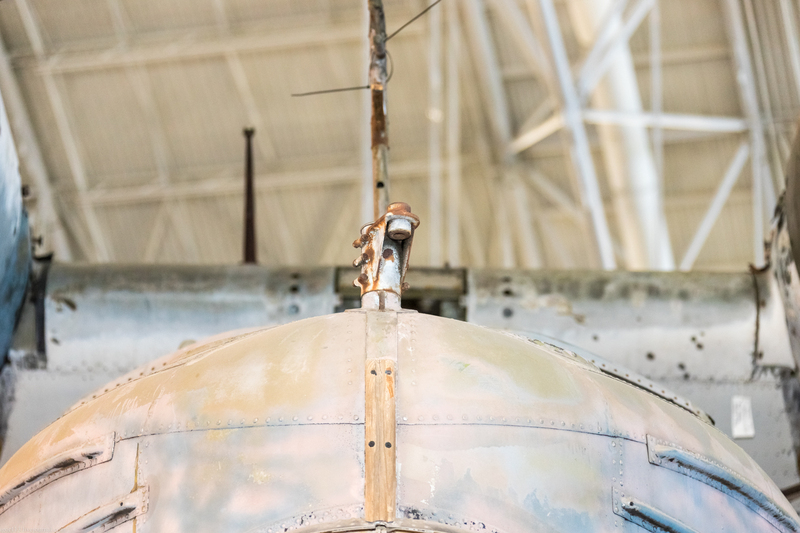 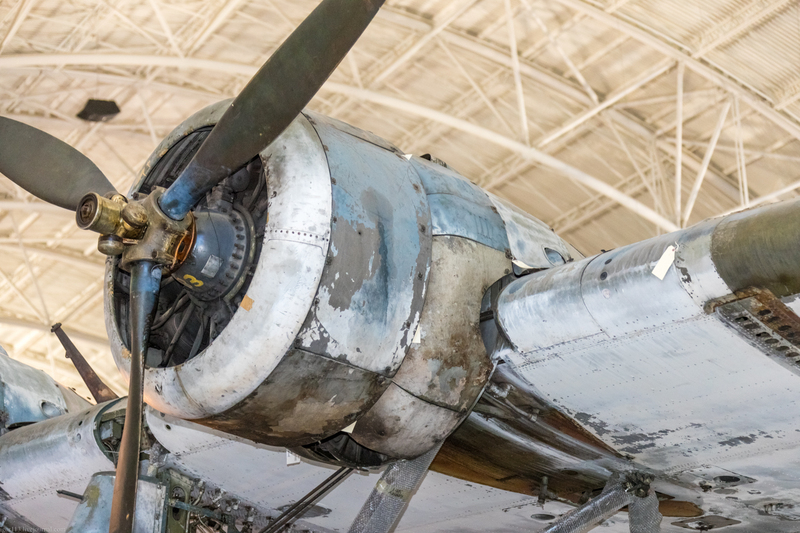 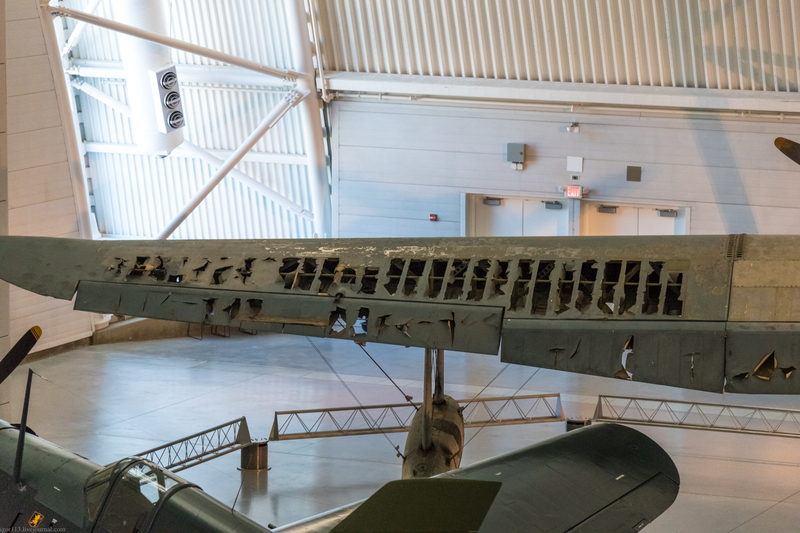 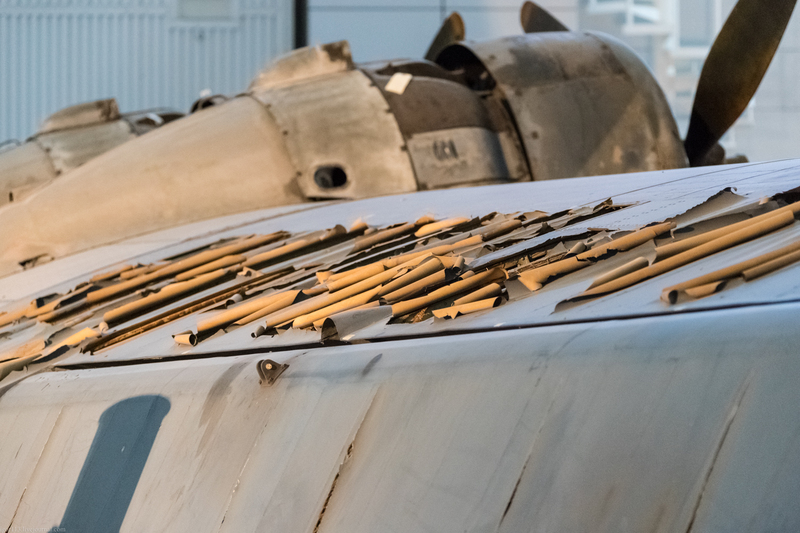 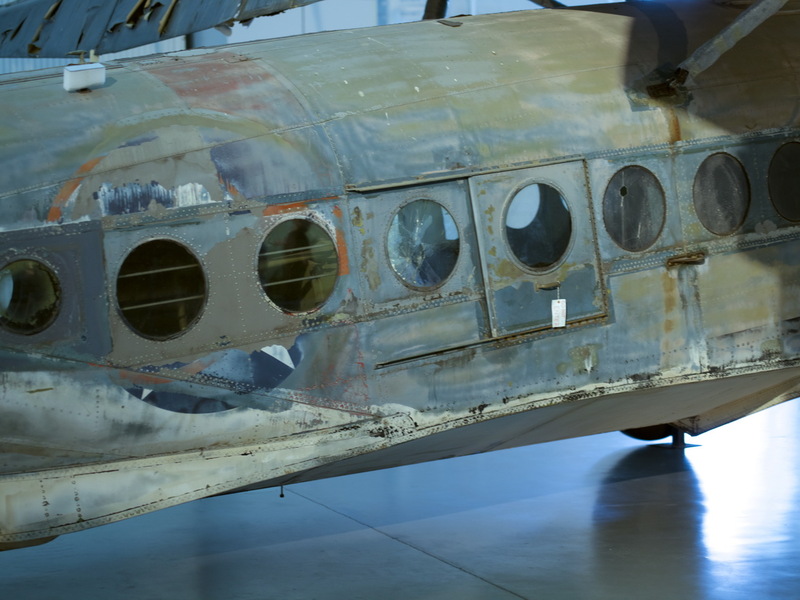 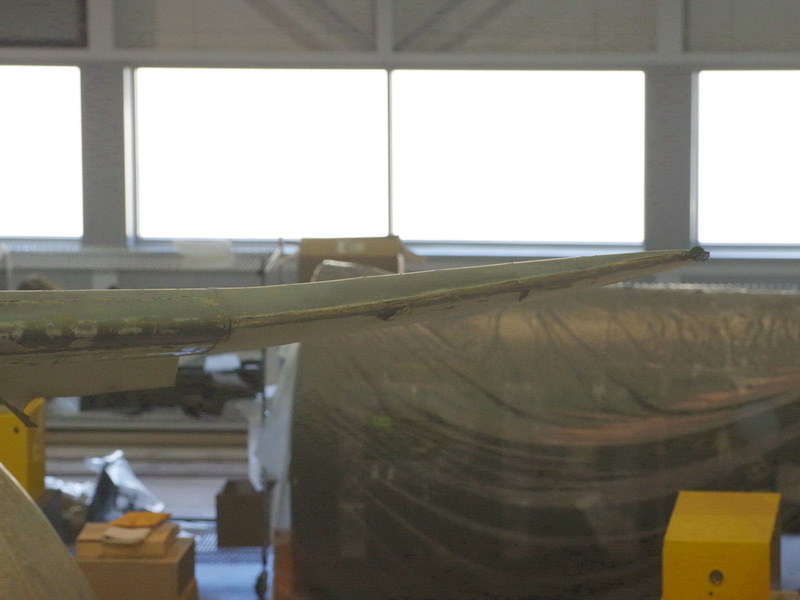 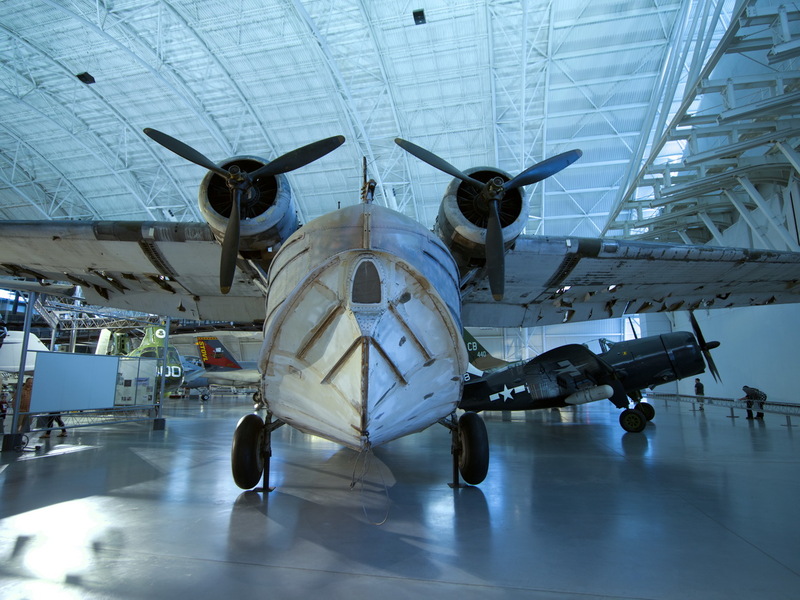 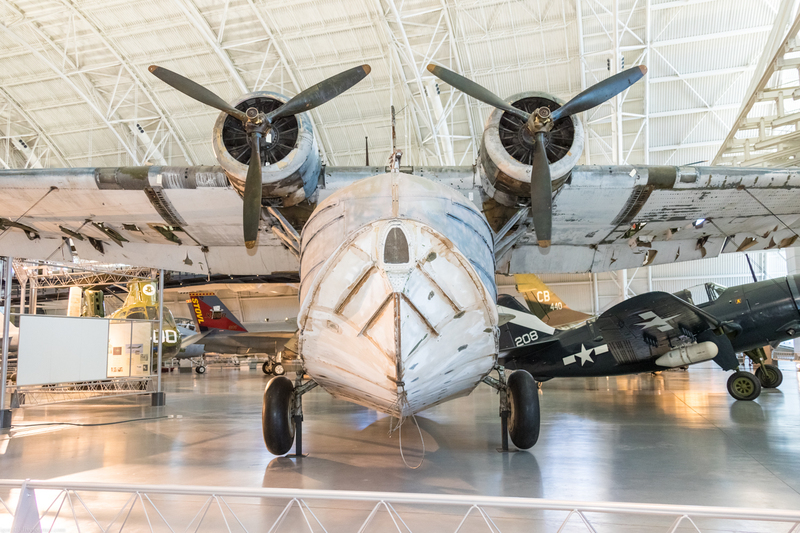 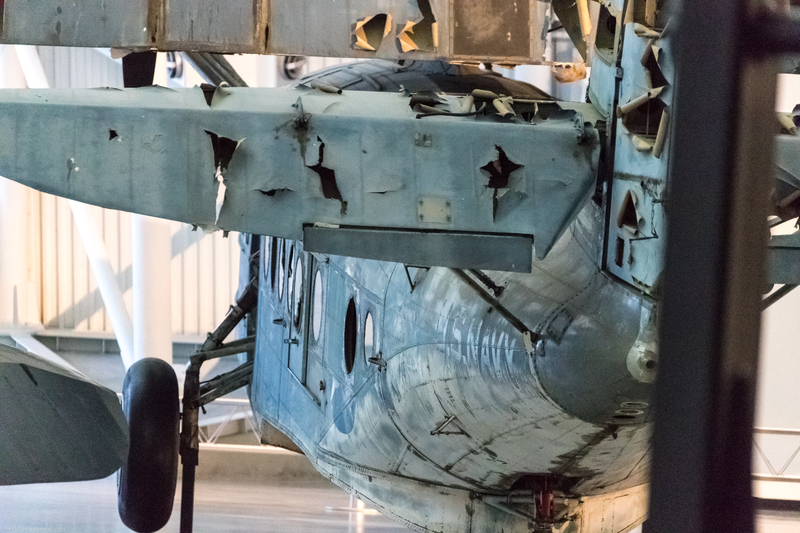 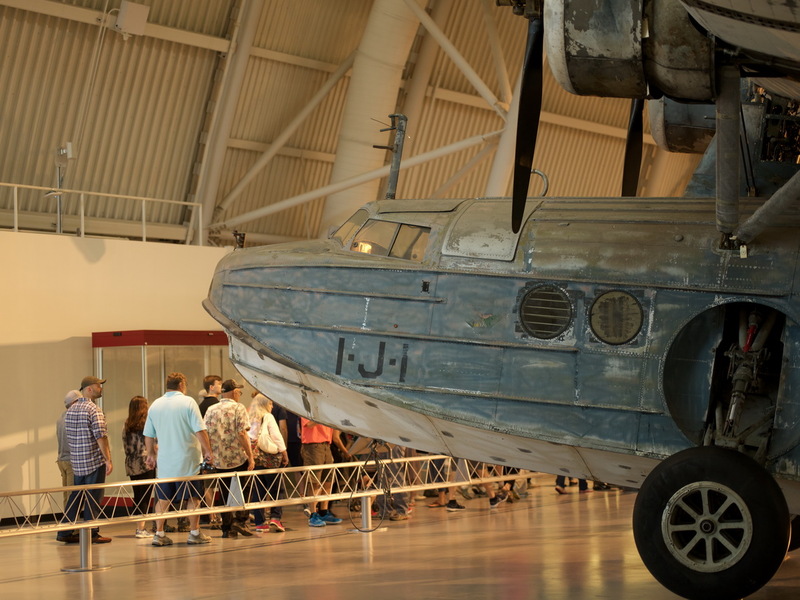 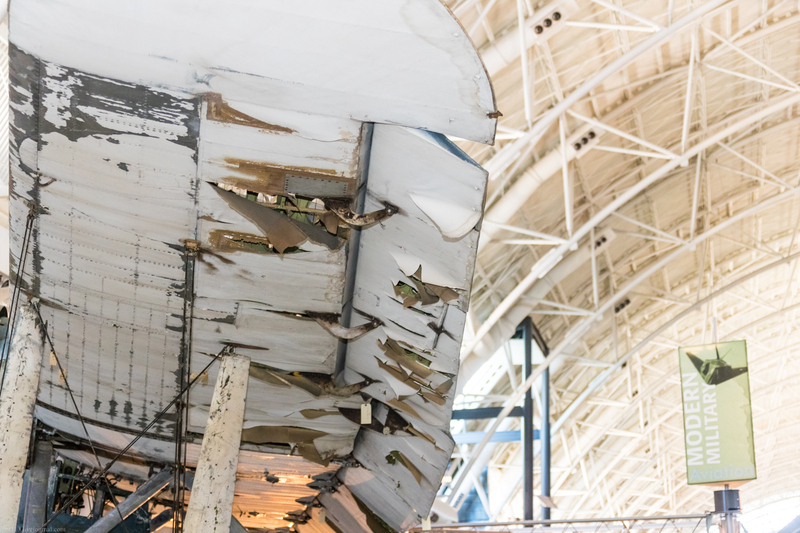 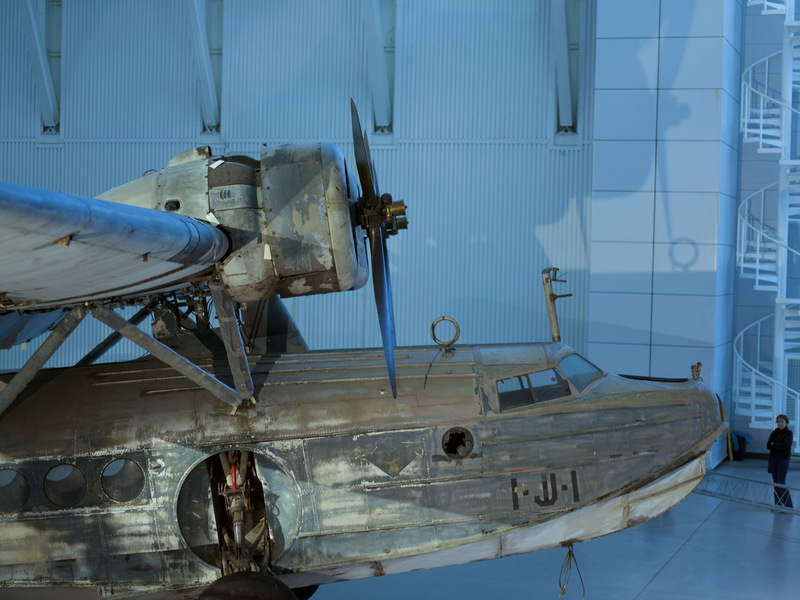 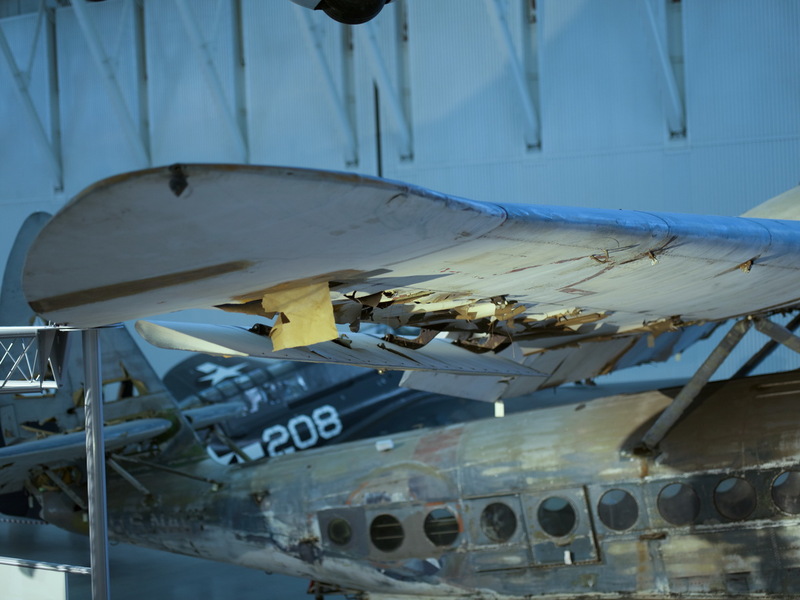 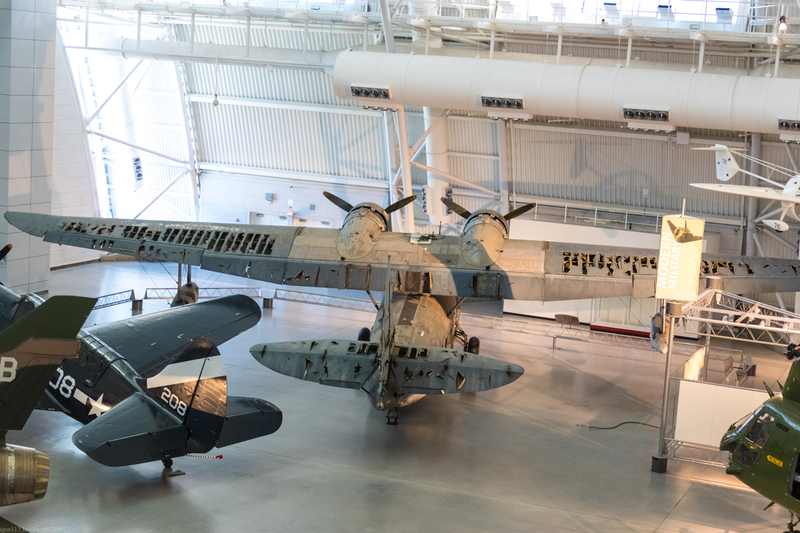 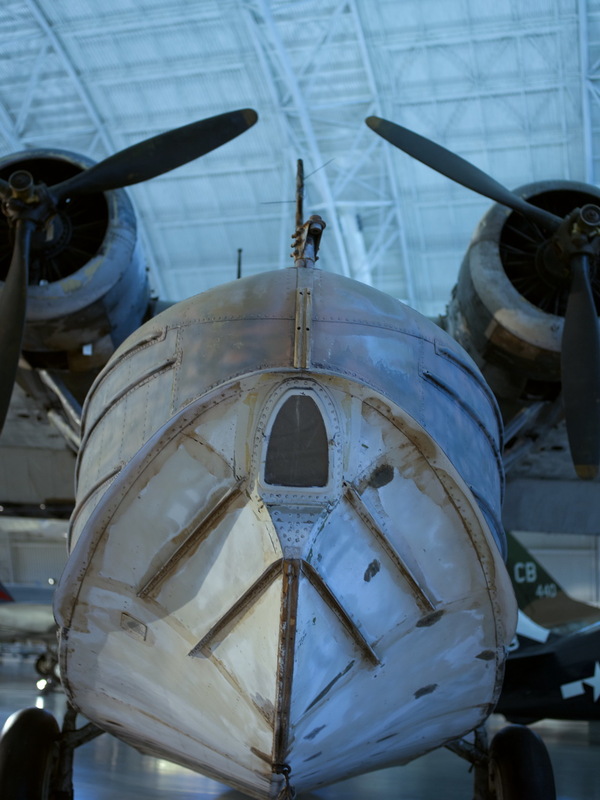 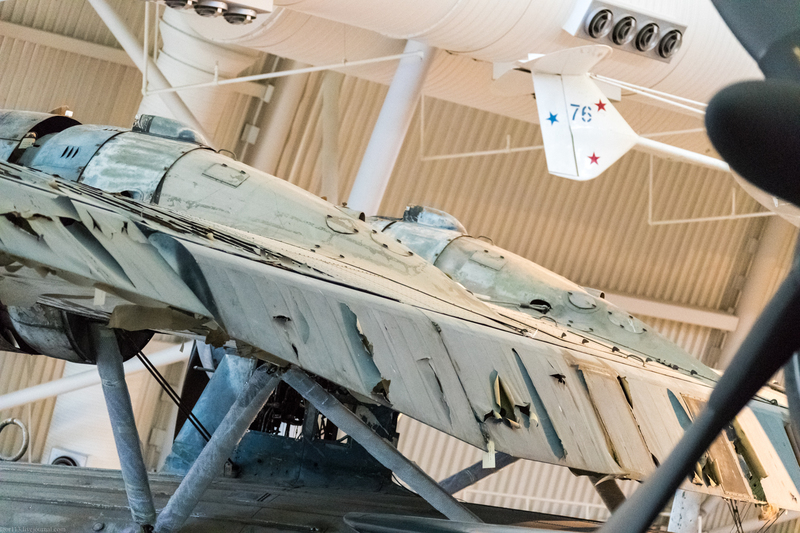 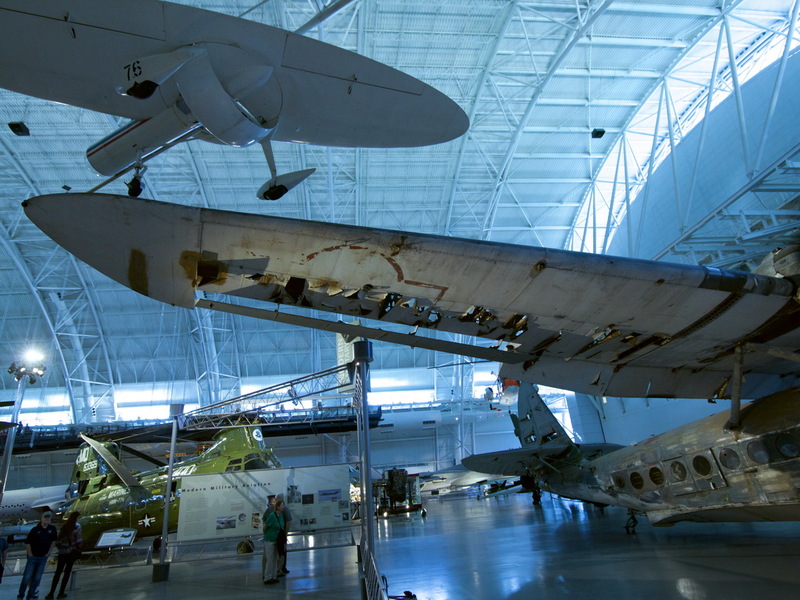 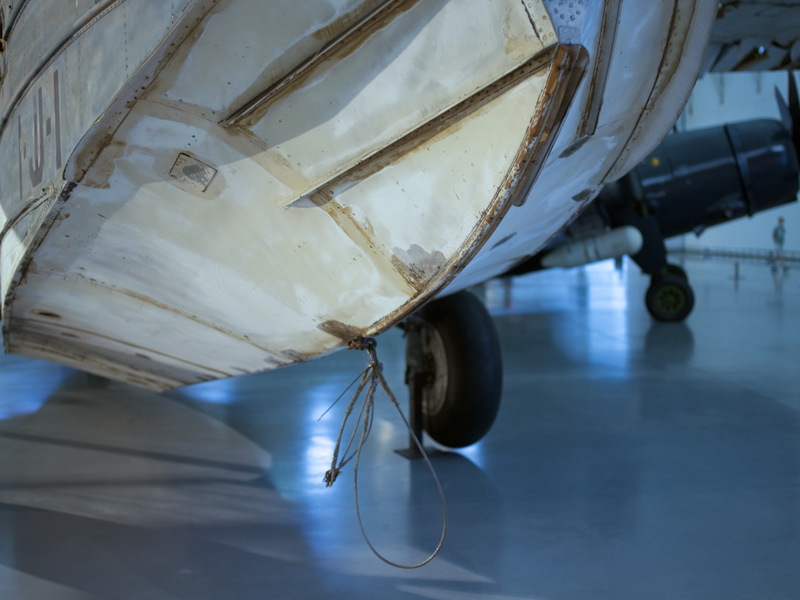 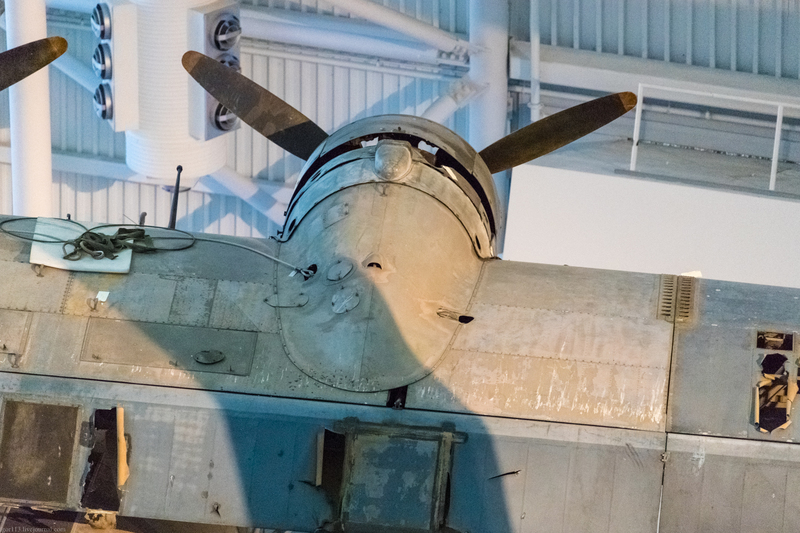 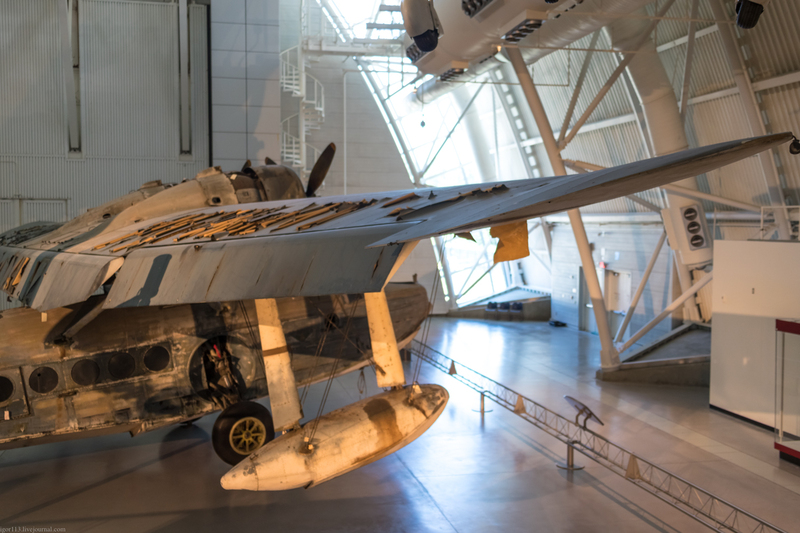 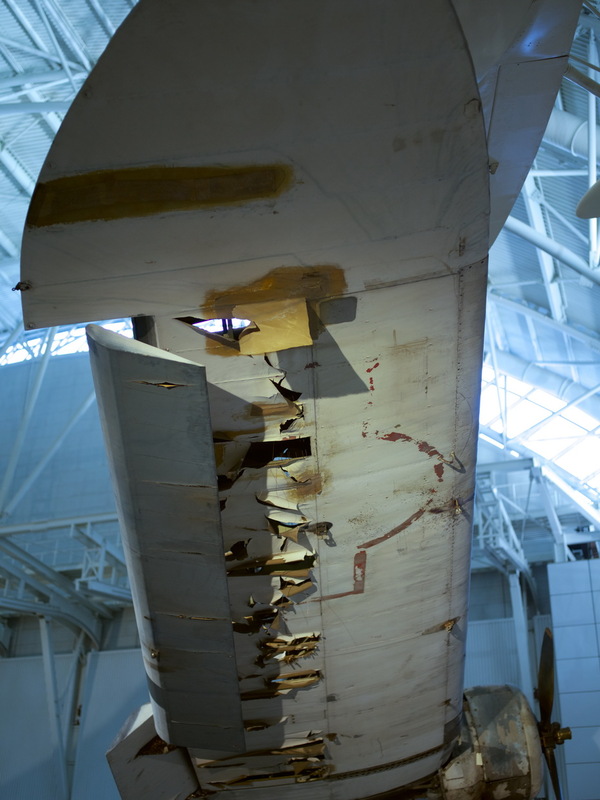 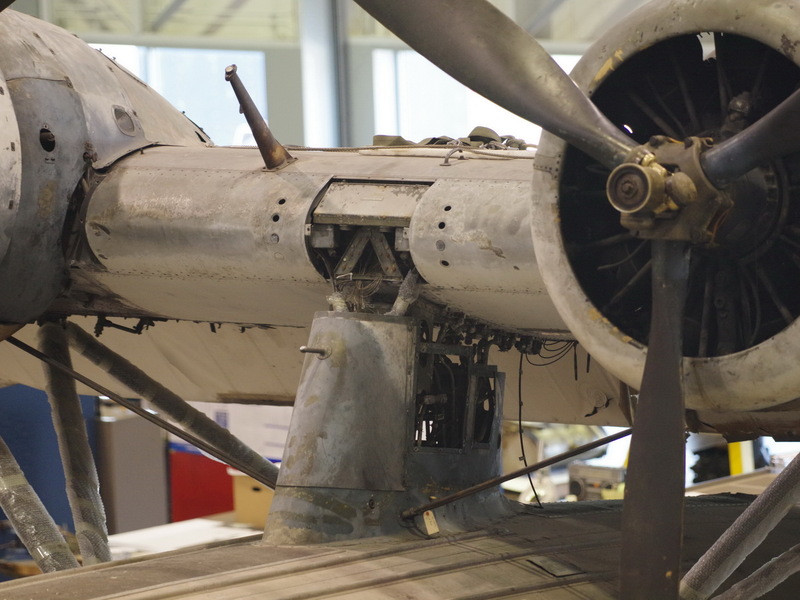 During 2018, our long-time Russian correspondent Igor Kolokolov also paid a welcome visit to the Steven F. Udvar-Hazy Centre at the NASM and made full use of his remarkable photographic skills to shoot another perfect walk-round of this beautiful and historic 'boat, and I'm adding it to this already highly detailed Gallery to complement Alex's existing stunning shots. 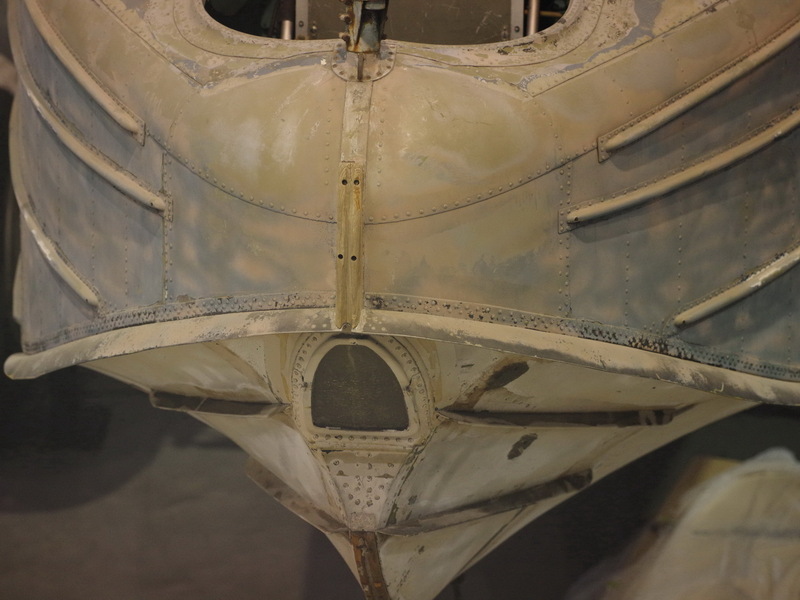 There is now, I think, no square inch of the exterior of this craft that is not covered from just about every angle in great detail for the modeller and enthusiast in this Gallery of great benefit for those unable to physically attend and see for themselves, which includes myself.! 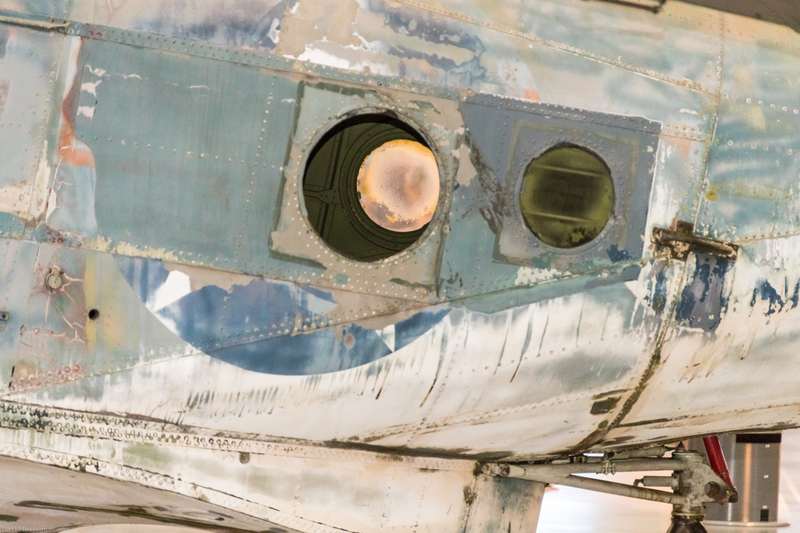 Which begs the question: 'What is she like inside'...?? 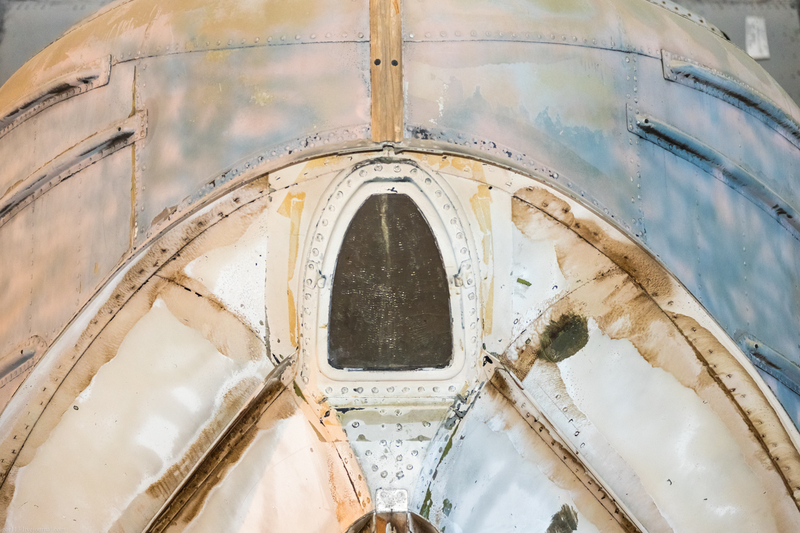 Any takers with the ultra-rare opportunity to ever get go inside are welcome to send me their images for inclusion here...! 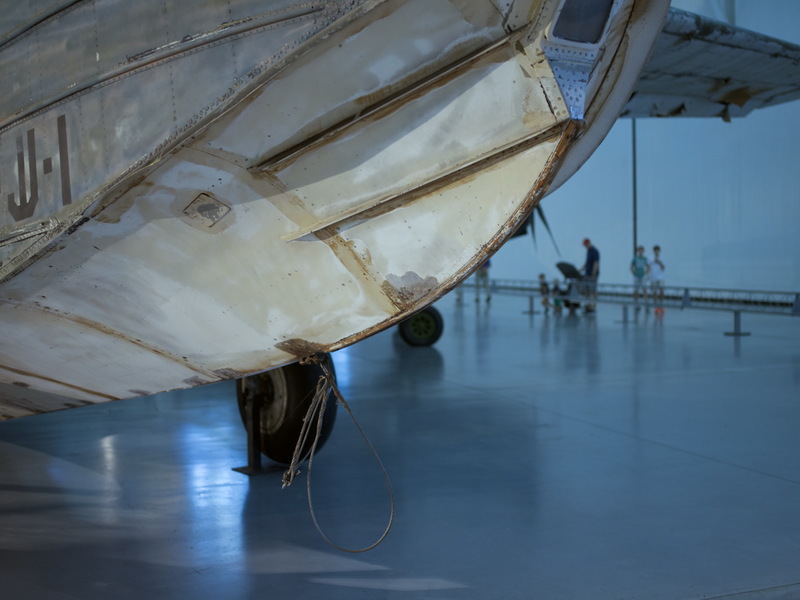 As always, my grateful thanks goes to Igor for his extremely kind permission to share his personal photo's in this Gallery. 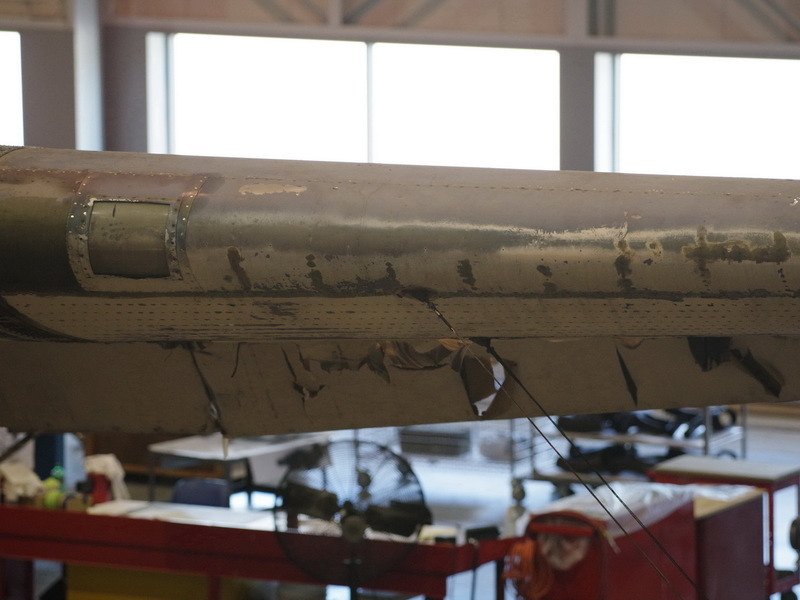 Thanks, Igor.